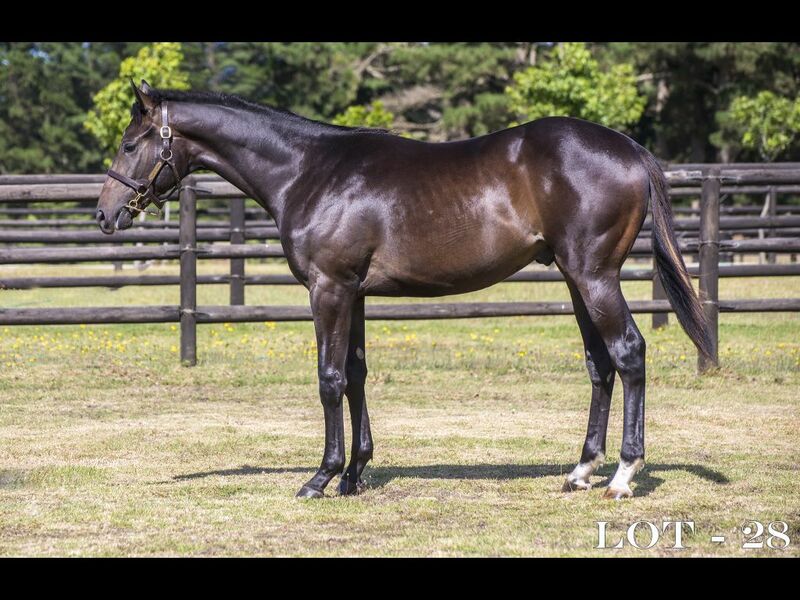 Half-Sister to Collabro (2013.c. 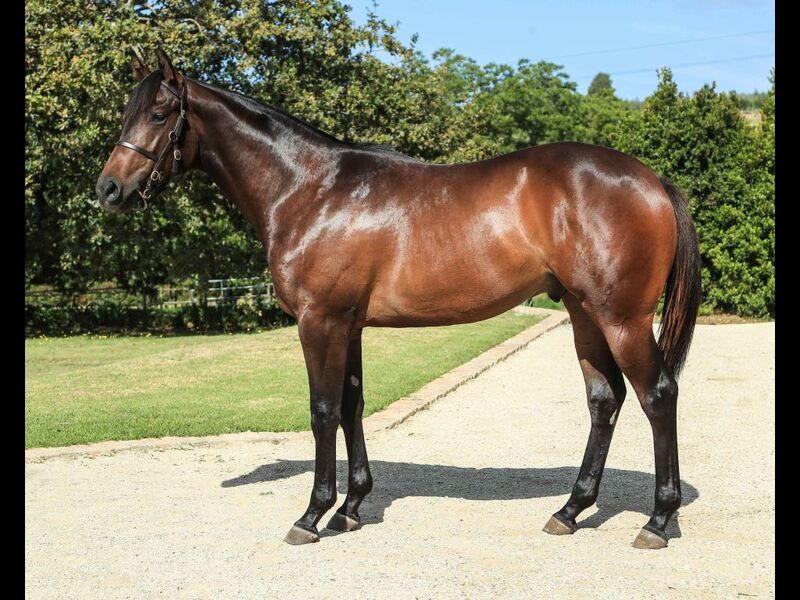 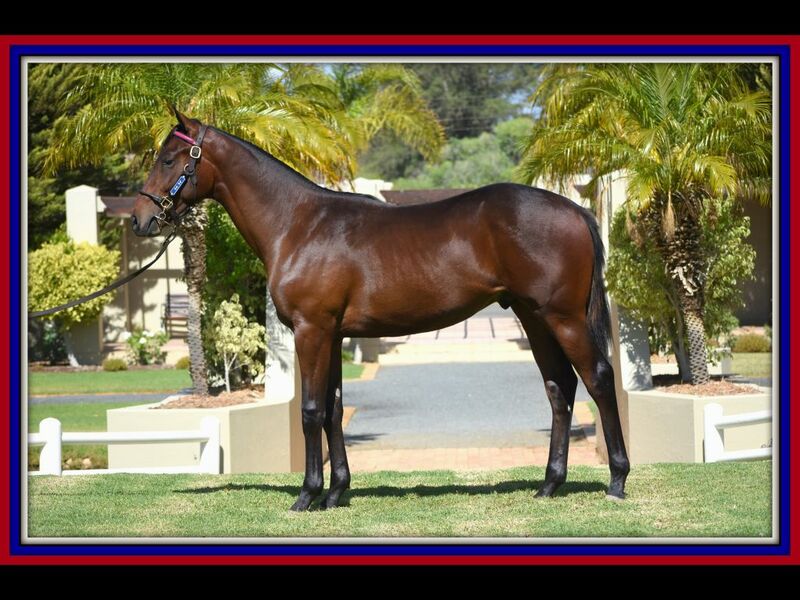 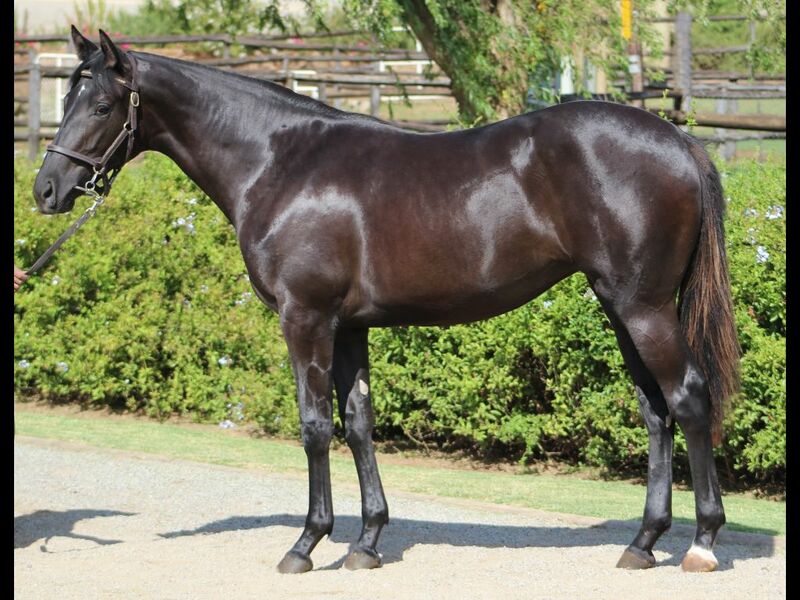 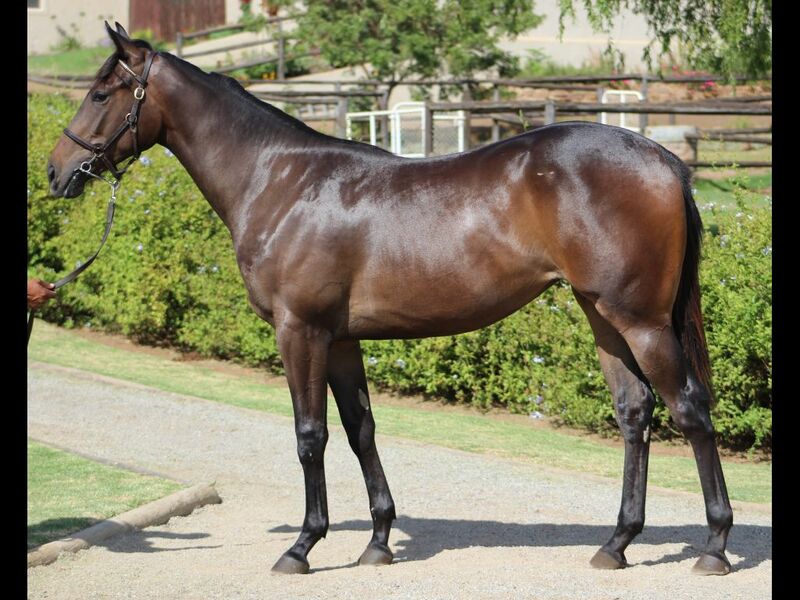 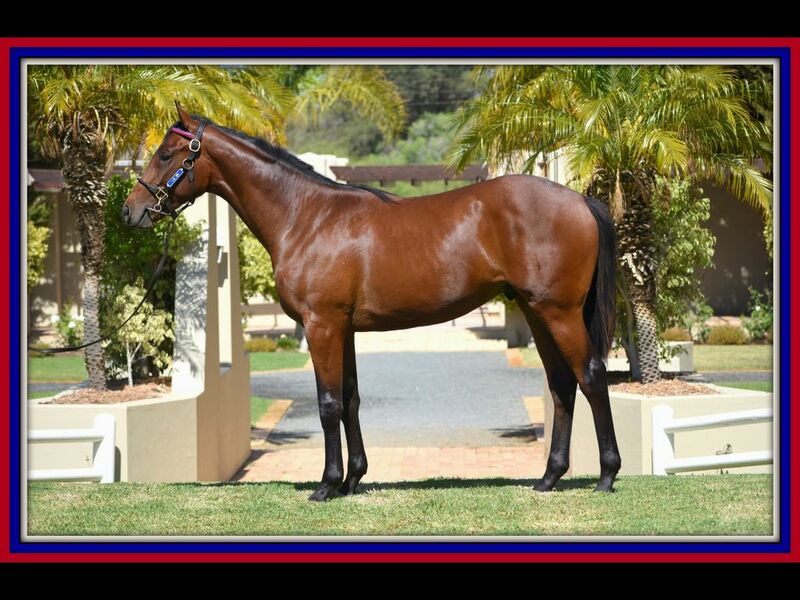 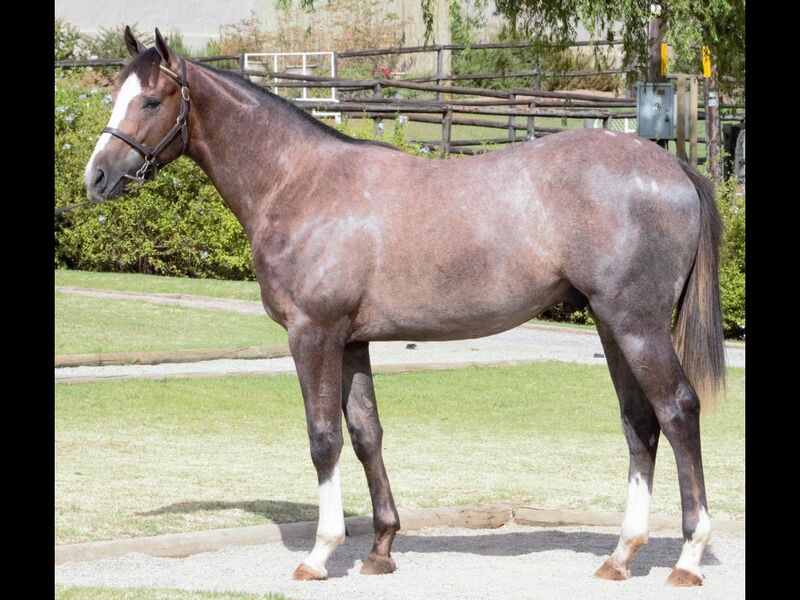 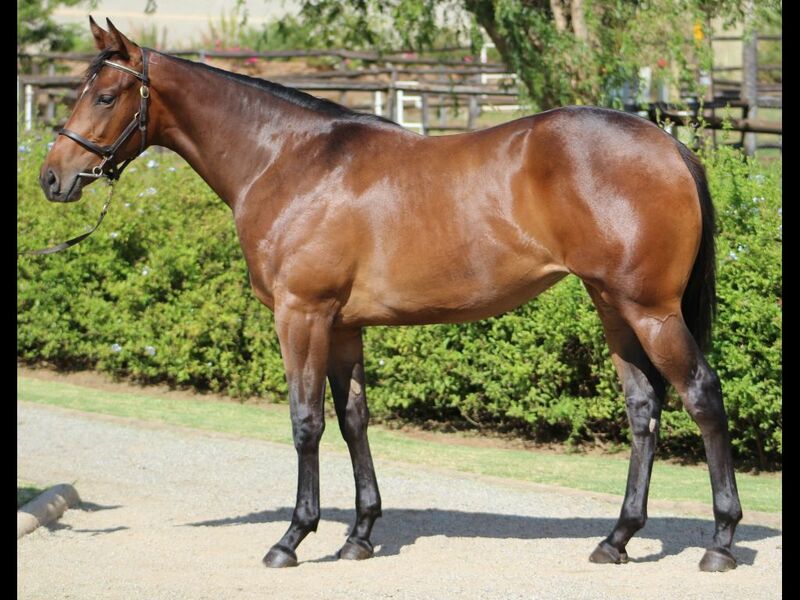 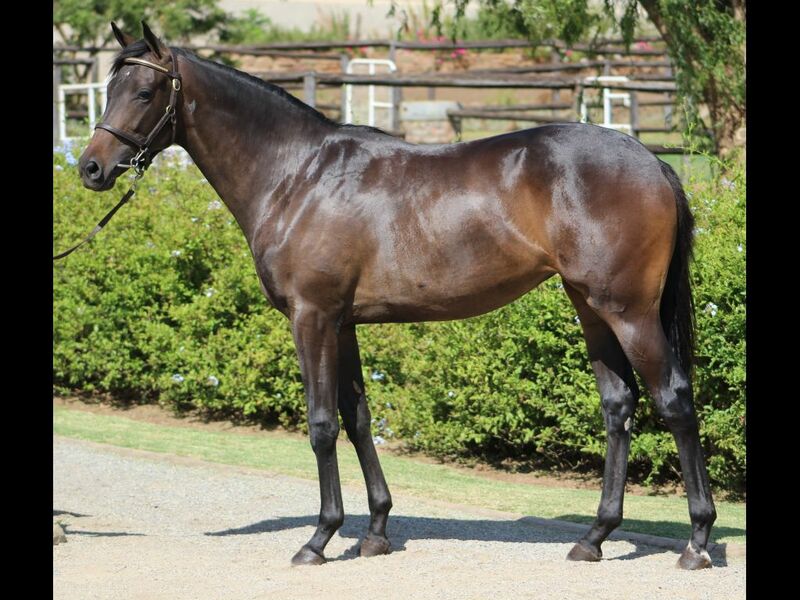 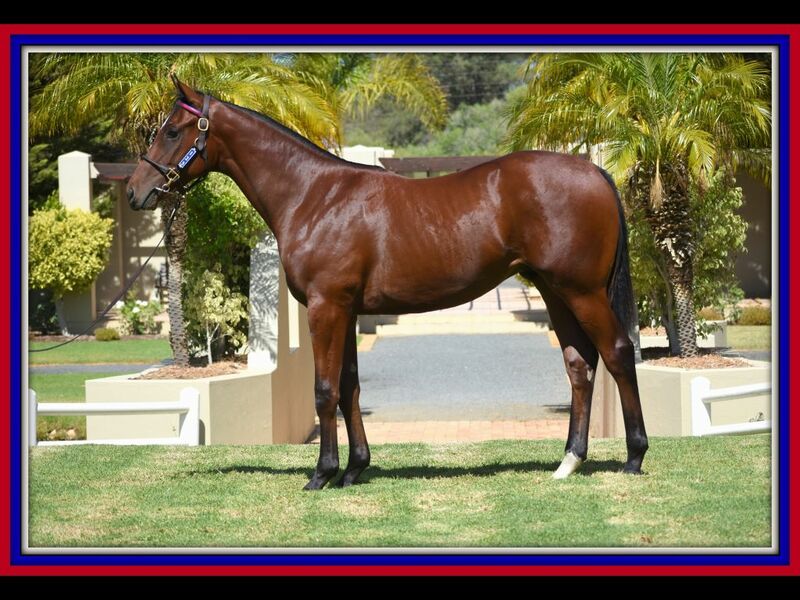 by Var-Young Sensation, by National Emblem-Fair Model) - 2nd Greyville Itsarush.co.za H.
Sister to Ancestry (2014.c. 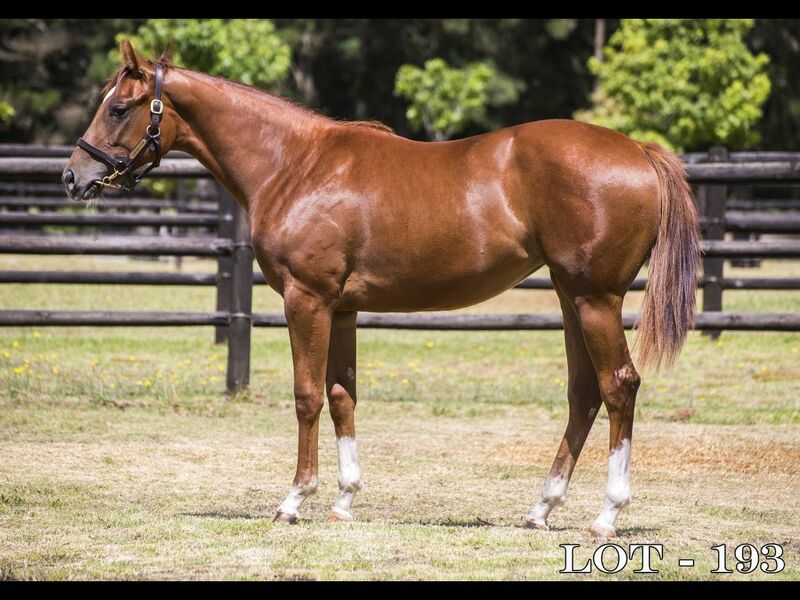 by Oratorio-A Daughters Legacy, by Windrush-Mississippi Masala) - 3rd Kenilworth Hospitality Now Open H.
From the same family as Coyote Creek (2014.c. 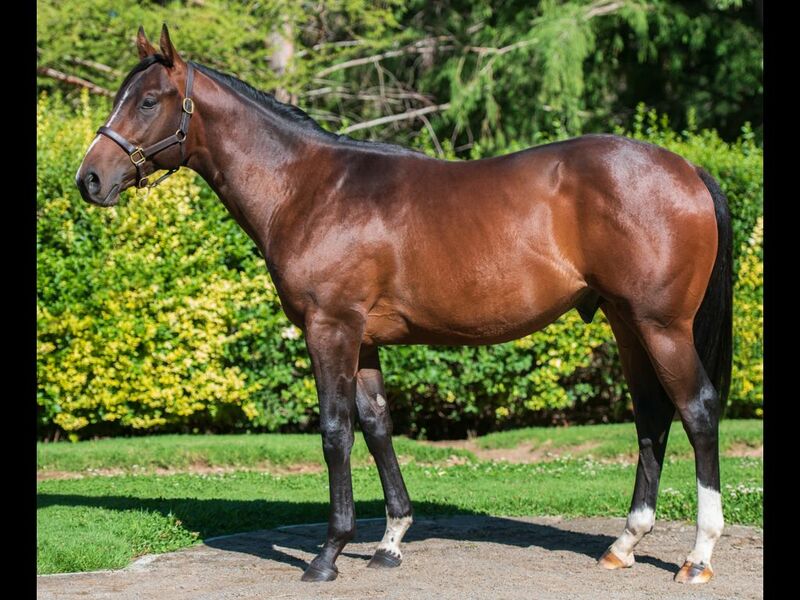 by Sail From Seattle-Cotillion, by Silvano-Soho Society) - 1st Fairview Tab Pays the Full Dividend, No Limits H., 1st Fairview Full Dividend No Limits H.
Half-Sister to Pecheurs de Perles (2014.g. 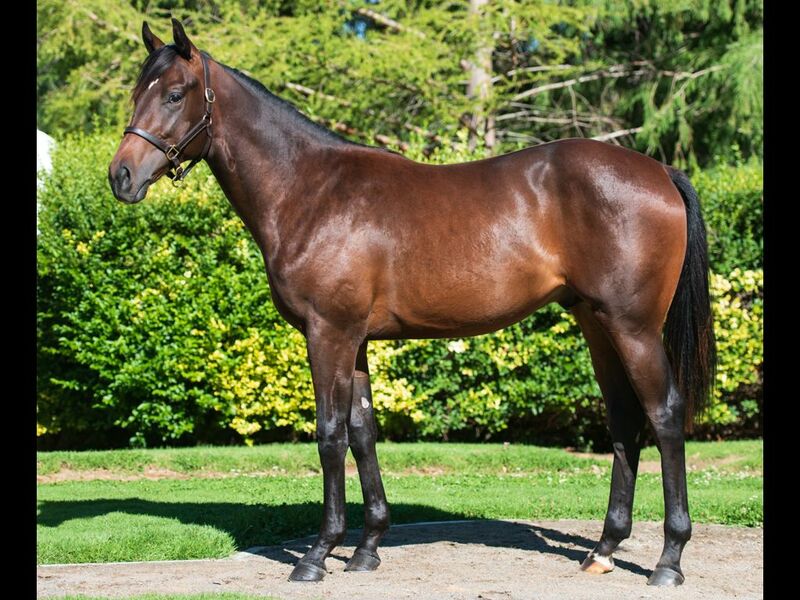 by Pour Moi-Annacloy Pearl, by Mull of Kintyre-Joyful) - 3rd Southwell Sunracing.co.uk H.
Out of a sibling to Iron Born (2015.c. 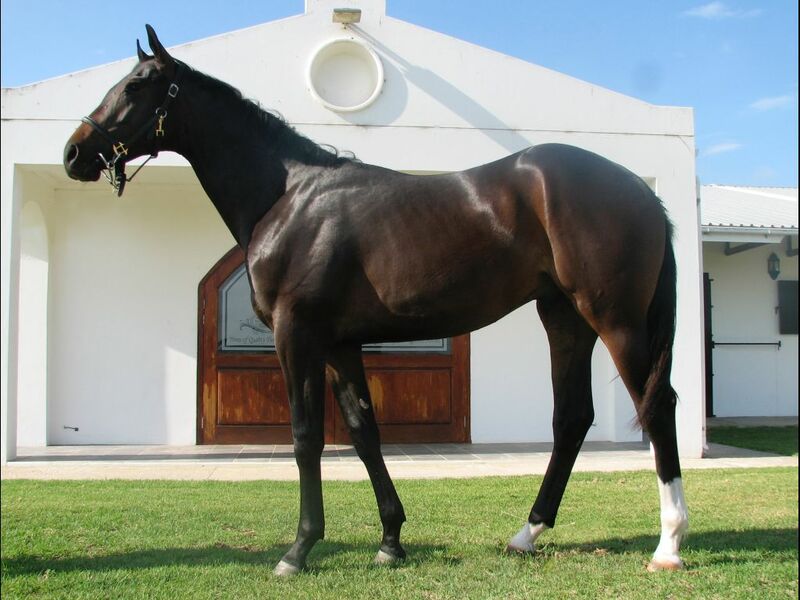 by Silvano-Imperial Guest, by Northern Guest-The Fleet) - 1st Greyville Mobile Betting Visit Trackandball.co.za Maiden P.
Closely related to PURPLE DIAMOND (2014.c. 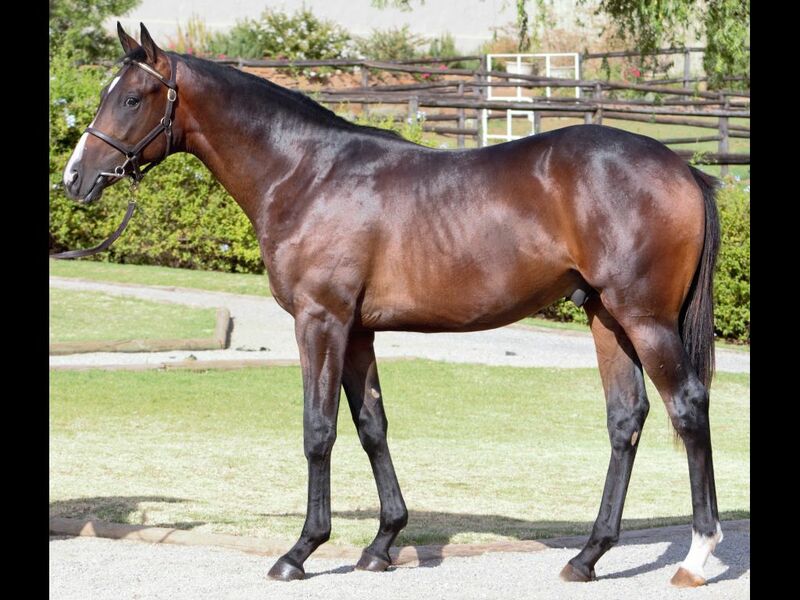 by Var-Jalberry, by Jallad-Taineberry) - 1st Turffontein Metro H.
From the same family as FORMIDABLE - TIANCHI MONSTER (H.K.) 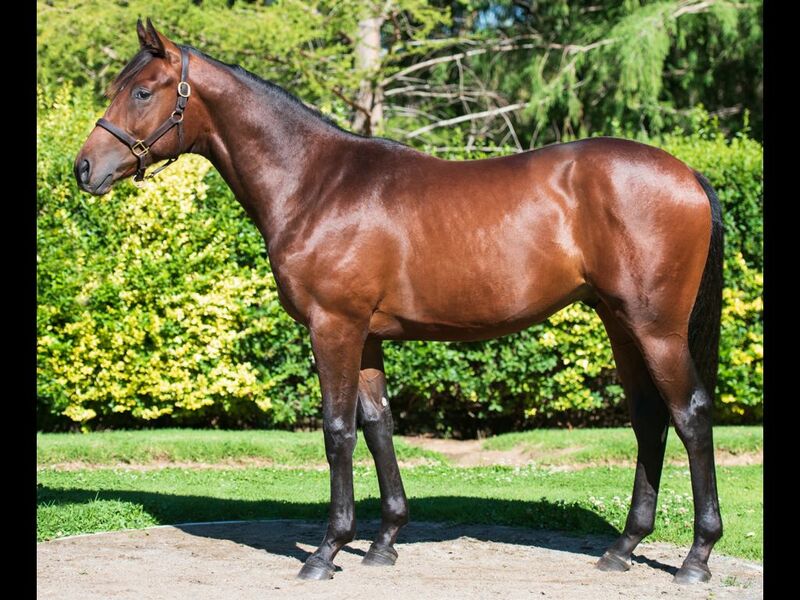 (2014.g. 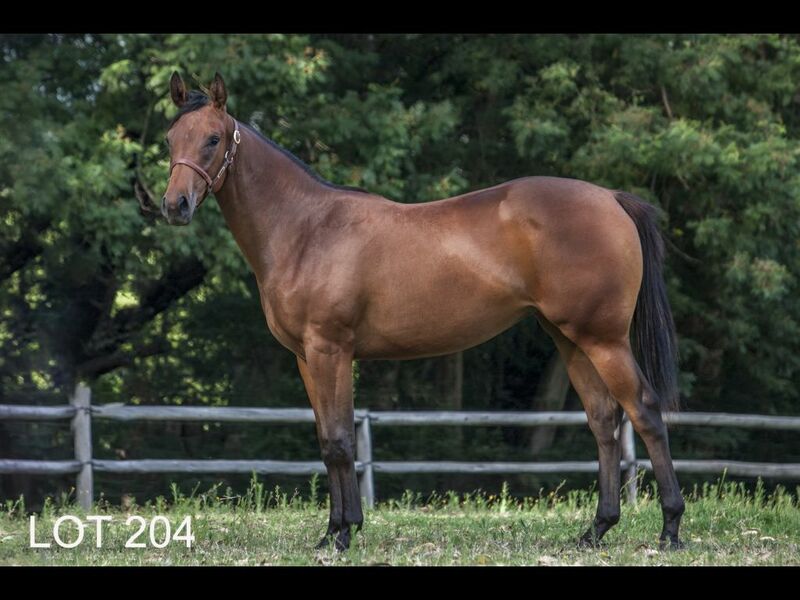 by Shocking-Princess Biscotte, by Casino Prince-Biscotte) - 1st HKJC Fung Wo H.
Brother to Louis the Great (2015.c. 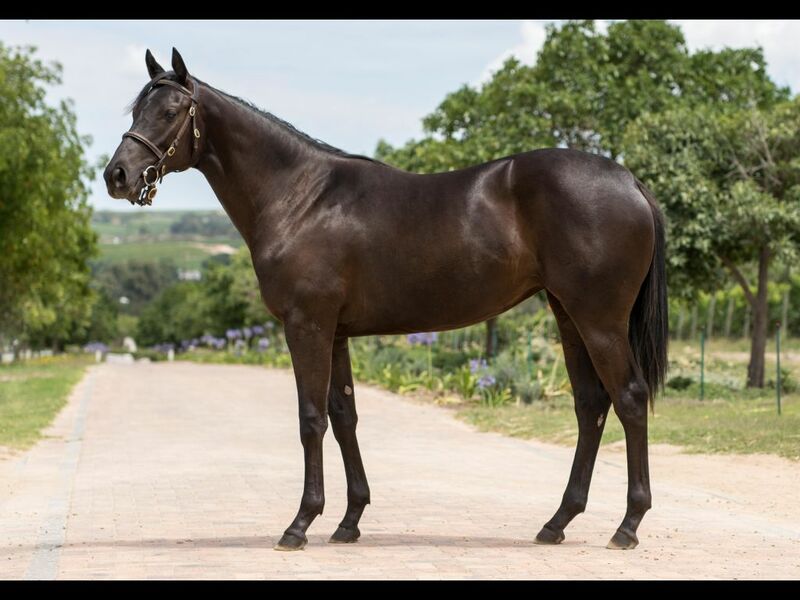 by Greys Inn-Black Tulip, by Elliodor-Dalalah) - 2nd Vaal TC Tabonline.co.za Maiden P.
Out of a sibling to Wonderous Climber (2014.c. 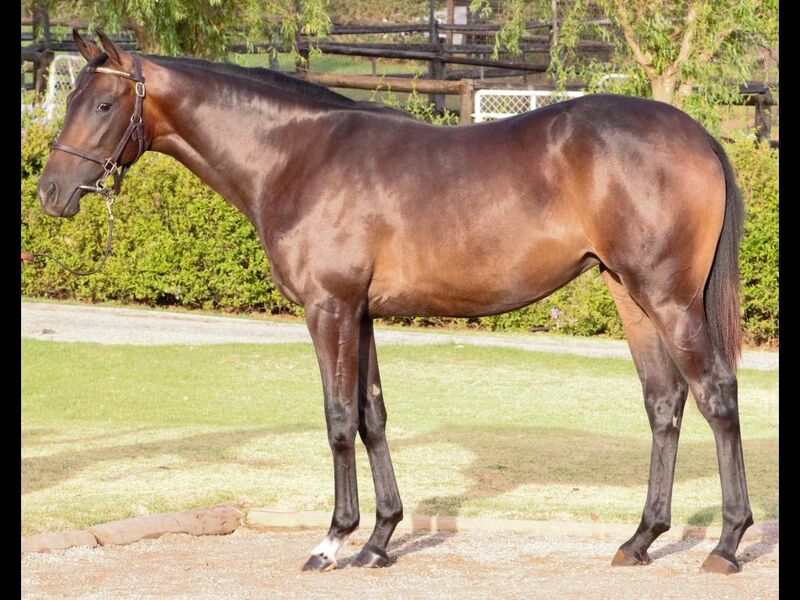 by Dynasty-Our Table Mountain, by Fusaichi Pegasus-Hidden Light) - 1st Turffontein Tab Pays the Full Dividend, No Limits Middle S., 1st Turffontein Betting World H., 1st Vaal TC Family Fun Day in December H.
From the same family as Stratocaster (2011.g. 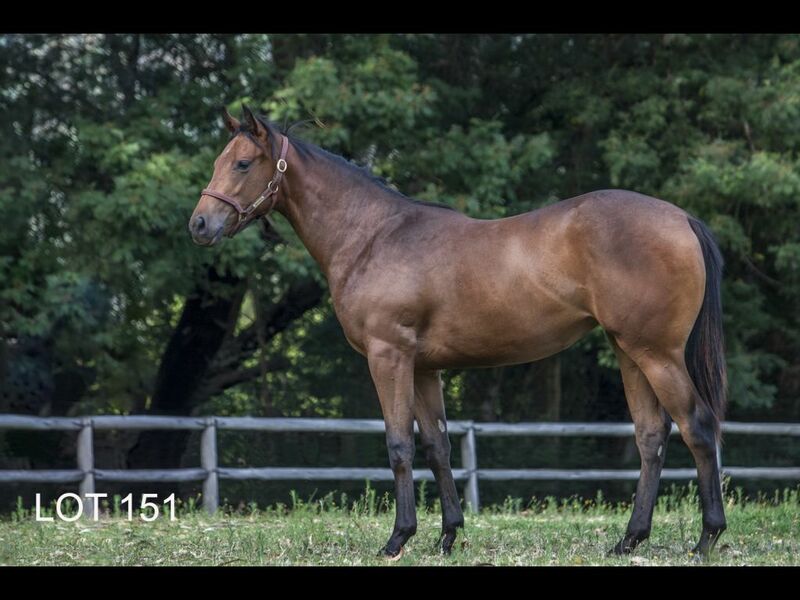 by Mastercraftsman-Very Musical, by Green Tune-Save Me the Waltz) - 1st ARC Swiss Deli H., 1st ARC Coastline Markers H.
Half-Sister to Neala (2012.f. 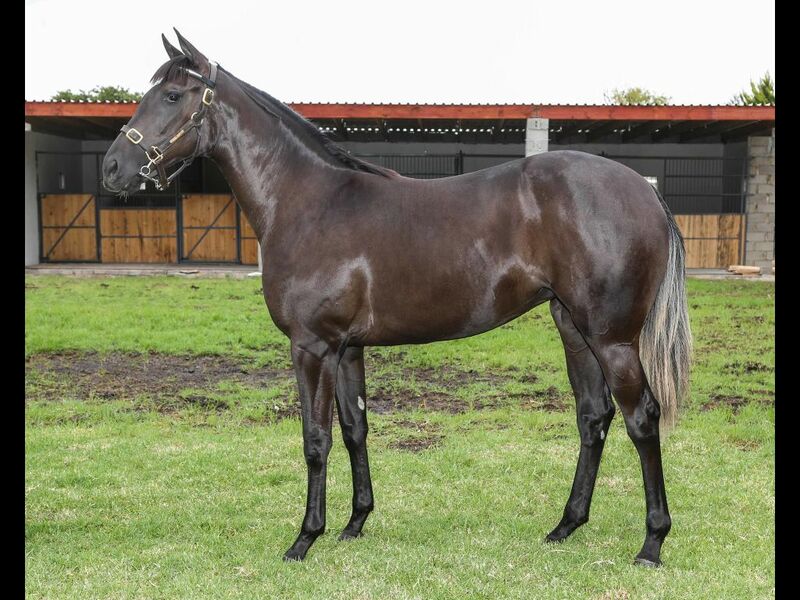 by Jay Peg-Cast a Spell, by Rambo Dancer-Flying Magic) - 1st Greyville African Holly H., 3rd Greyville Track & Ball Gaming H.
Half-Brother to Get Your Grove On (2014.f. 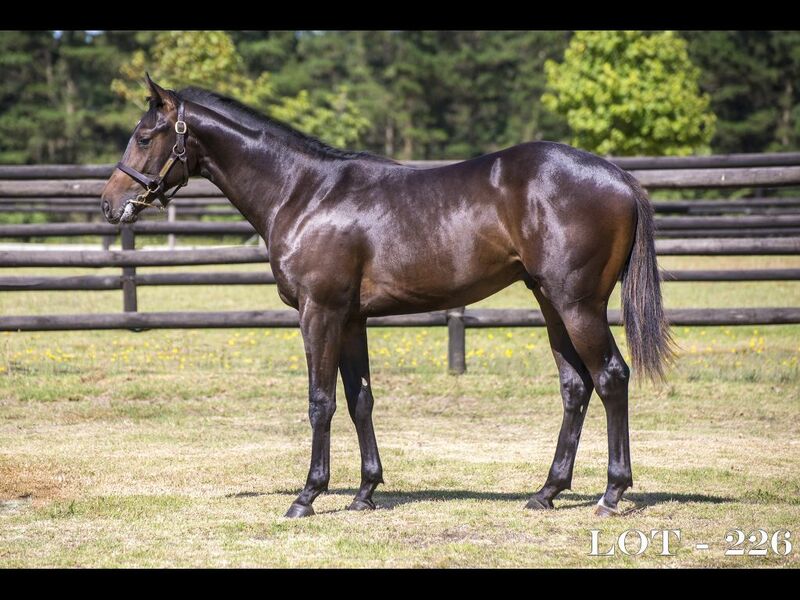 by Judpot-Comebackanddance, by Jallad-Miss Teenage Dream) - 2nd Vaal TC Next Racemeeting Thursday H.
Half-Sister to Counter Fate (2015.f. 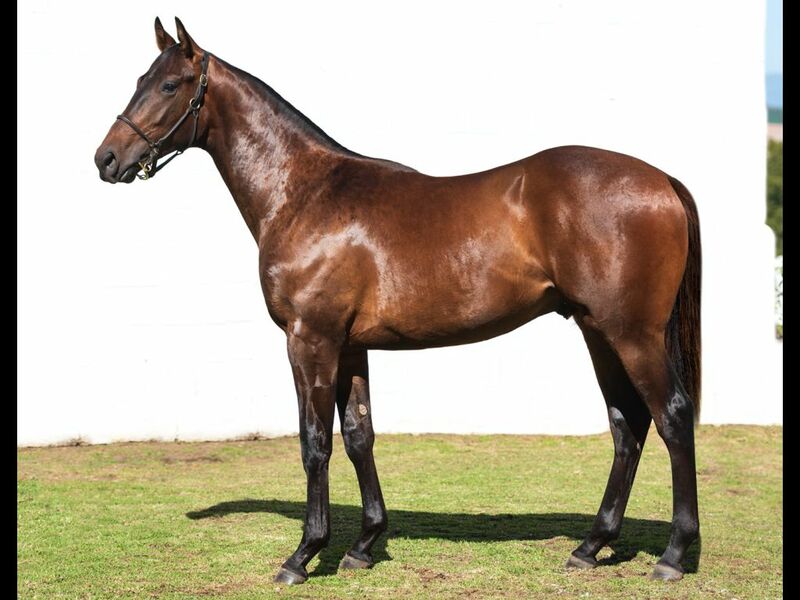 by Master of My Fate-Count the Cash, by Western Winter-Shoot the Booze) - 3rd Greyville Rosehill Insurance Brokers Maiden P.
Closely related to All Night Flight (2012.c. 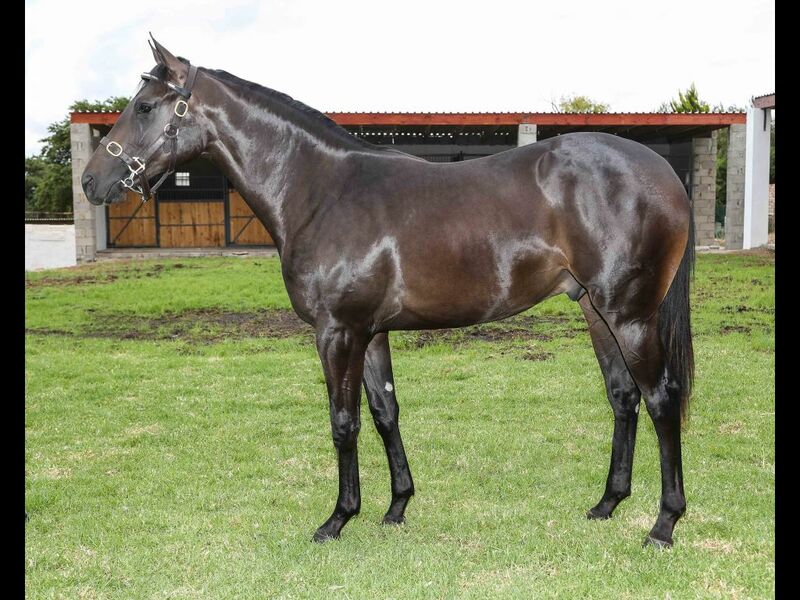 by Noordhoek Flyer-Shot in the Dark, by Rakeen-Shoot the Booze) - 1st Vaal TC Full Dividend No Limits H.
Closely related to Polar Ice (2014.c. 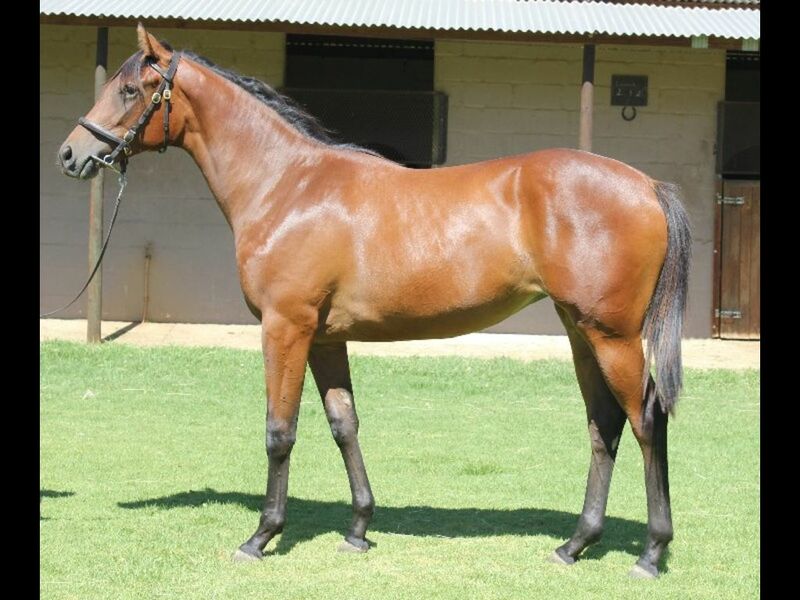 by Var-Polar Jet, by Jet Master-Polar Art) - 1st Vaal TC Bet on Soccer 6 Assessment P.
Half-Sister to Rocksette (2014.f. 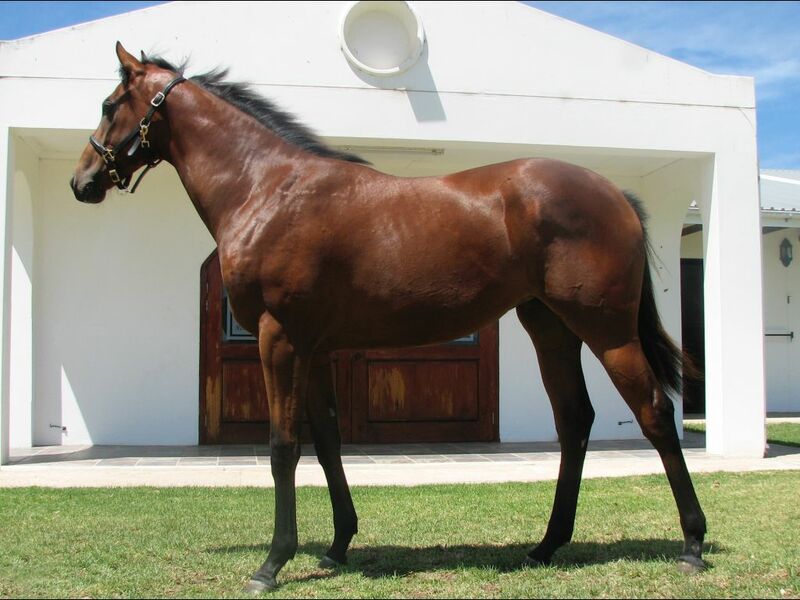 by Rock of Rochelle-District Six, by Mujadil-Cidaris) - 2nd Fairview Interbet.co.za H.
From the same family as SNOWDANCE (2014.f. 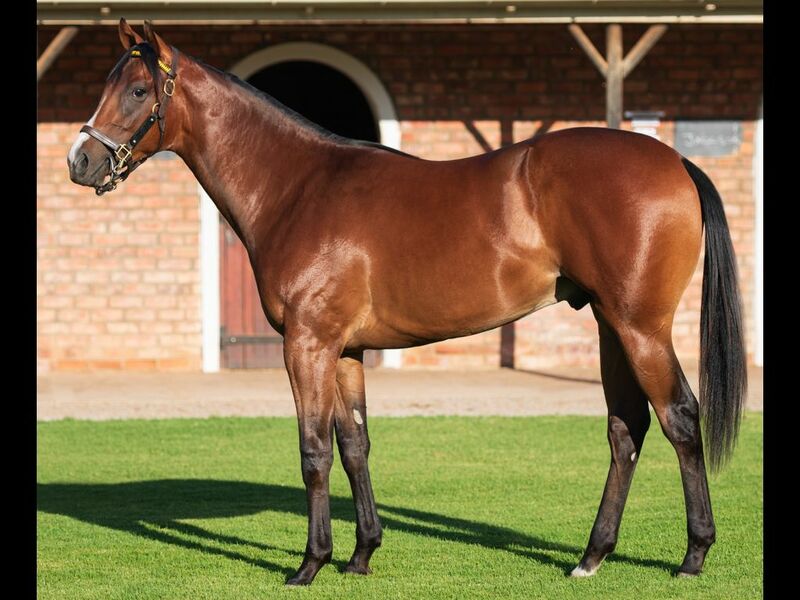 by Captain Al-Spring Lilac, by Joshua Dancer-Mystic Spring) - 1st Kenilworth Tab Telebet S.
Brother to African Daisy (2015.f. 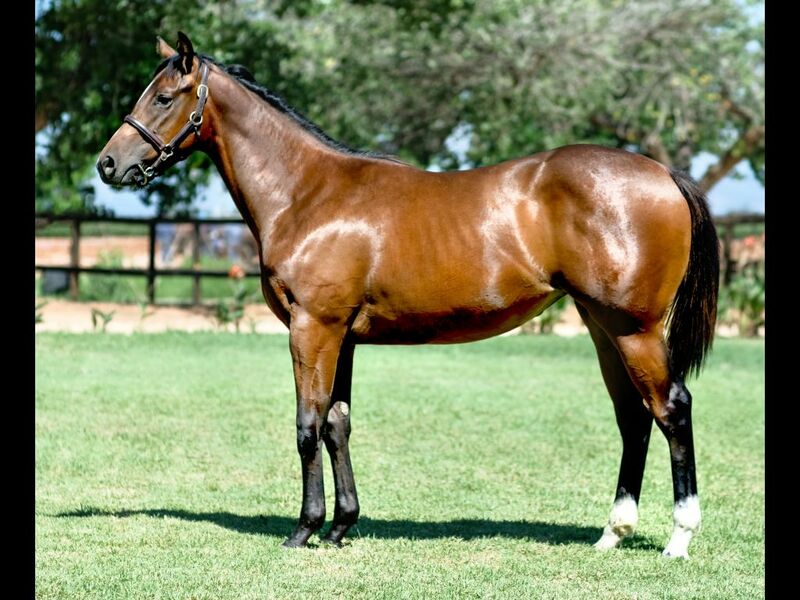 by Captain Al-Ebaraya, by Sadler's Wells-Ebaziya) - 1st Turffontein SA Classic Day in March Maiden P., 3rd Vaal TC Next Vaal Racemeeting Thursday 3 January Maiden P.
Half-Brother to Tribal Fusion (2012.c. 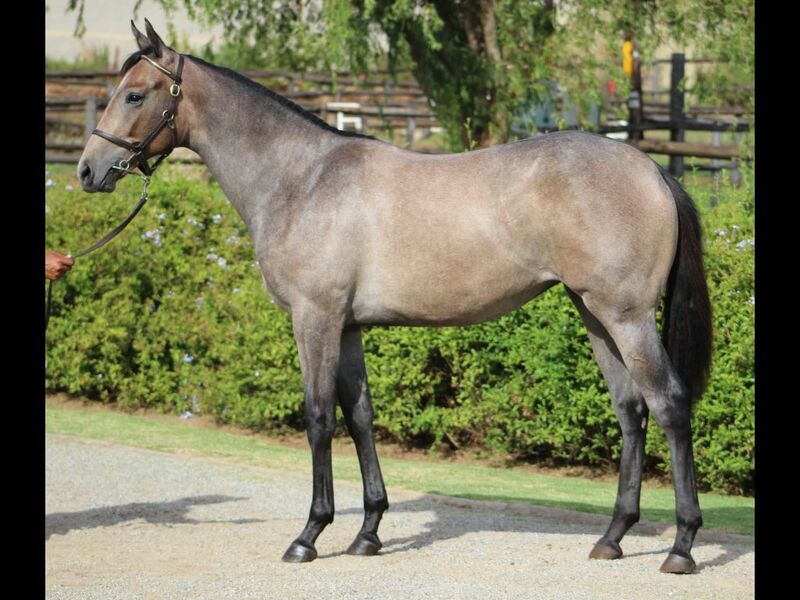 by Trippi-Far de Vie, by Fard-Wrecking Queen) - 1st Greyville Youtube Channel Playlist S.
Half-Brother to Vase (2014.f. 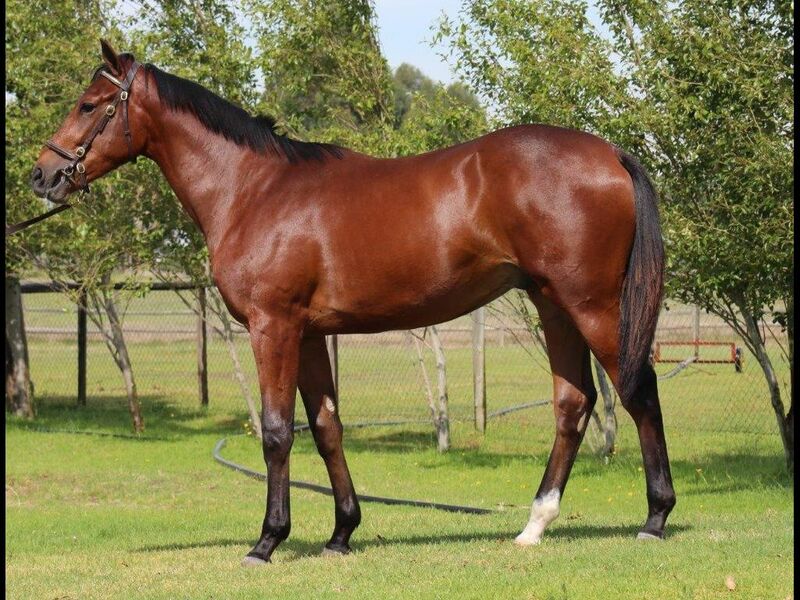 by Var-Field Flower, by Silvano-Field Princess) - 1st Greyville Greyville Convention Centre Maiden P.
Half-Brother to GIMME ONE NIGHT (2013.c. 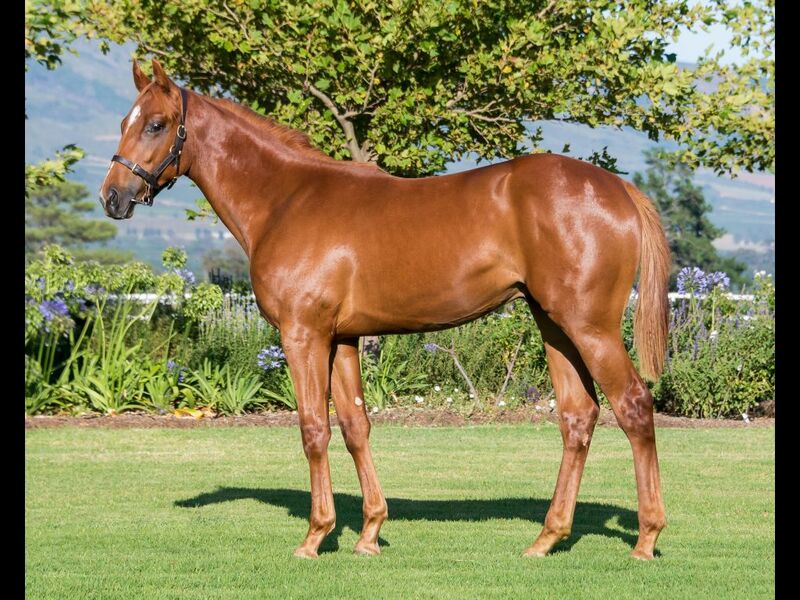 by Gimmethegreenlight-Fiesta Queen, by Parade Leader-Fair Bianca) - 1st Kenilworth Cape Summer Stayers H. Gr.3, 1st Kenilworth Chairman's Cup Gr.3, 1st Kenilworth Itsarush.co.za H.
Brother to SIMONA (2013.f. 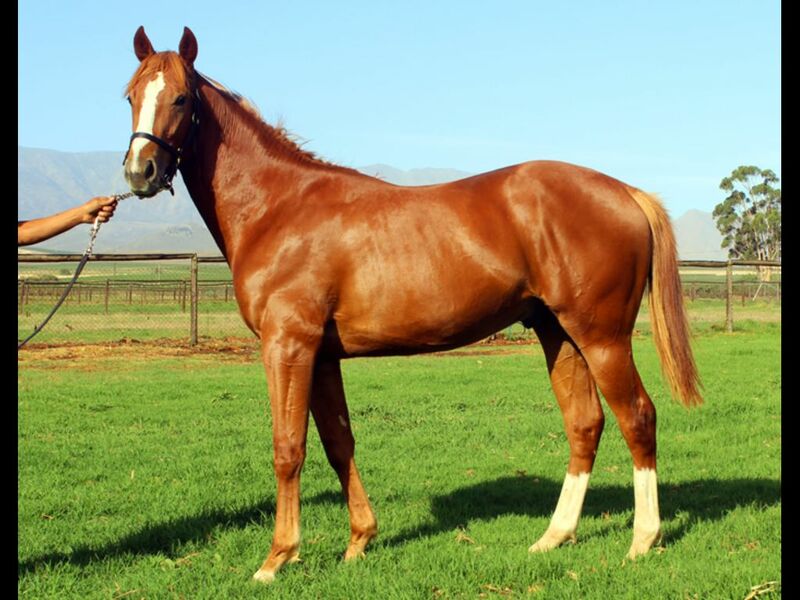 by Gimmethegreenlight-Ginger Hill, by Western Winter-Donya) - 1st Borrowdale Champion Fillies S.
From the same family as Sporting Monarch (2013.c. 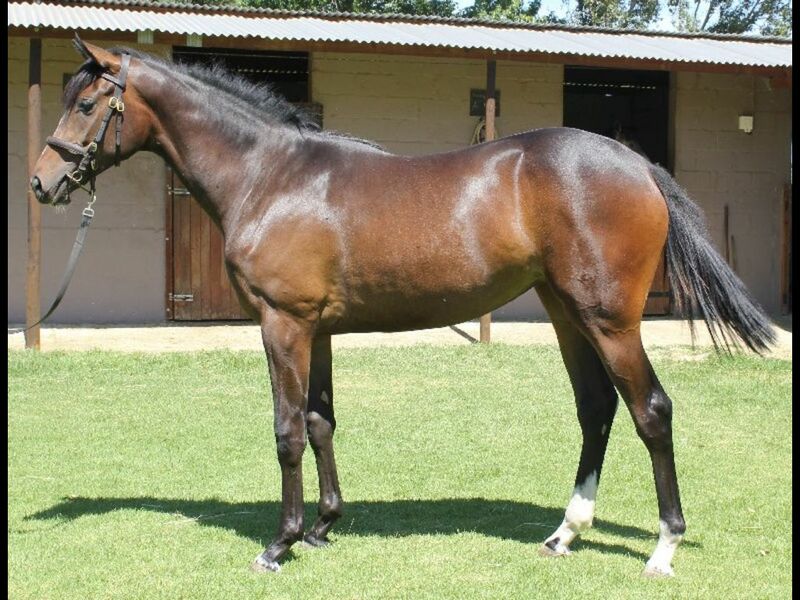 by Rebel King-Sporteska, by Sportsworld-Lady Dolpour) - 1st Vaal TC Supabets H.
Out of a sibling to New Hope (2013.g. 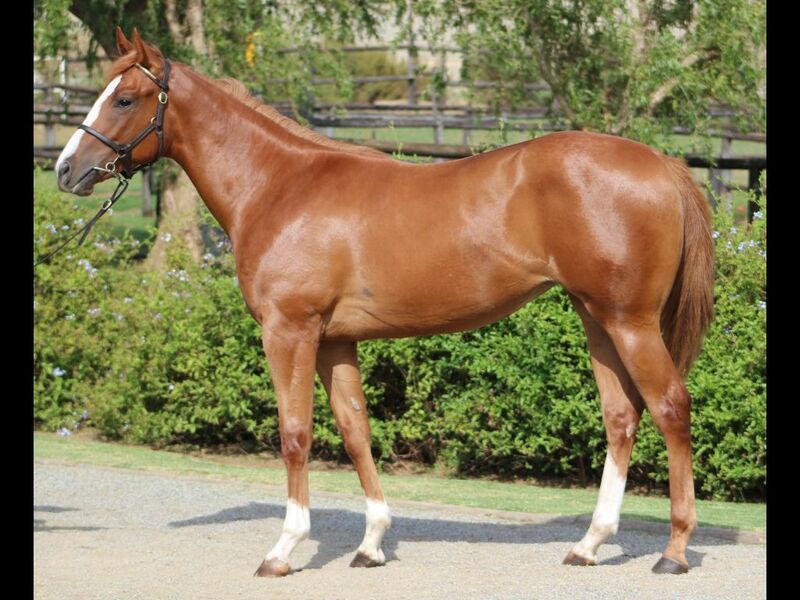 by Exceed and Excel-Great Hope, by Halling-Aspiration) - 1st Qatar Thoroughbred H.
Half-Brother to Grand Silvano (2014.c. 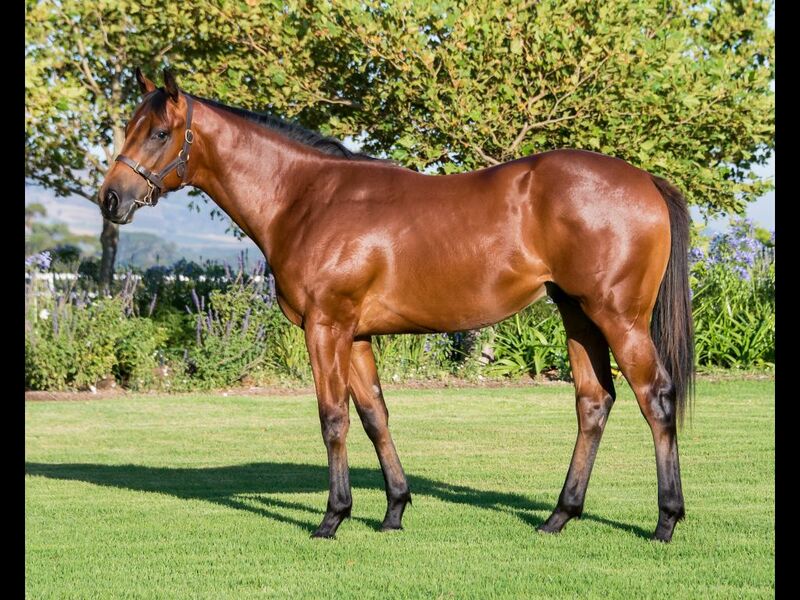 by Silvano-Grand Mary, by Kyllachy-Magic Sister) - 1st Kenilworth Hospitality Booking Sunmet H., 2nd Kenilworth Drakenstein Stud H.
Half-Brother to Mary o' Reilly (2015.f. 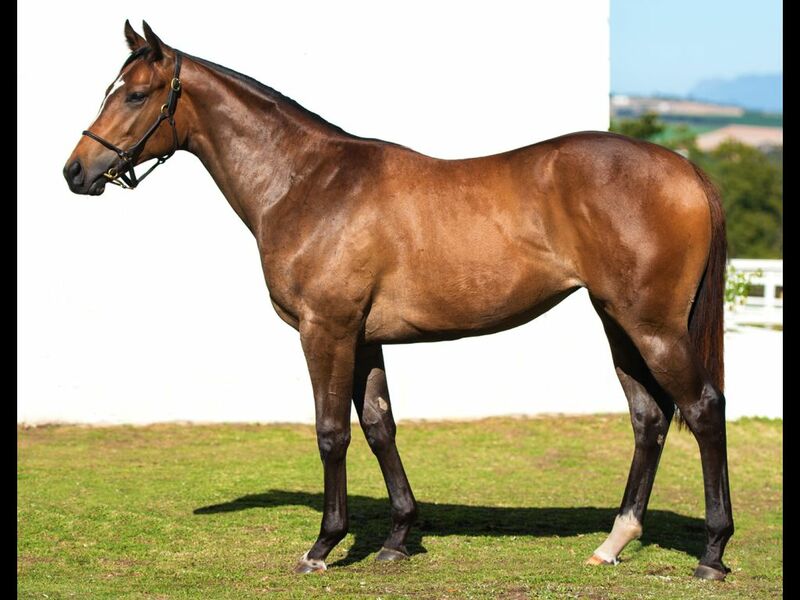 by Sail From Seattle-Grand Mary, by Kyllachy-Magic Sister) - 1st Fairview Betting World H., 2nd Fairview Betting World H.
Half-Brother to Tristful (2015.c. 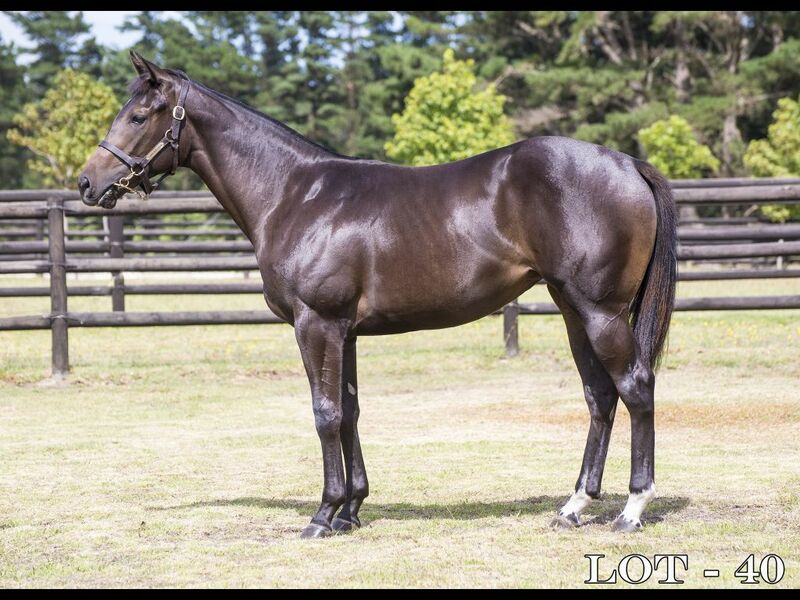 by Trippi-Hear the Rain, by Jet Master-Niteinthewoods) - 1st Greyville Greyville Convention Centre Maiden P.
Out of a sibling to PURPLE DIAMOND (2014.c. 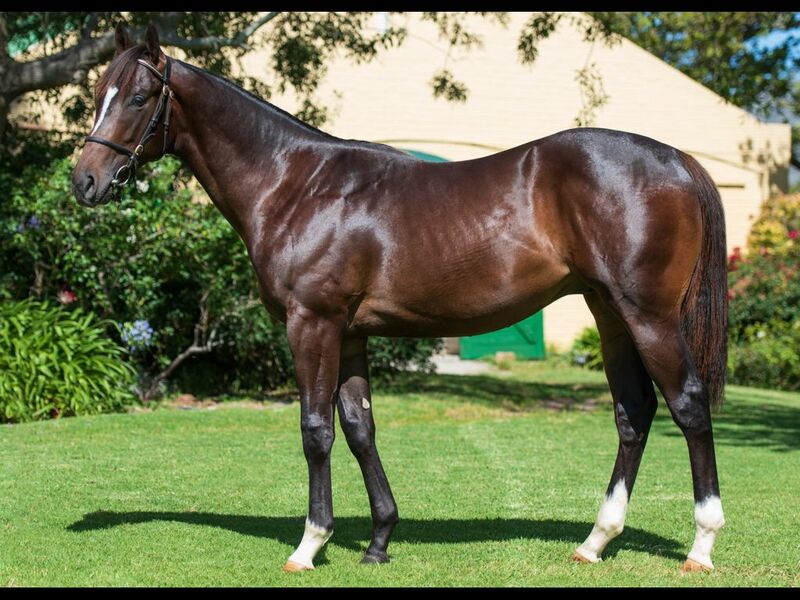 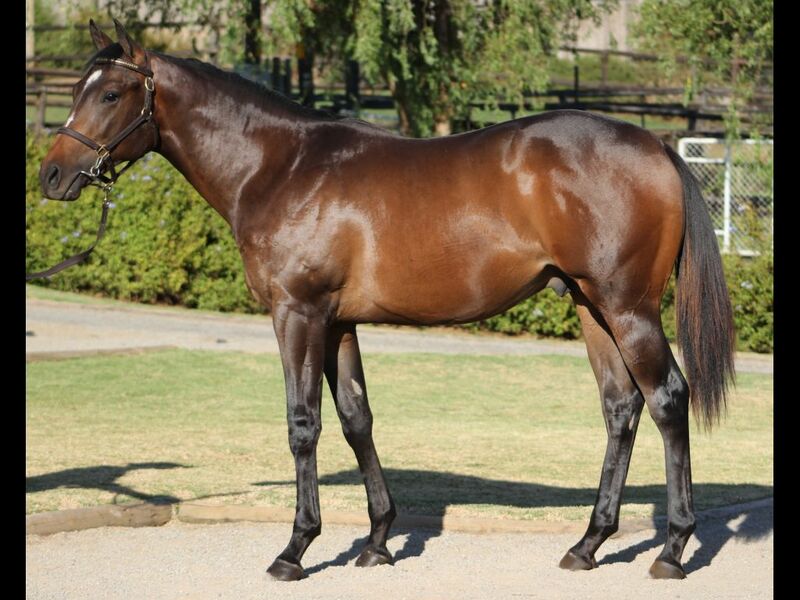 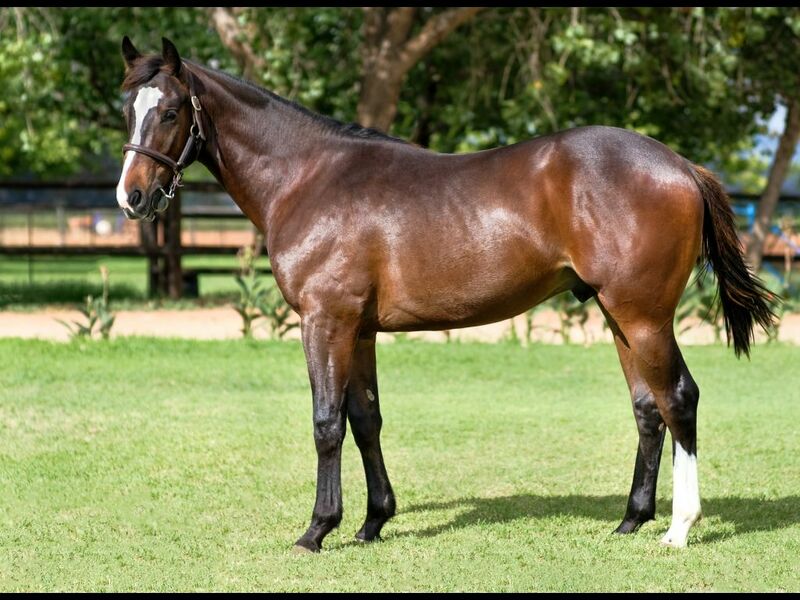 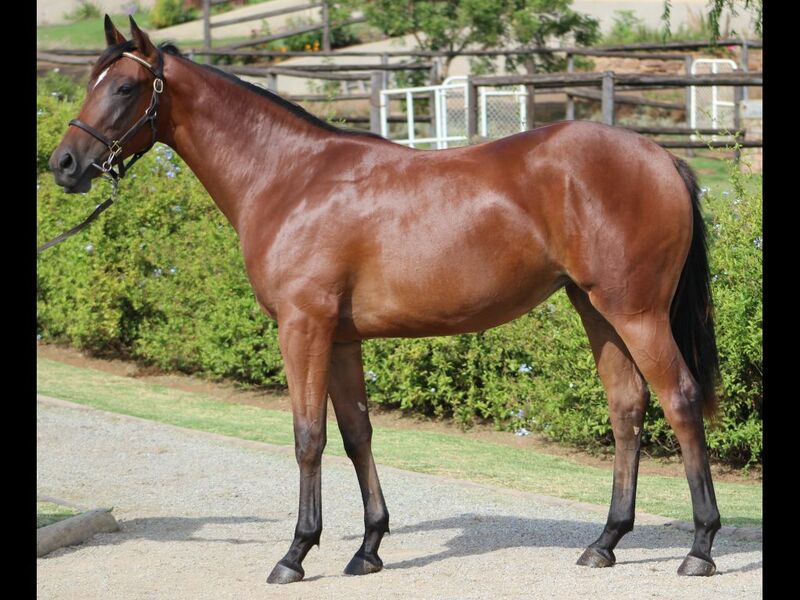 by Var-Jalberry, by Jallad-Taineberry) - 1st Turffontein Metro H.
Half-Sister to On That Boulevard (2014.c. 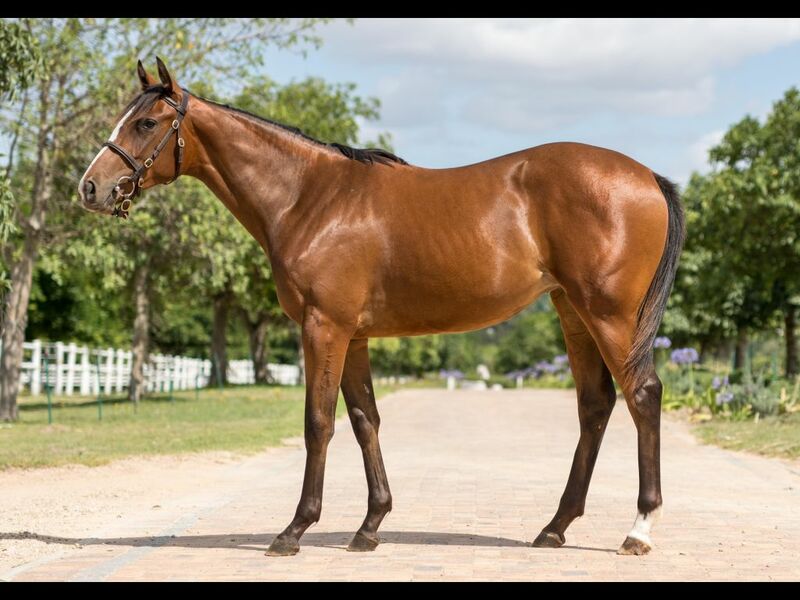 by Trippi-Hollywoodboulevard, by Street Cry-Soneria) - 1st Greyville Track & Ball Gaming H., 3rd Scottsville Follow Gold Circle on Facebook H.
Closely related to Pretty Ballerina (2014.f. 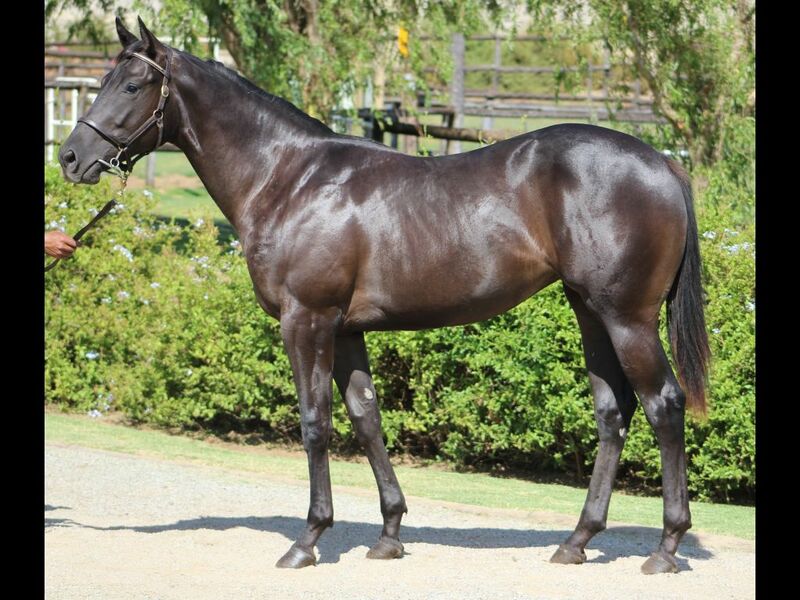 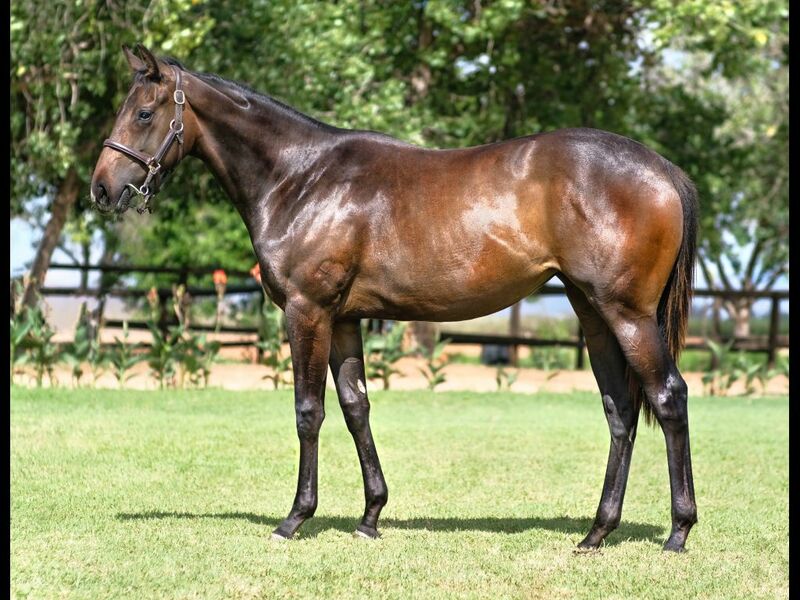 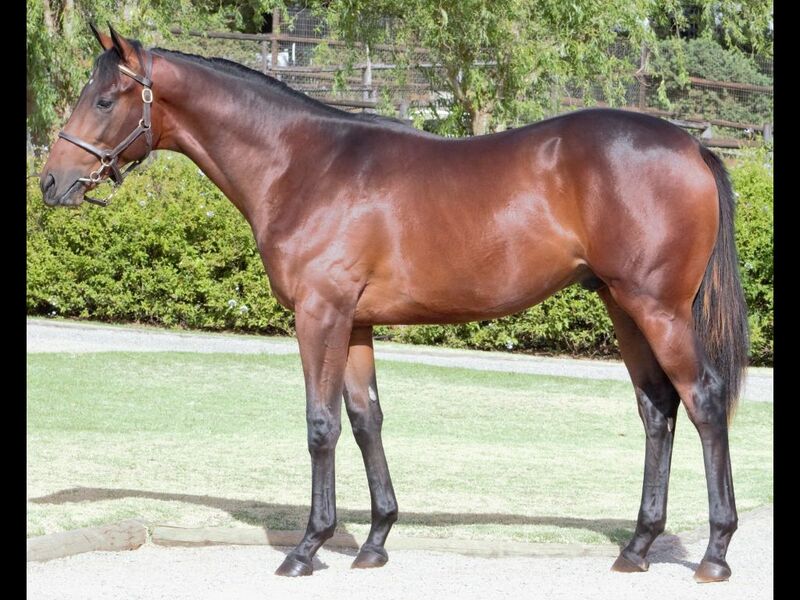 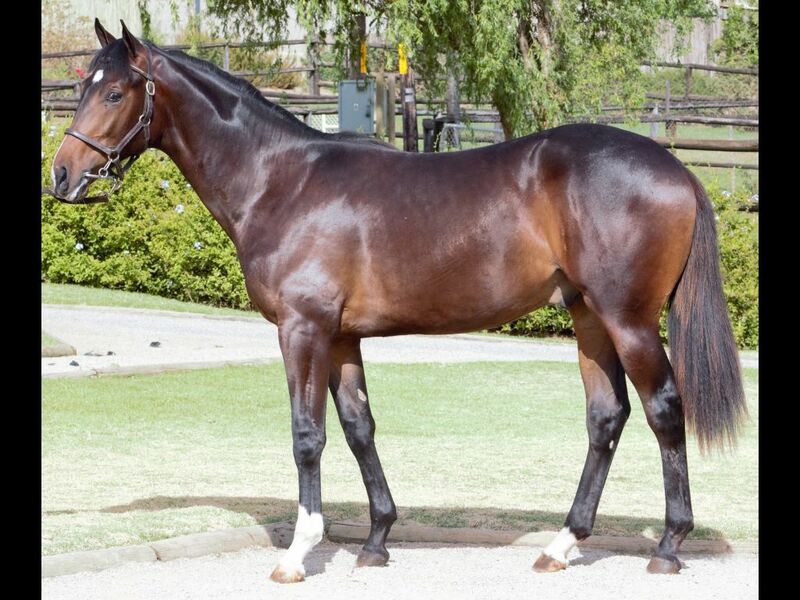 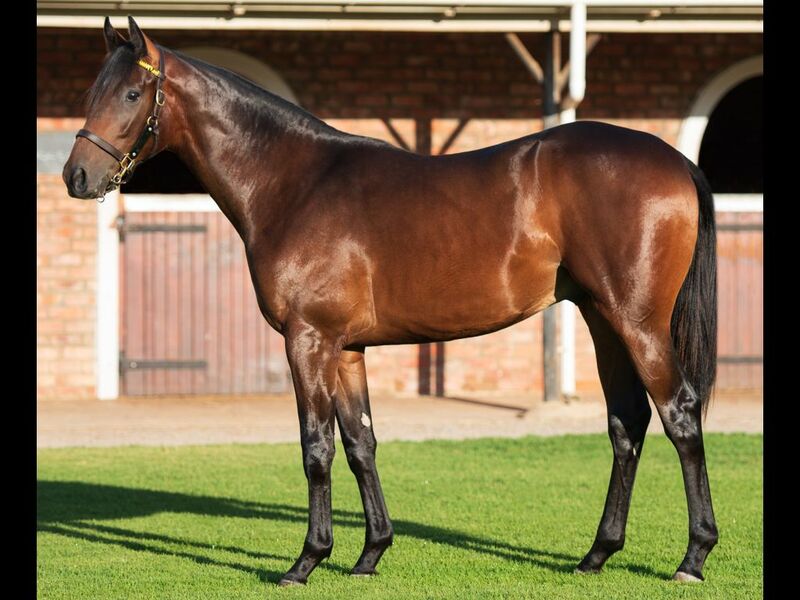 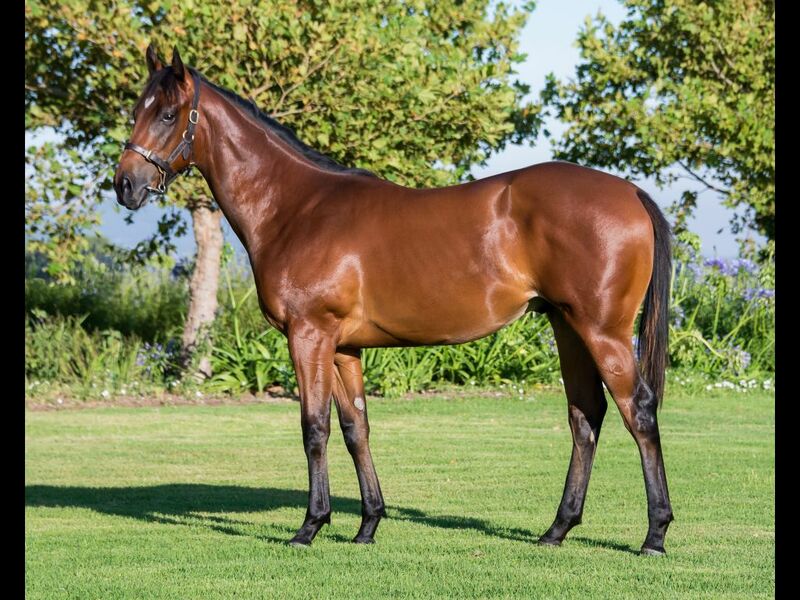 by Crusade-Hollywood Strip, by Tiger Hill-Soneria) - 1st Vaal TC Tab Telebet H.
Half-Brother to Gift for the Gap (2015.c. 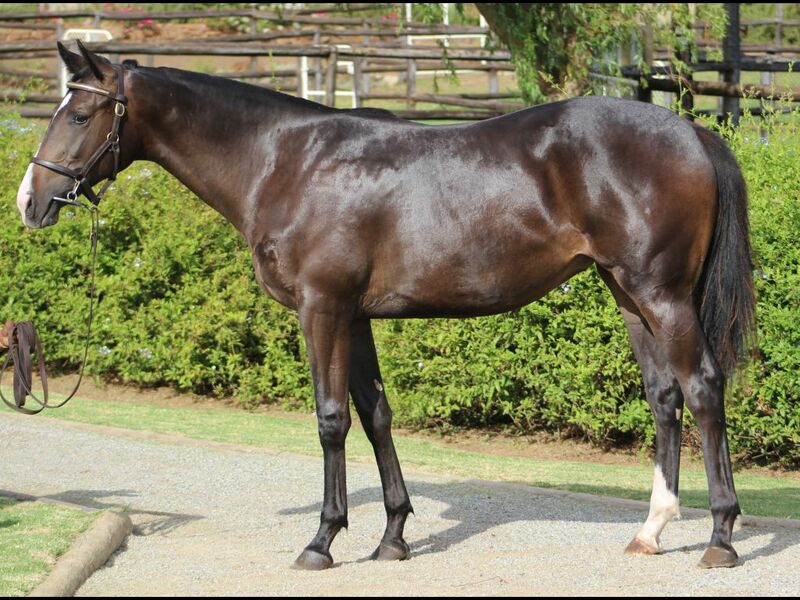 by Master of My Fate-Idler, by Fort Wood-Idle Fancy) - 1st Turffontein All to Come Assessment P.
Out of a sibling to African Messiah (2014.c. 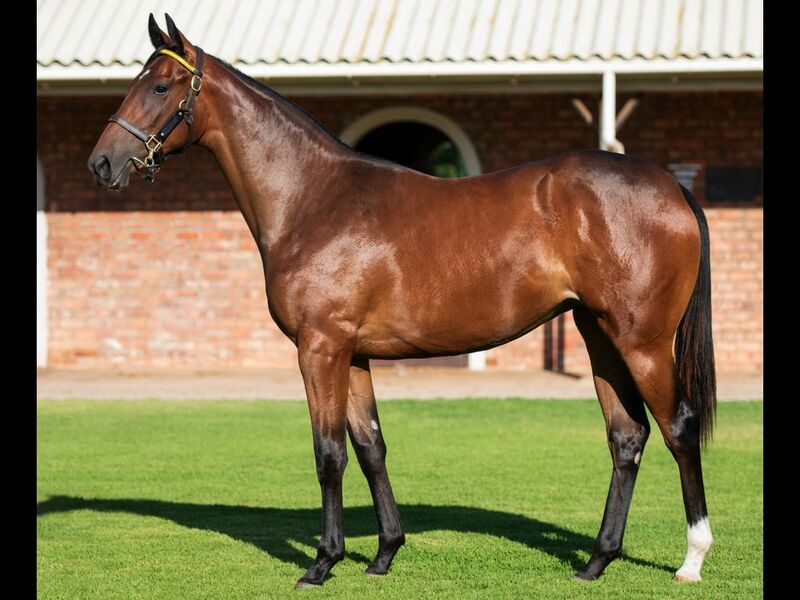 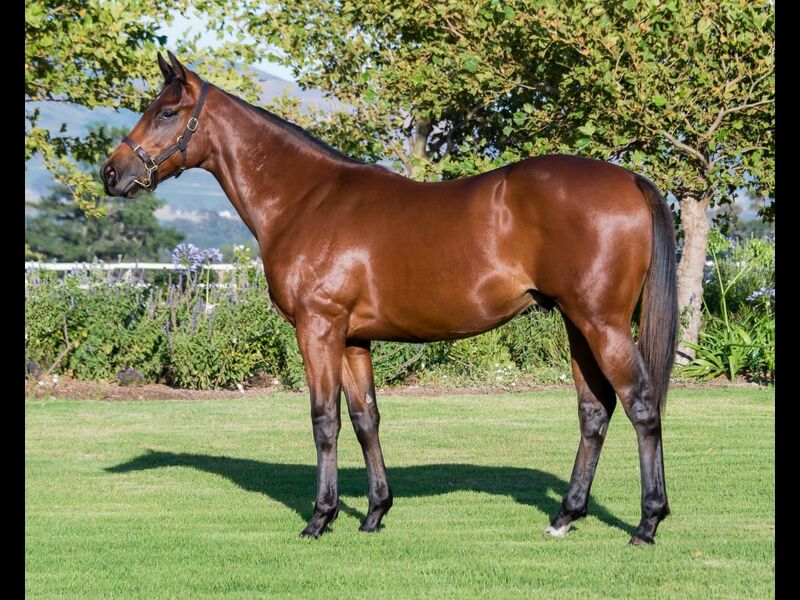 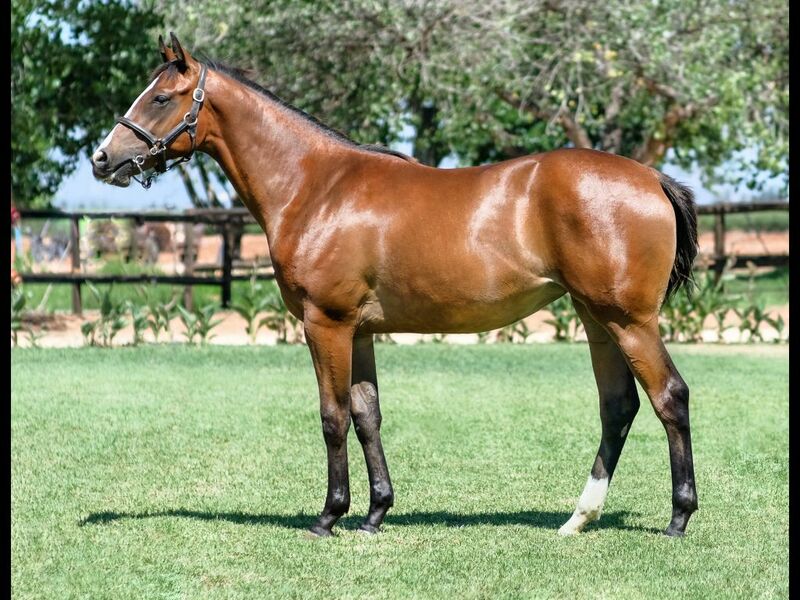 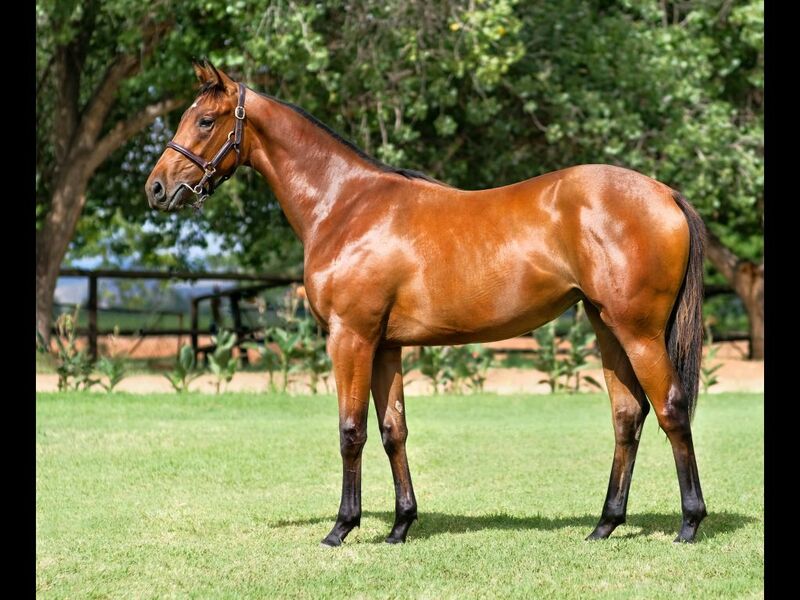 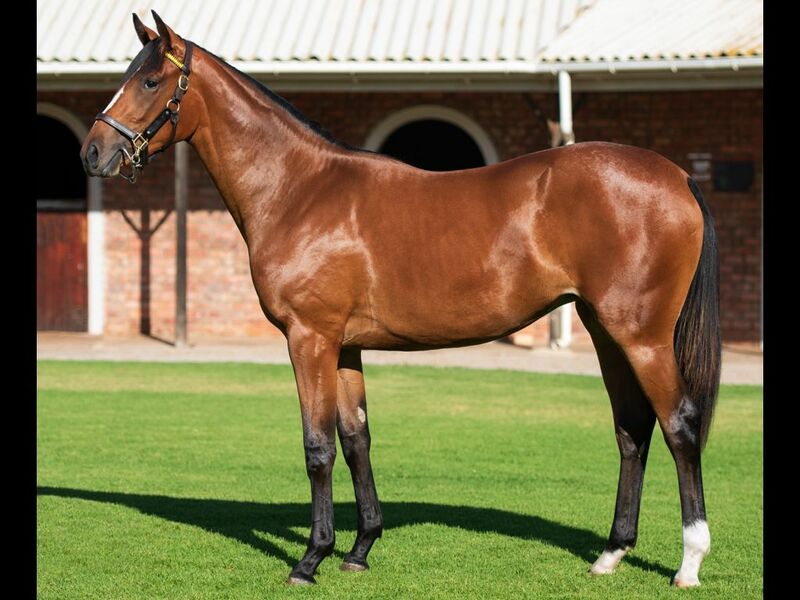 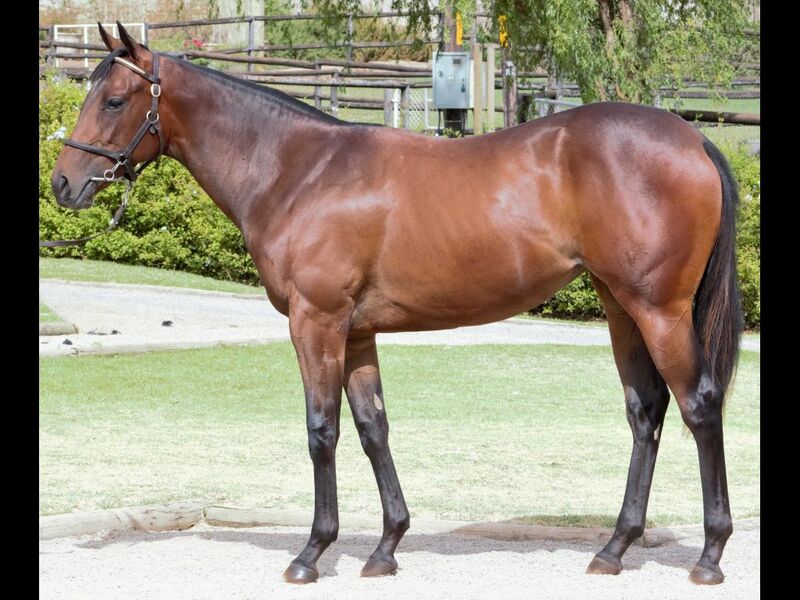 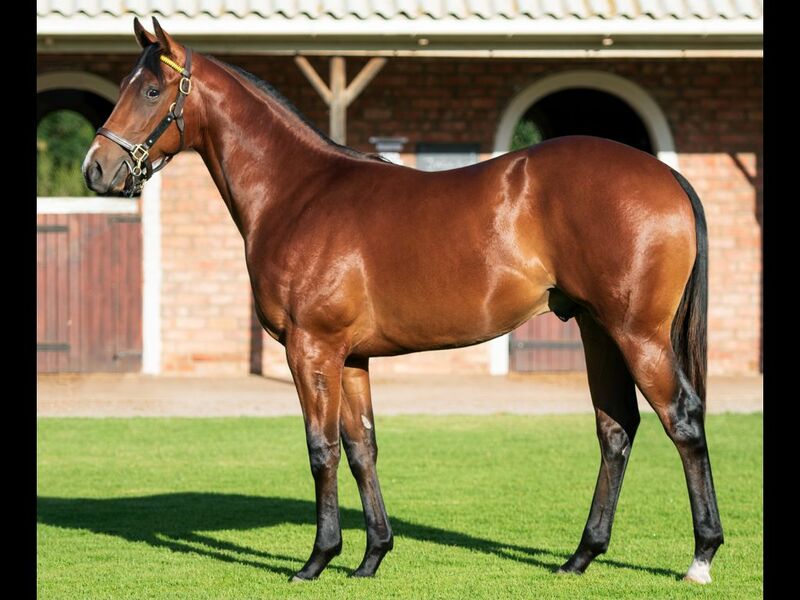 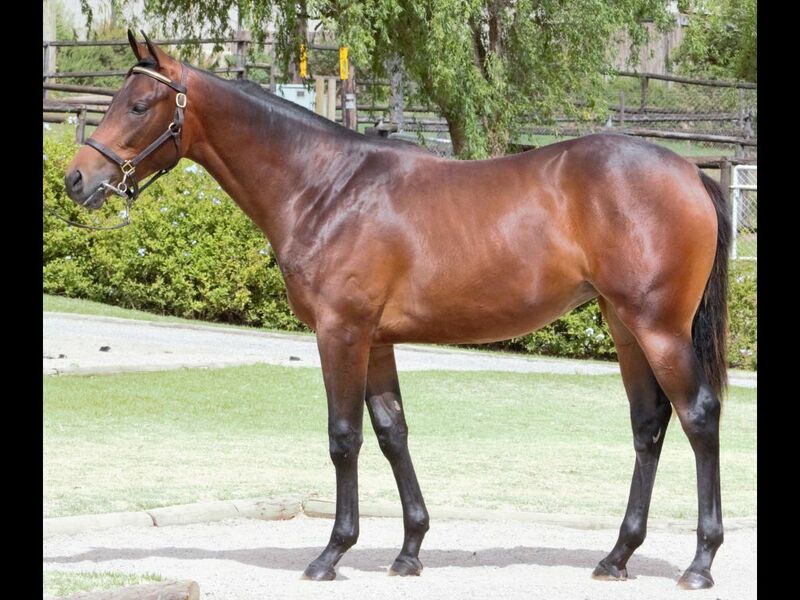 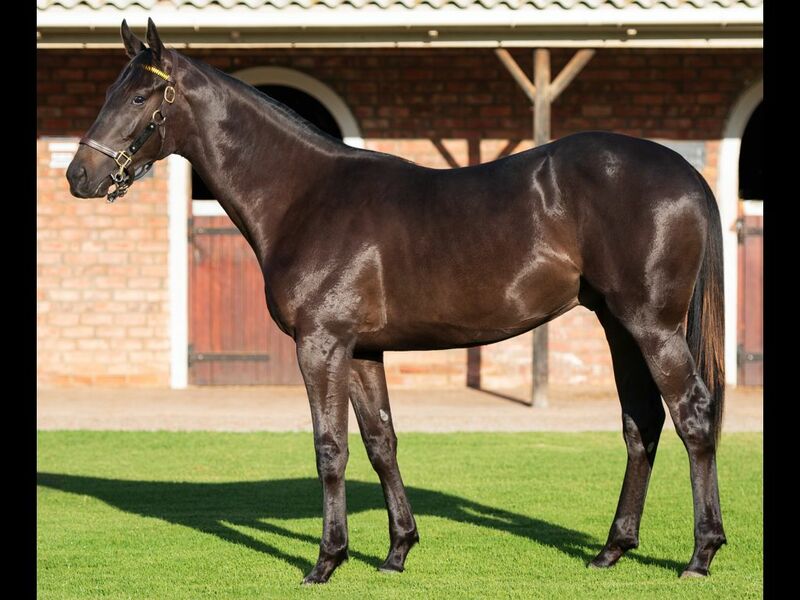 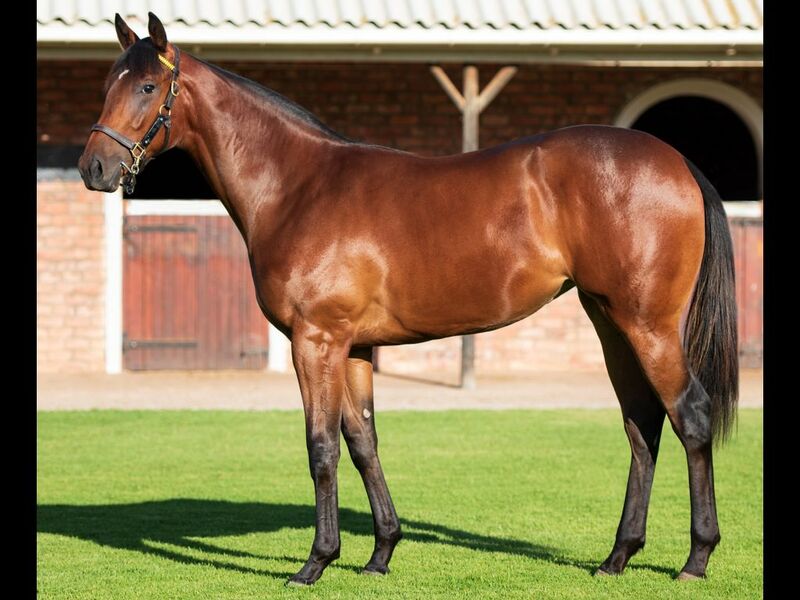 by Elusive Fort-Posh Lady, by Proclaim-Sandton Socialite) - 1st Fairview Tab Pays the Full Dividend, No Limits H., 1st Fairview Supabets H.
Half-Sister to TEMPLE GRAFIN (2015.f. 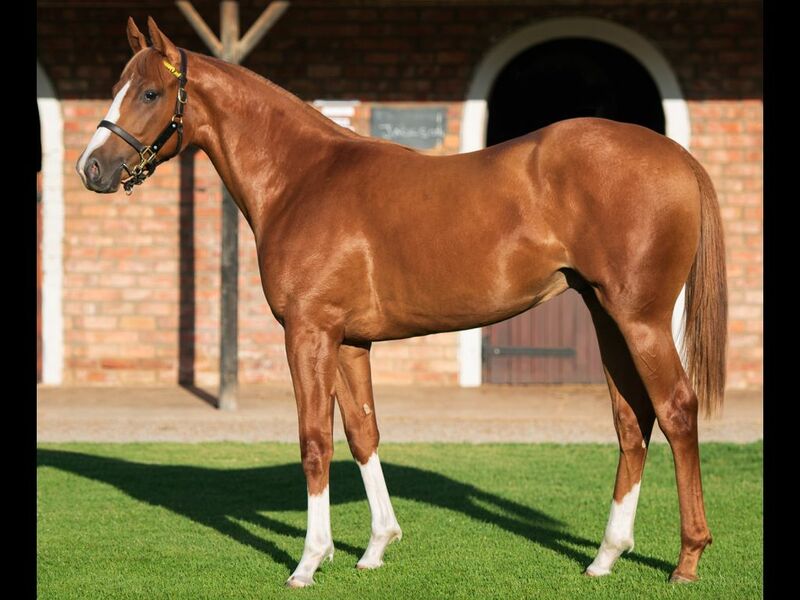 by Duke of Marmalade-Inner Temple, by Greys Inn-Chica) - 2nd Kenilworth Play Soccer P.
Half-Brother to Jack of All Trades (2015.c. 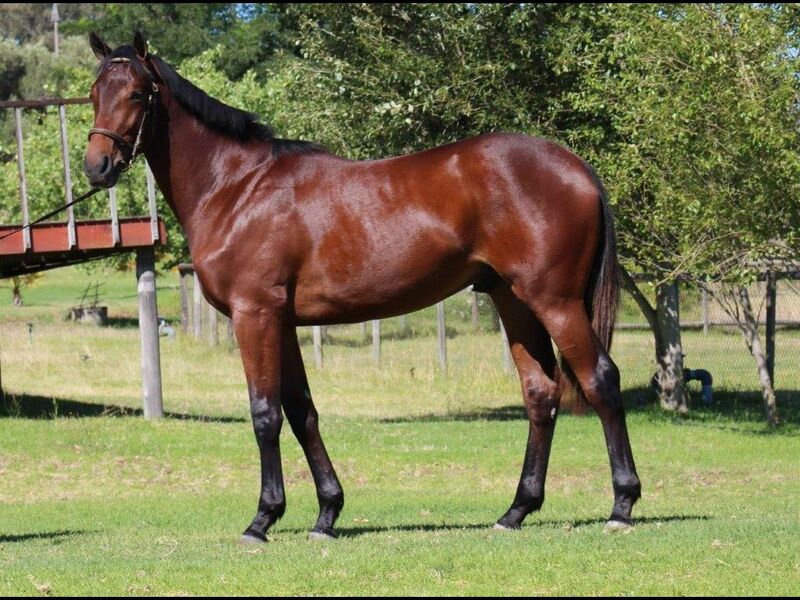 by Querari-Jambalaya, by Silvano-Jaamanique) - 3rd Griqualand Full Dividend No Limits Maiden P.
Half-Brother to On the Double (2015.f. 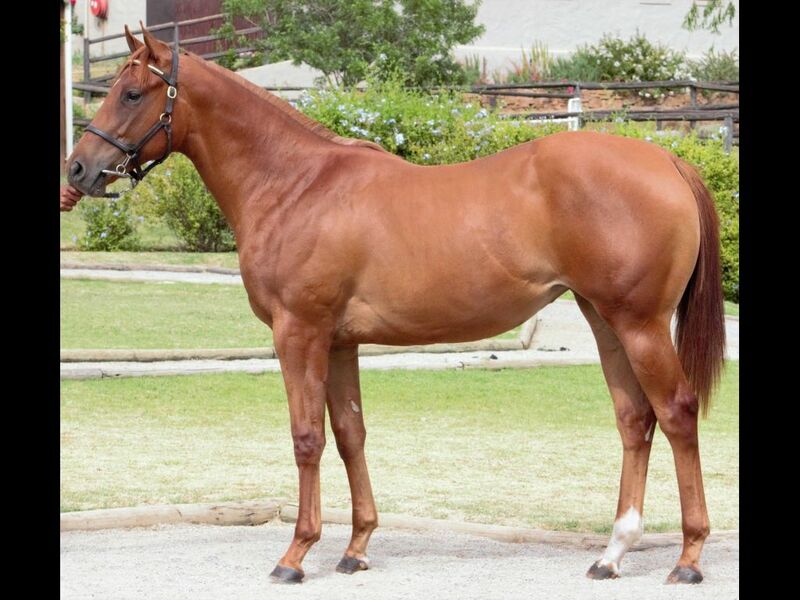 by Twice Over-Kitco, by Var-Platinum Lady) - 3rd Turffontein Book a Table Assessment P.
Closely related to Divine Connection (2014.c. 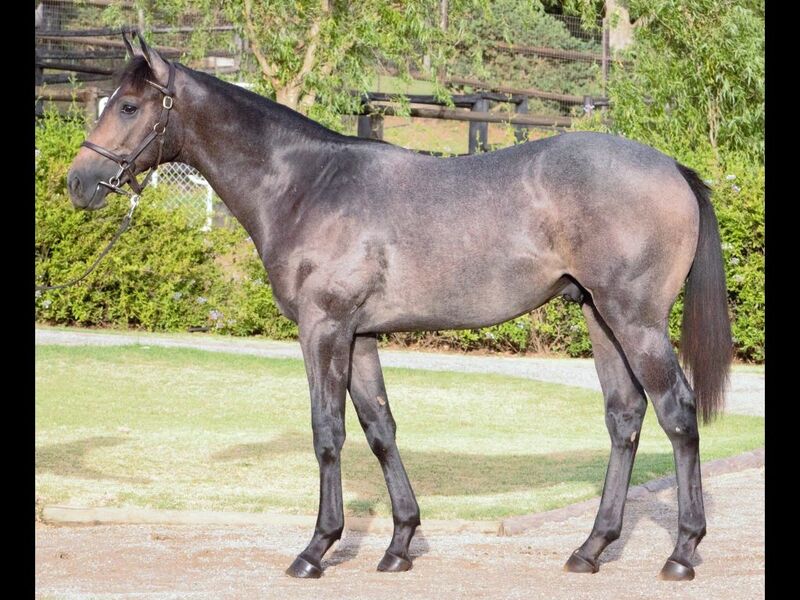 by Crusade-Platinum Ice, by Western Winter-Platinum Lady) - 1st Vaal TC Book a Table H.
From the same family as Silver Thursday (2014.f. 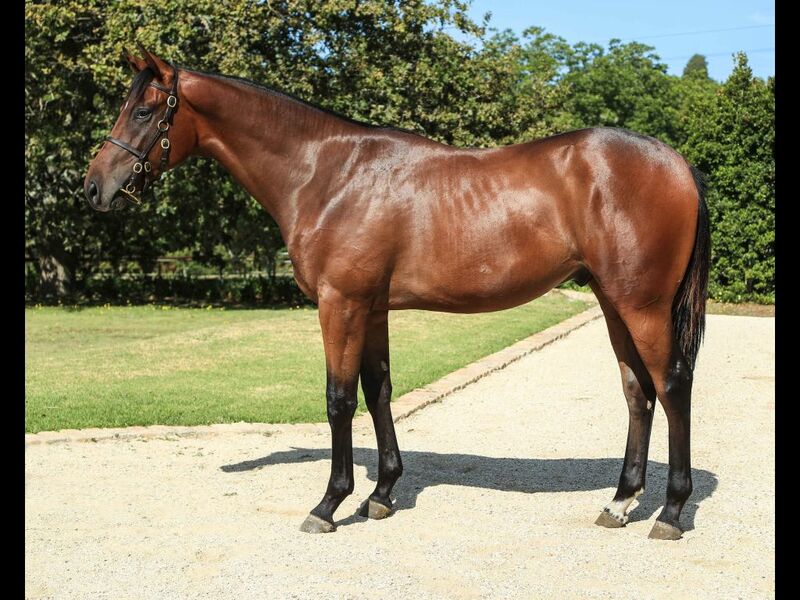 by Silvano-Secret Obsession, by Captain Al-Sweet Natasha) - 1st Turffontein Joburg's Prawn Festival in March Assessment P.
Half-Sister to I Ain't Trippin (2014.f. 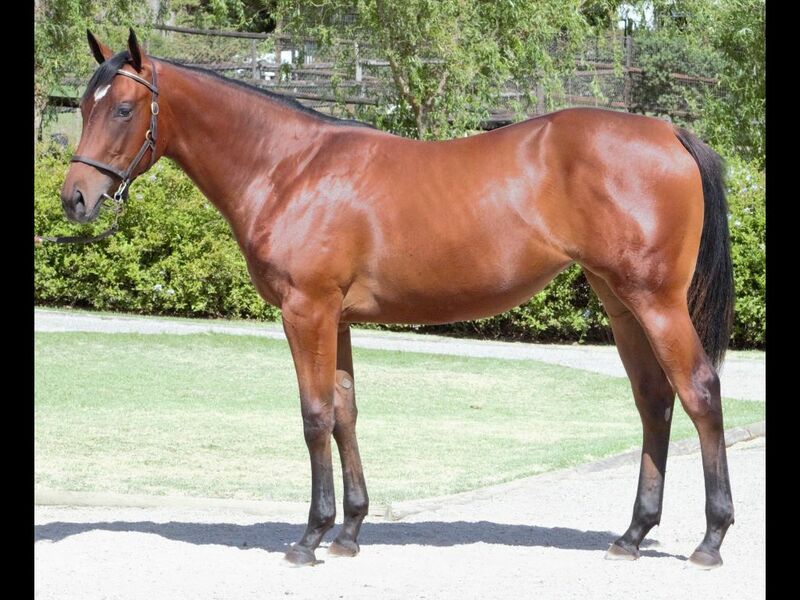 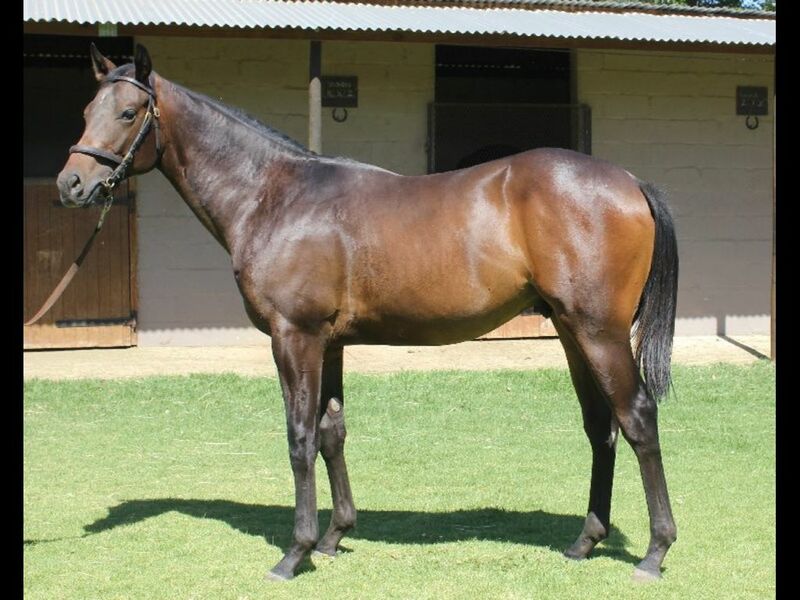 by Trippi-La Patoneur, by Badger Land-Skating) - 3rd Vaal TC Next Racemeeting Thursday H.
Half-Sister to Flash Fire (2013.f. 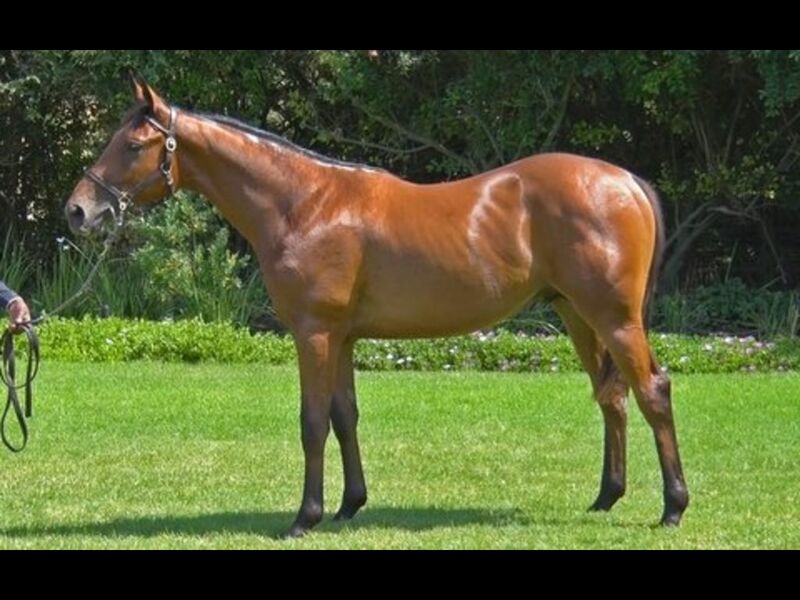 by Philanthropist-La Rosita, by Fasliyev-Shepherd's Warning) - 2nd Kenilworth Betting World H., 3rd Kenilworth Play Soccer 6, 10 and 13 H.
Out of a sibling to Mardi Gras (2014.c. 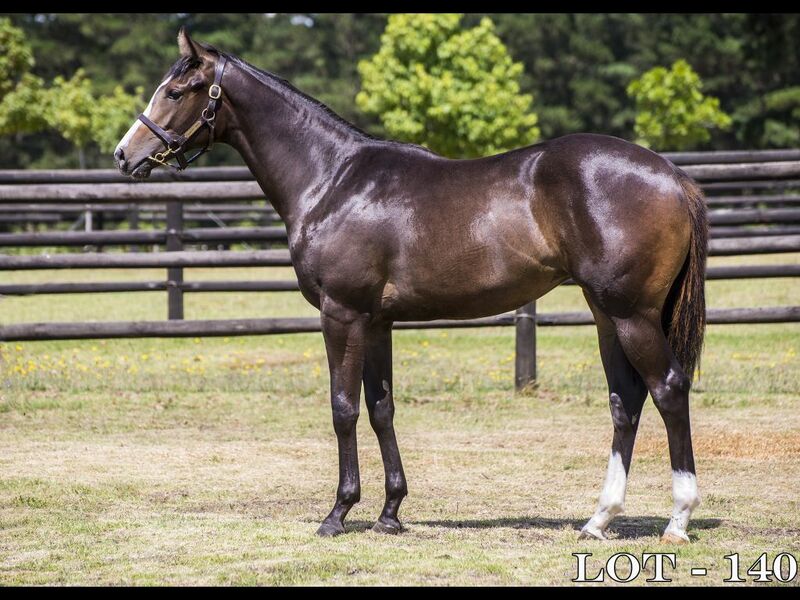 by Oratorio-Sarabande, by Goldmark-Blitz Polka) - 1st Scottsville Riki Takahashi H., 1st Vaal TC Interbet.co.za Assessment P.
Out of a sibling to Don't Stop Dancing (2013.f. 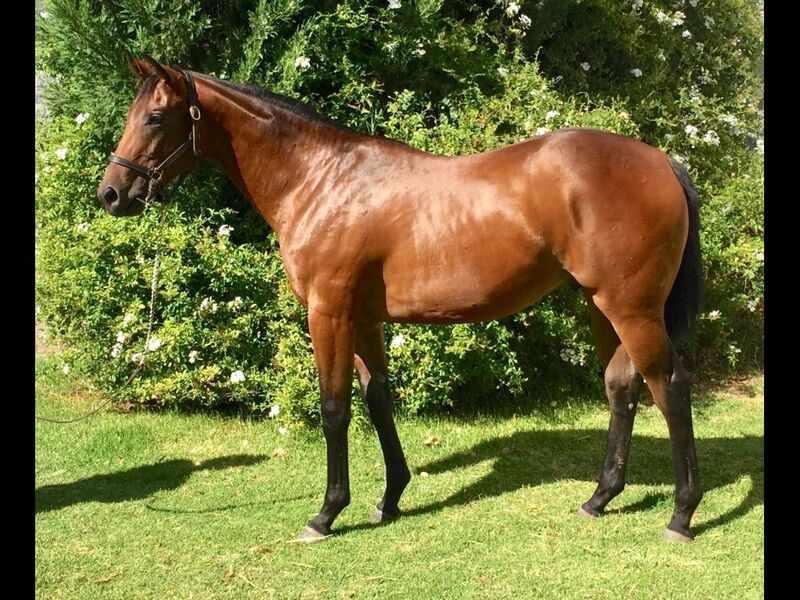 by Dynasty-Sarabande, by Goldmark-Blitz Polka) - 1st Fairview Racing Association H., 1st Fairview Interbet.co.za H.
Brother to SECRET POTION (2014.f. 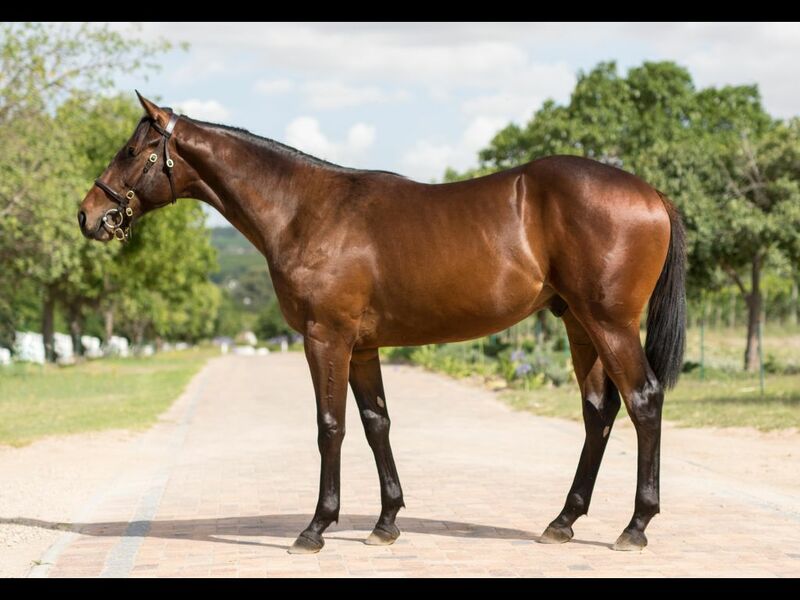 by Elusive Fort-Lemon Drop Girl, by Parade Leader-Naughty Princess) - 1st Turffontein Betting World S.
Out of a sibling to Dragon Power (2015.c. 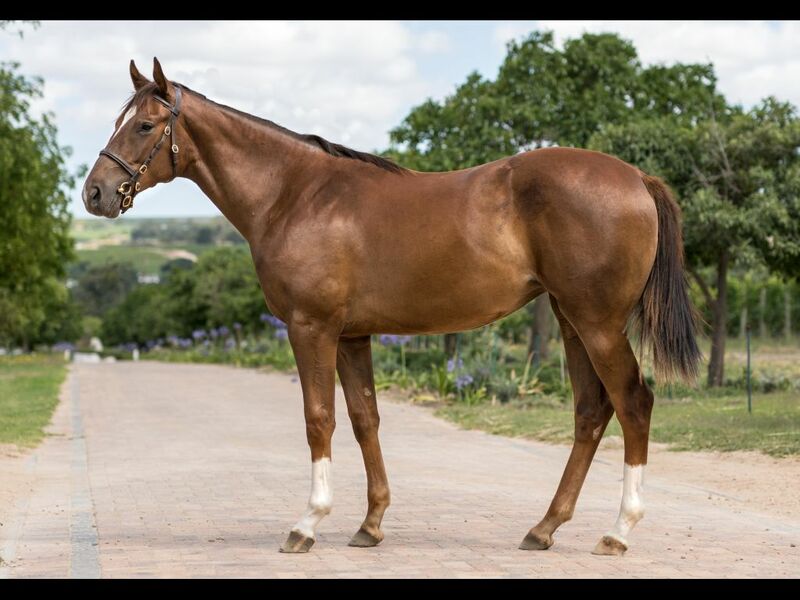 by What a Winter-Cutey Lee, by Is it True-Our Cutey) - 1st Kenilworth Itsarush.co.za Maiden P.
Half-Brother to What a Summer (2014.c. 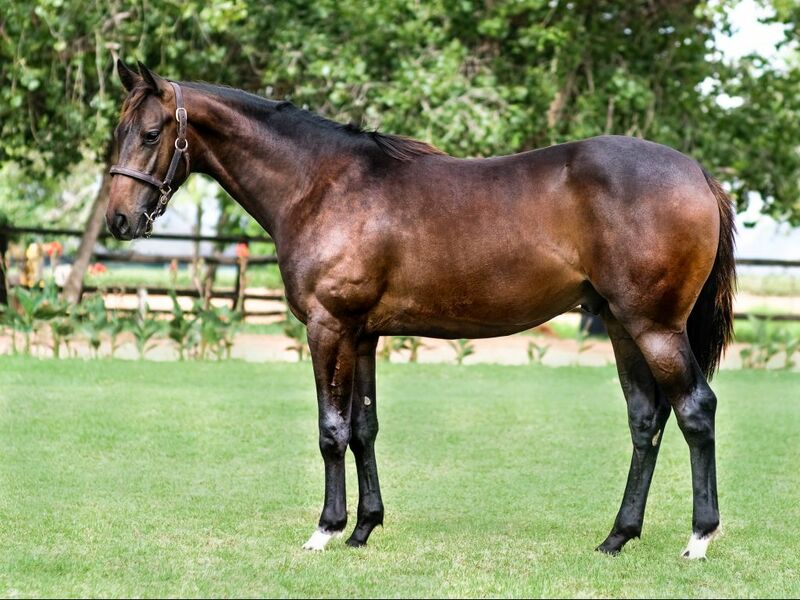 by What a Winter-Limerick, by Fort Wood-Kenmare Belle) - 1st Kenilworth Interbet.co.za H.
From the same family as ROCK 'N' GOLD (2010.g. 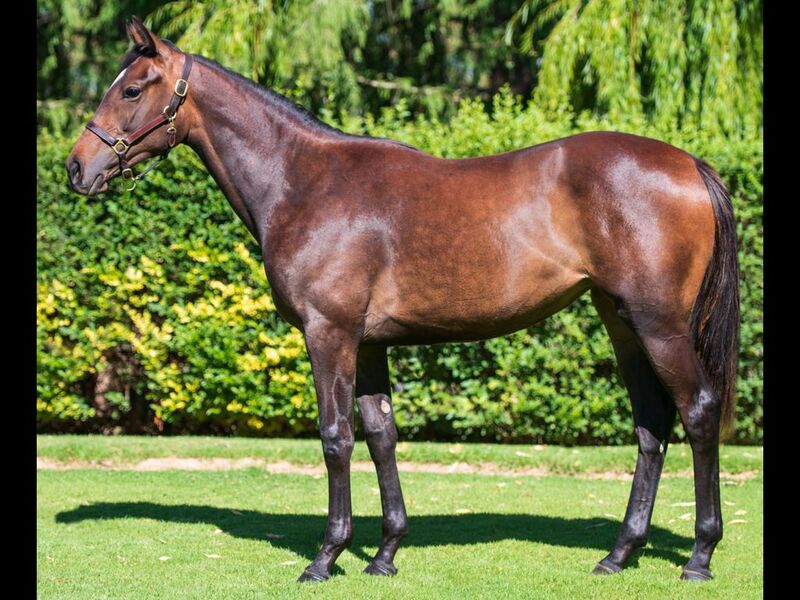 by Rock of Gibraltar-Goldberg, by Geiger Counter-Taj Eclipse) - 1st MRC (Caulfield) Ken Sturt H.
Brother to Gimme London (2015.f. 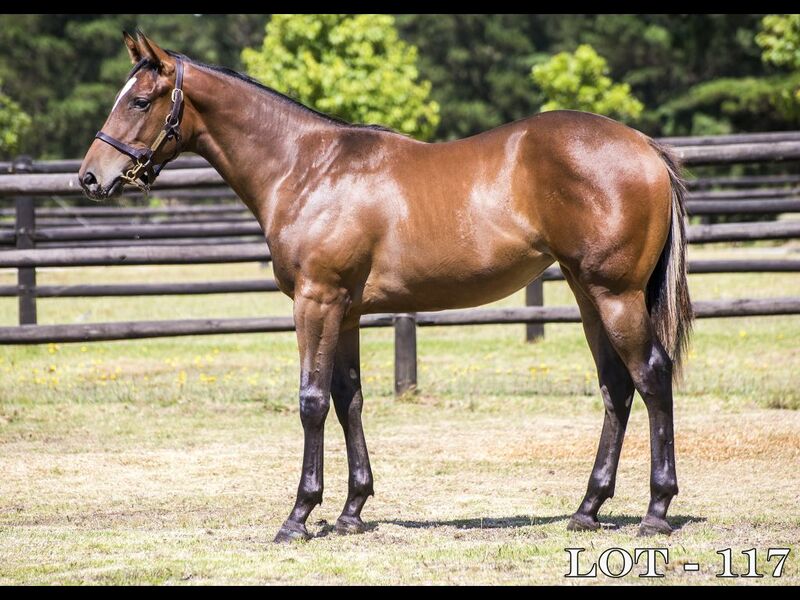 by Gimmethegreenlight-London Niece, by Northern Guest-Secret Pact) - 2nd Kenilworth Wilgerbosdrift H.
Closely related to Banjo on My Knee (2015.c. 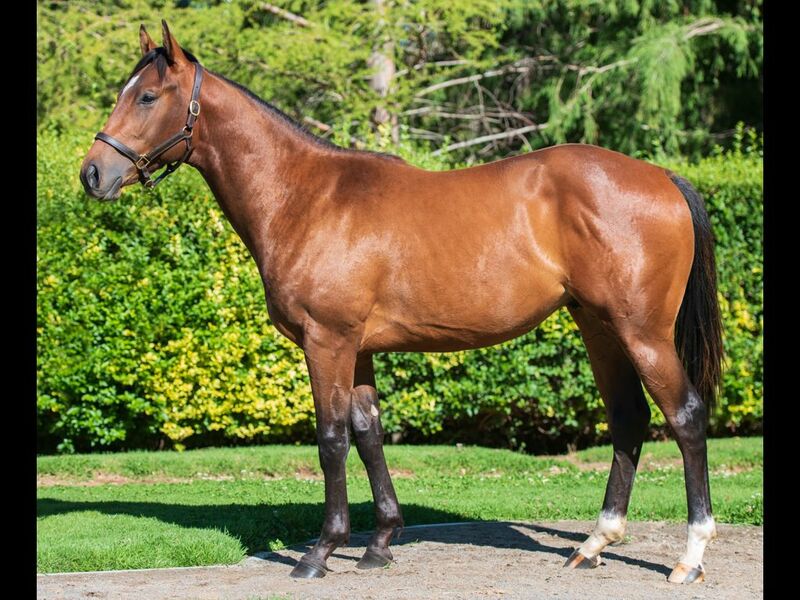 by Mambo in Seattle-Susanna, by Tiger Ridge-London Niece) - 1st Greyville Edison Power H.
Closely related to Scoop (2015.c. 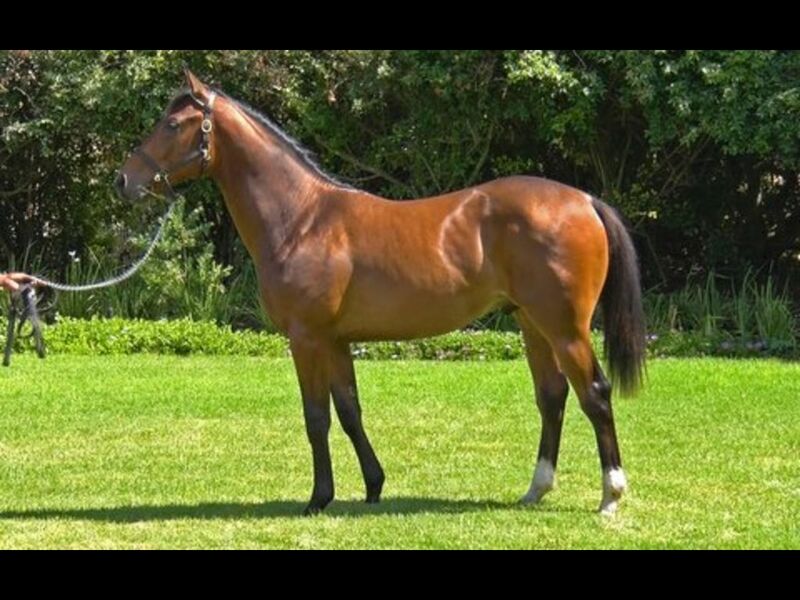 by Captain Al-Secret Mission, by Fort Wood-Secret Pact) - 1st Vaal TC Quartet Maxi Pool Summer Cup P.
Out of a sibling to Temperance Society - Dutch Windmill (H.K.) 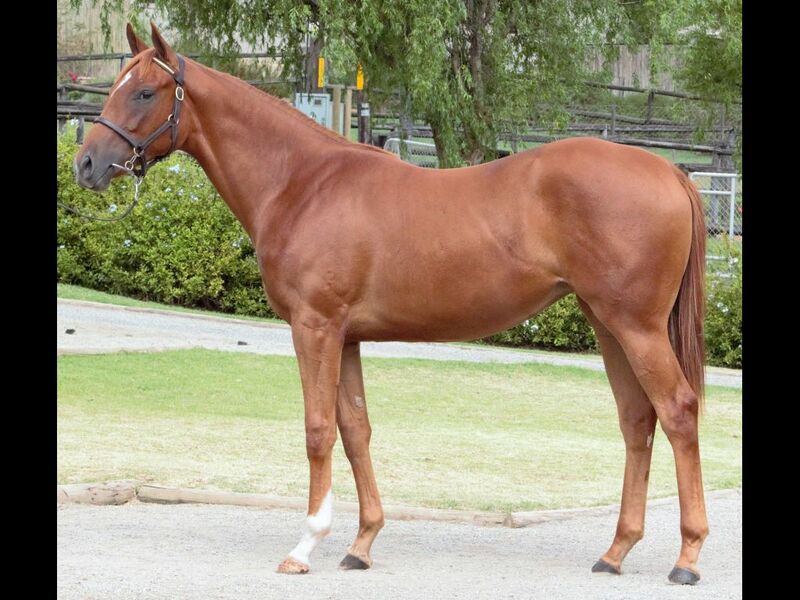 (2012.g. 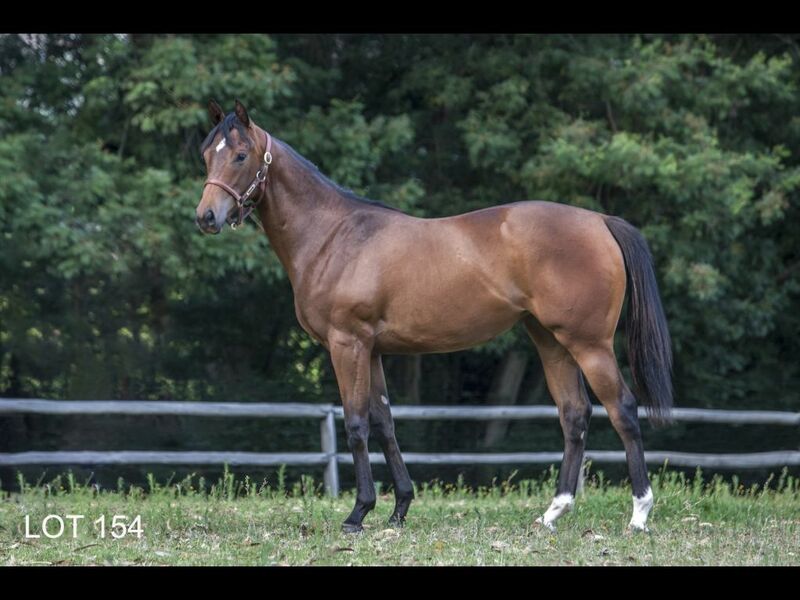 by Dark Angel-Cover Girl, by Common Grounds-Peace Carrier) - 1st HKJC Kokura H.
Closely related to CASTLE HILL CASSIE (2014.f. 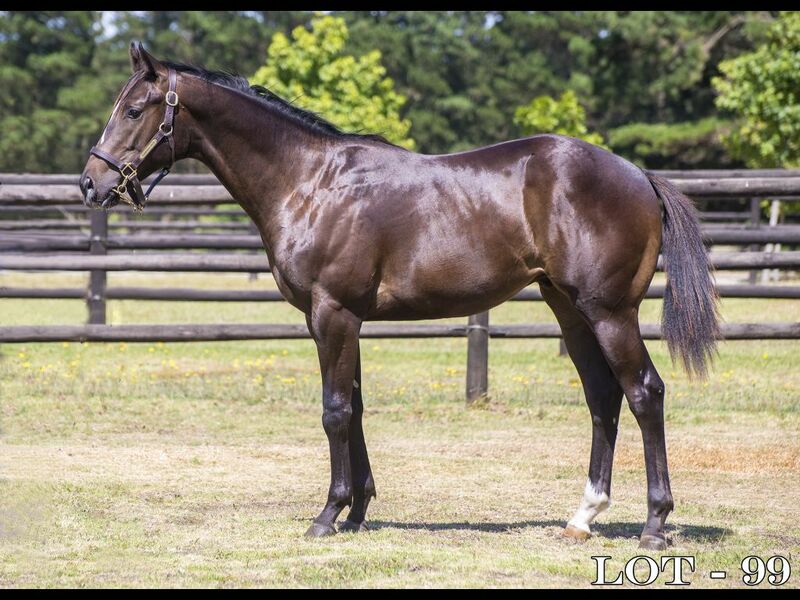 by Casamento-Angel Bright, by Dark Angel-Cover Girl) - 1st Wolverhampton Ladbrokes Bet 5 Get 20 Fillies' Conditions S.
Closely related to Countless Awards (2015.f. 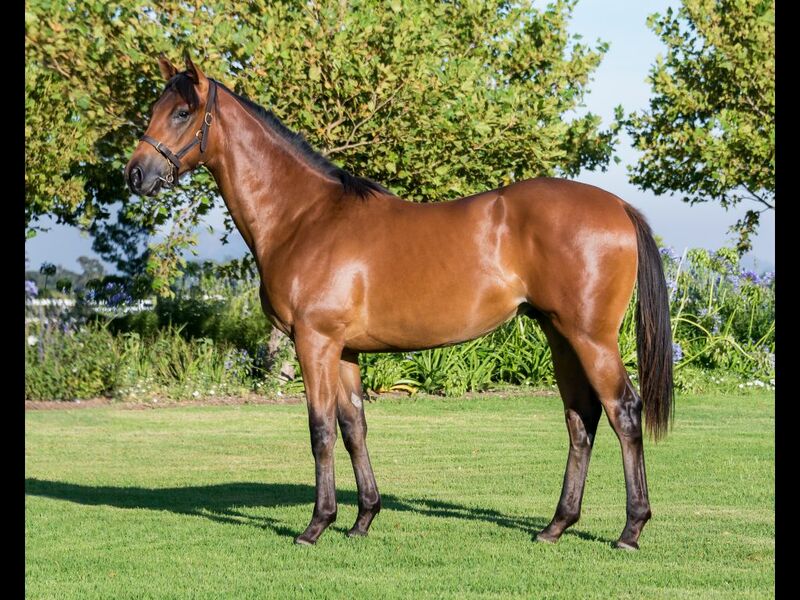 by Pomodoro-Countless, by Count Dubois-Lunar Express) - 1st Fairview Tabonline.co.za Maiden P.
Closely related to Bwana (2014.c. 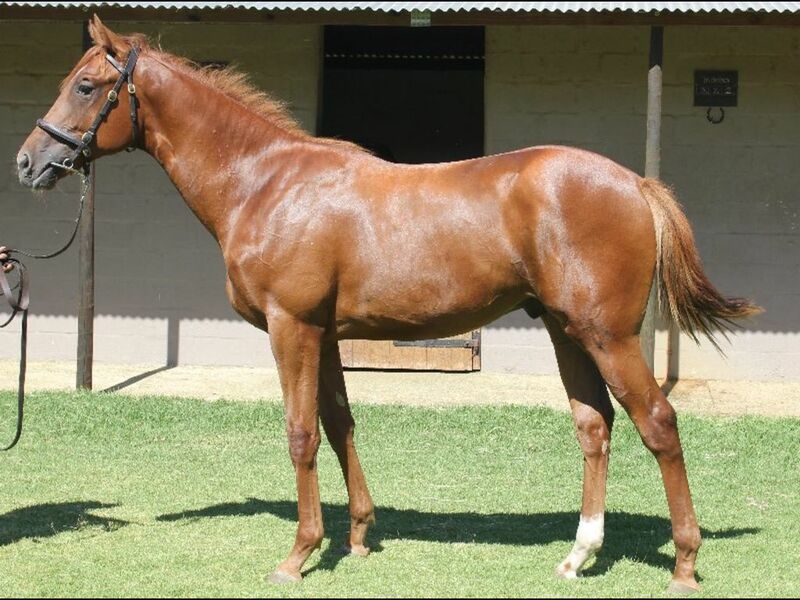 by Trippi-Silver Apples, by Victory Moon-Milden Magic) - 1st Kenilworth Skyy Vodka H.
Half-Brother to Gravitation (2015.c. 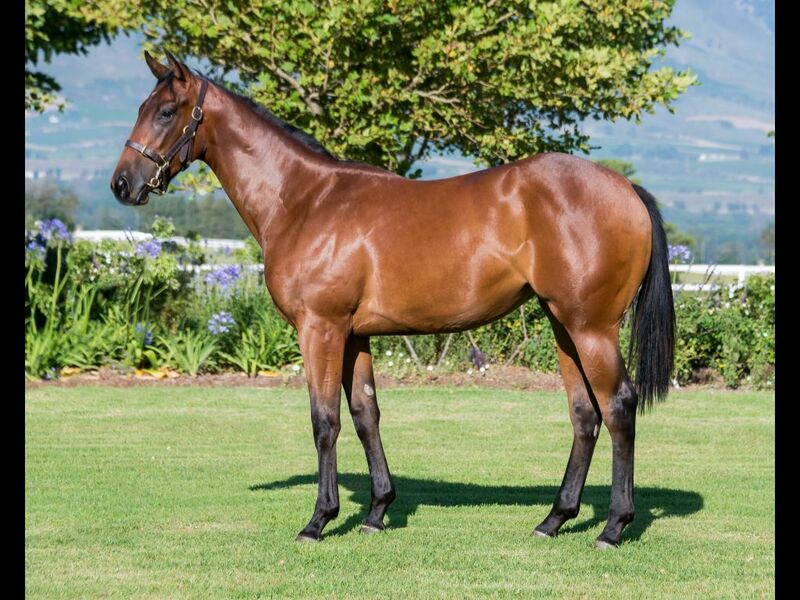 by Rock of Gibraltar-Magnolia Lane, by Sadler's Wells-Lyndonville) - 2nd Fairview Interbet.co.za Maiden P.
Closely related to Au Coeur (2014.c. 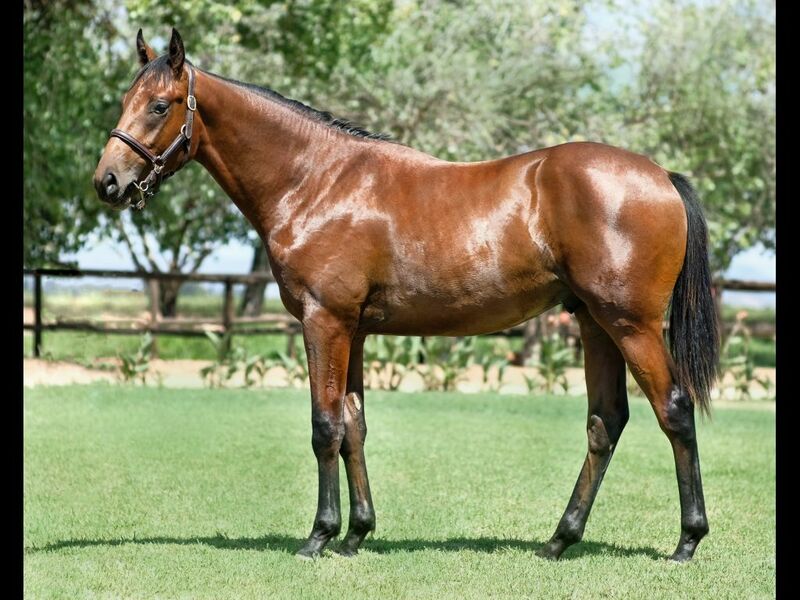 by Invincible Spirit-Botanique, by Pivotal-Magnolia Lane) - 1st Jebel Ali Al Shafar Investment LLC H.
Closely related to Cavivar (2016.f. 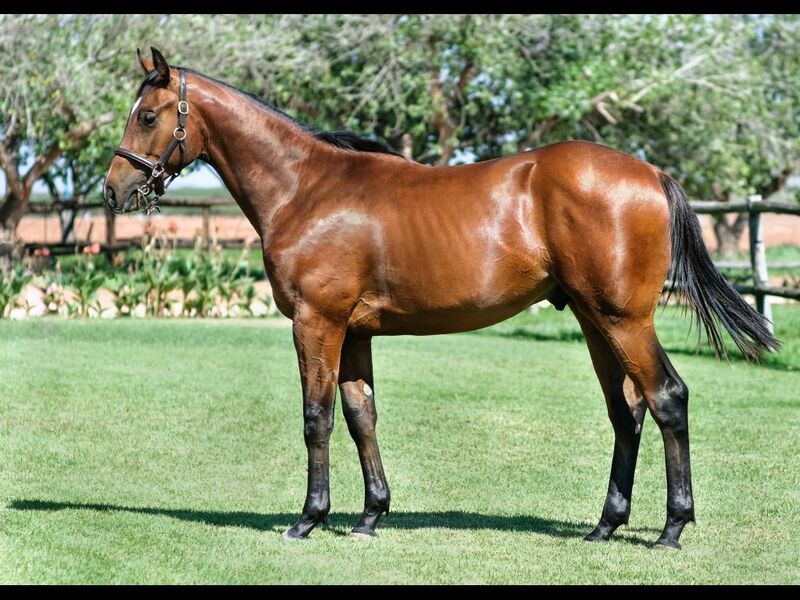 by Var-Control Freak, by Tamburlaine-Time Control) - 1st Turffontein Itsarush.co.za Juvenile P.
Out of a sibling to EXELERO (2010.c. 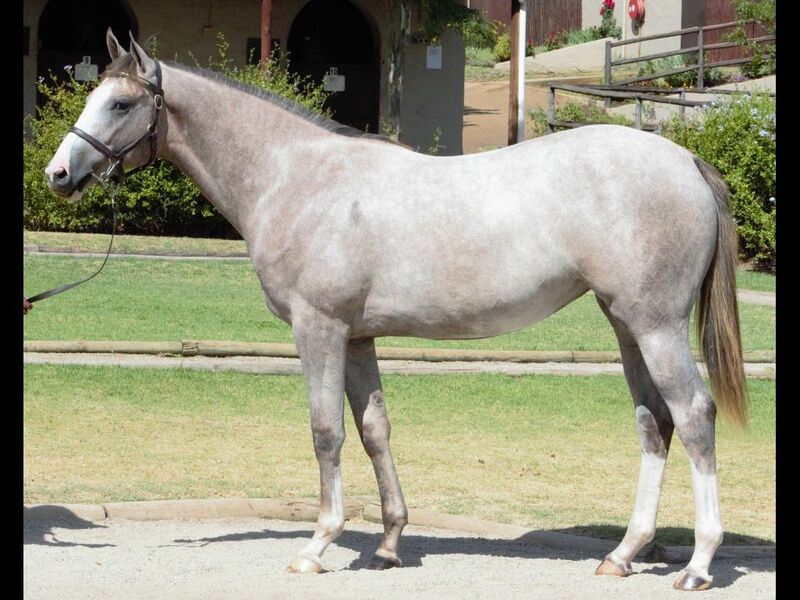 by Western Winter-Landaulet, by Badger Land-Countess Alexis) - 1st Fairview Supabets S.
From the same family as Santa Clara (2015.f. 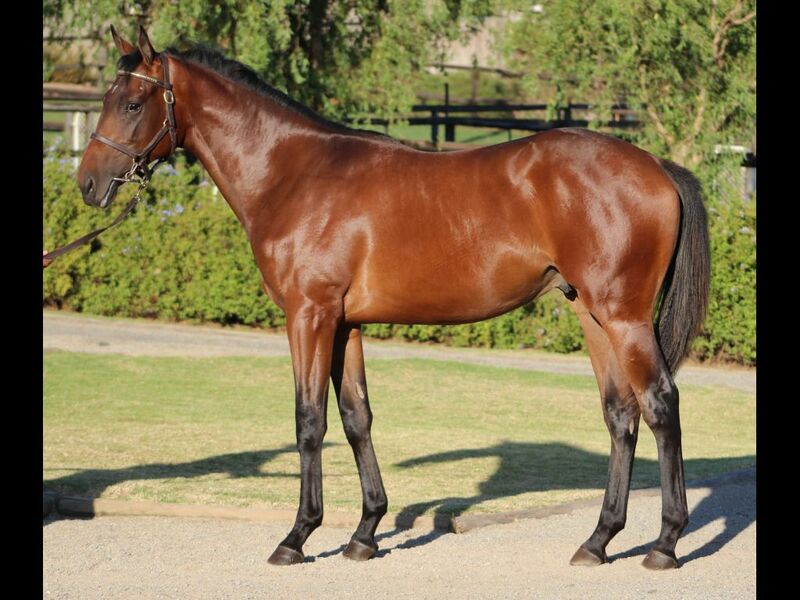 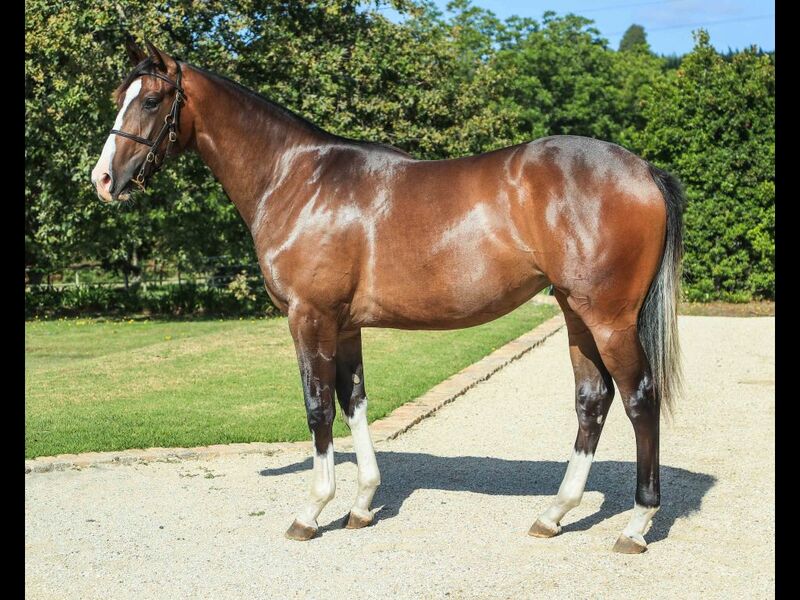 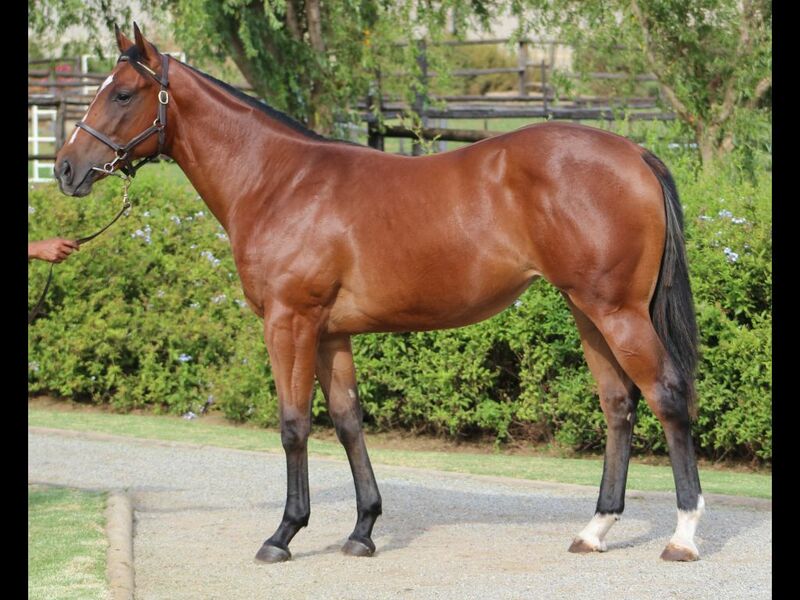 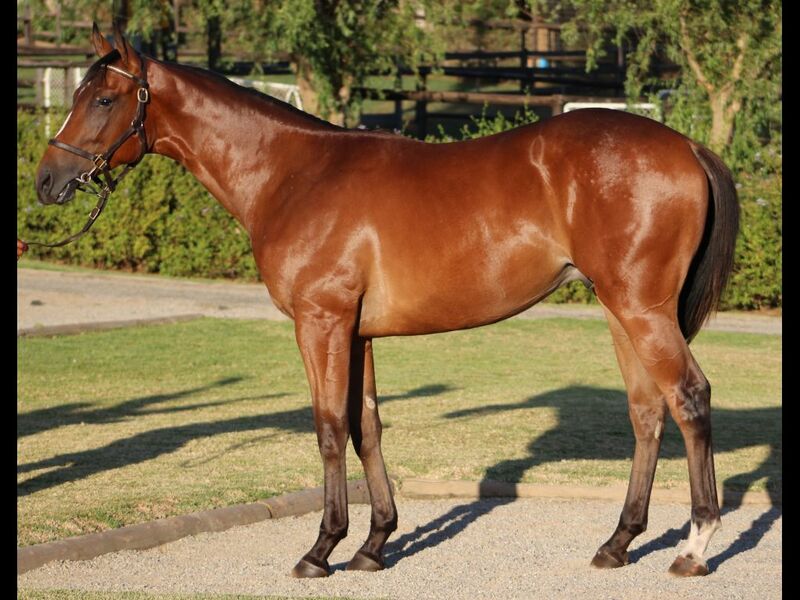 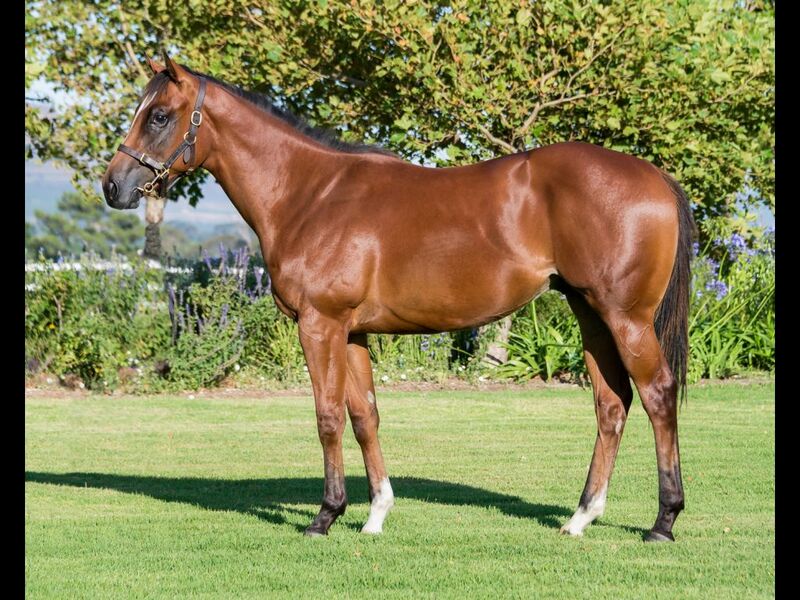 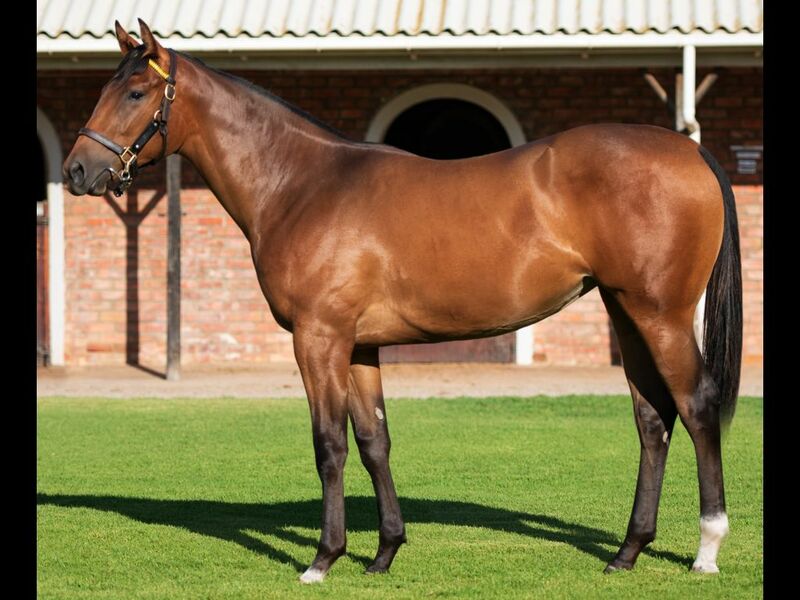 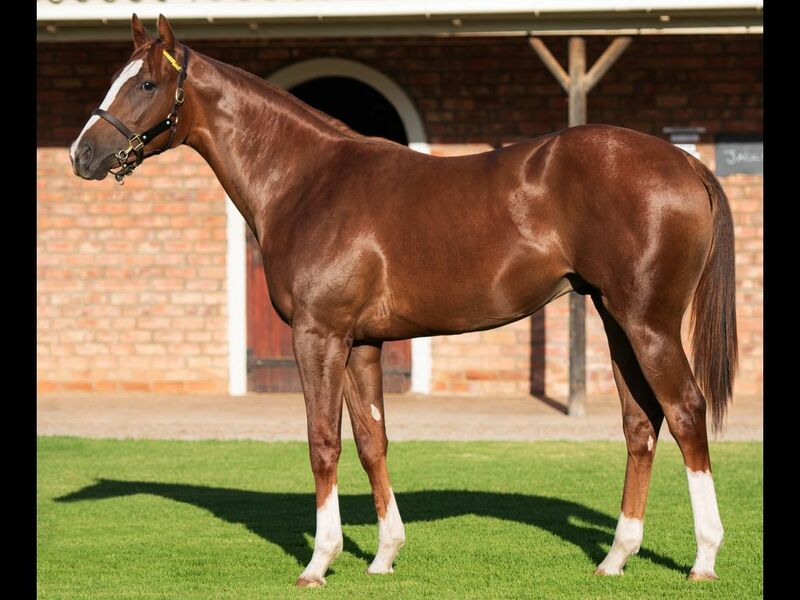 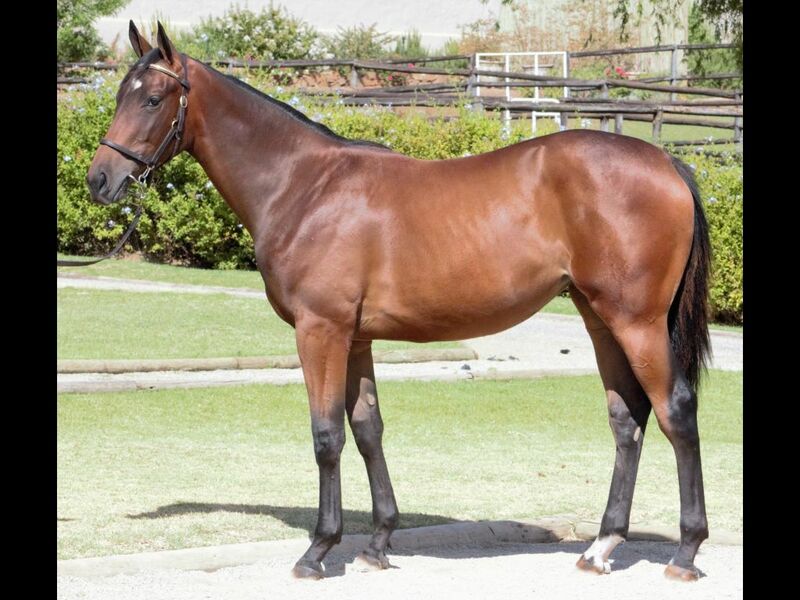 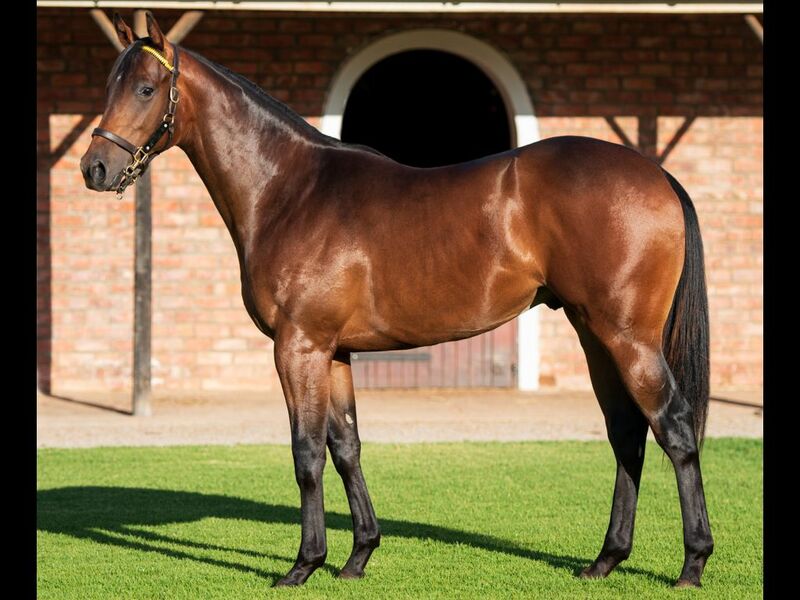 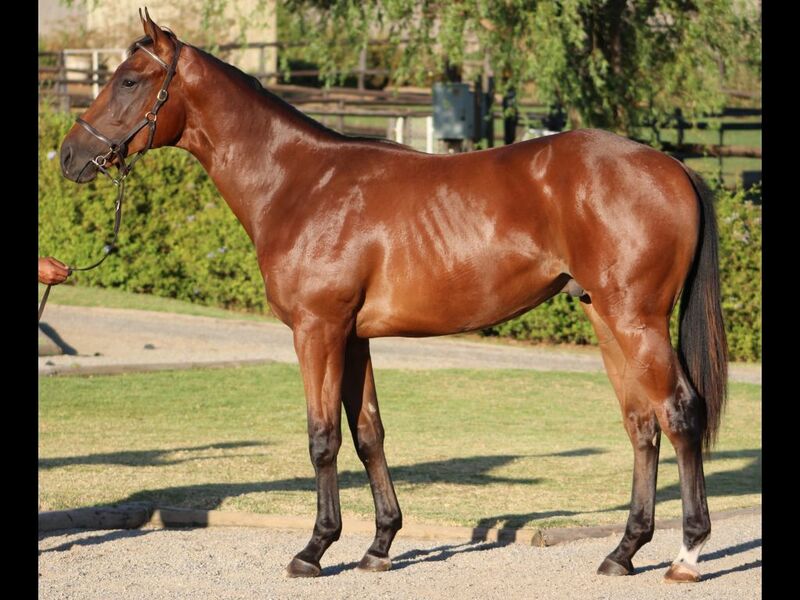 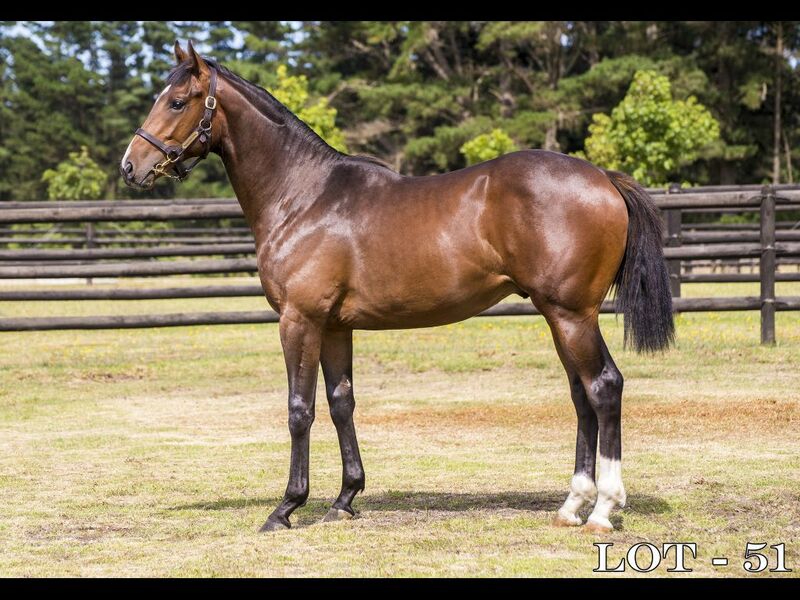 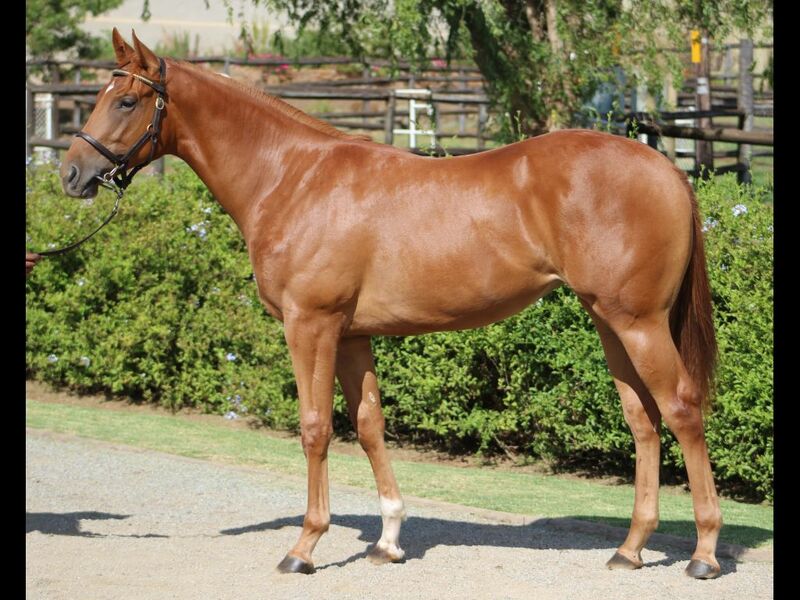 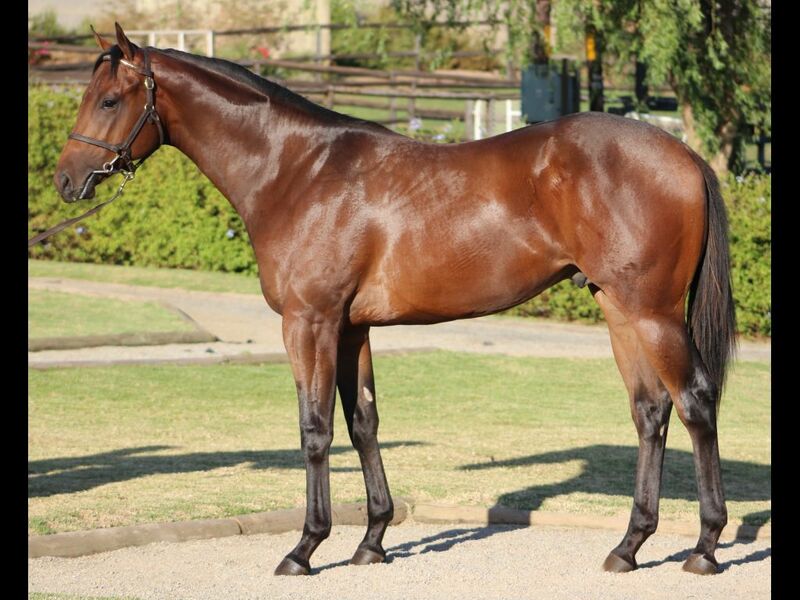 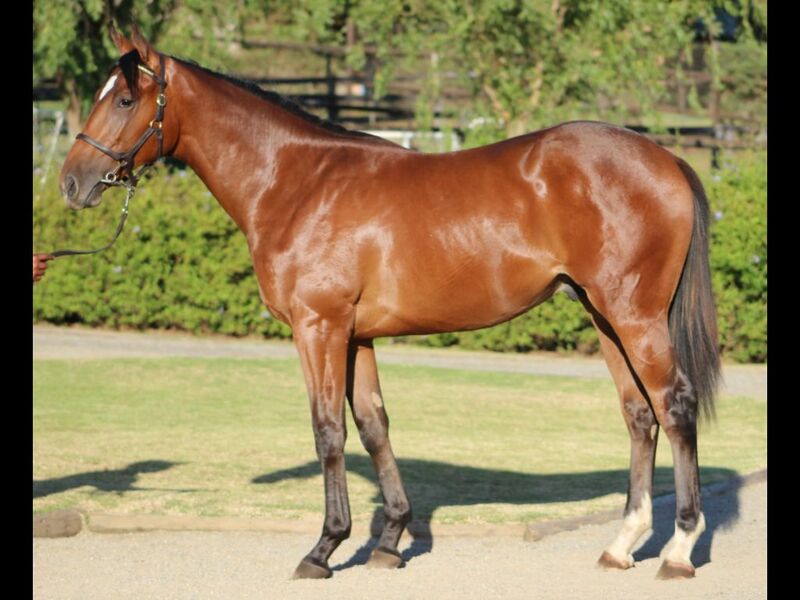 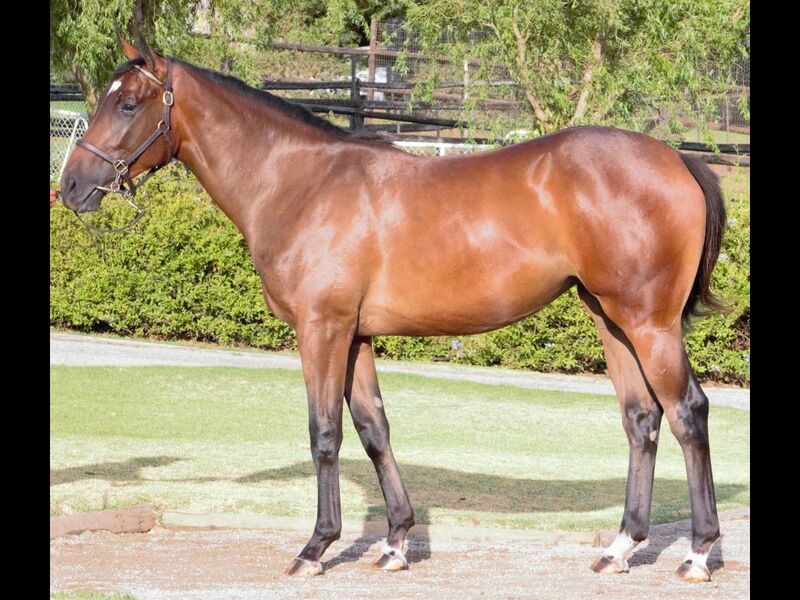 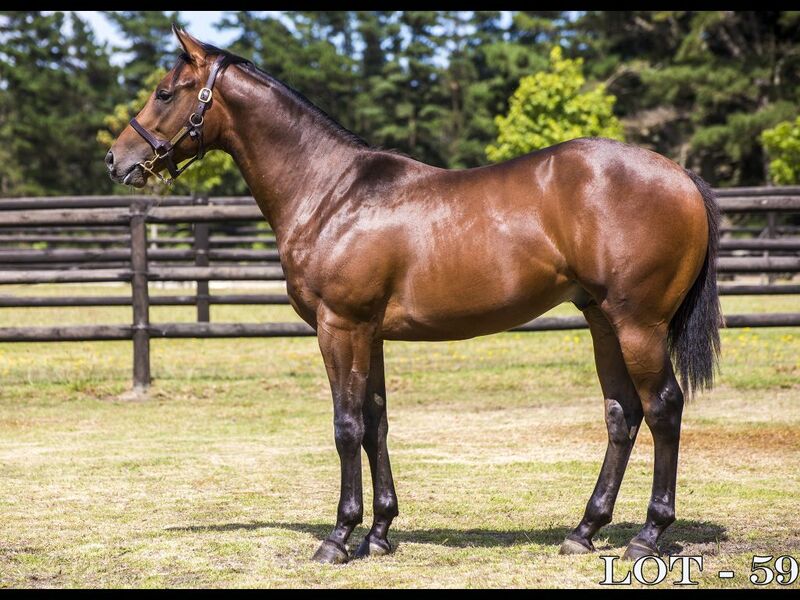 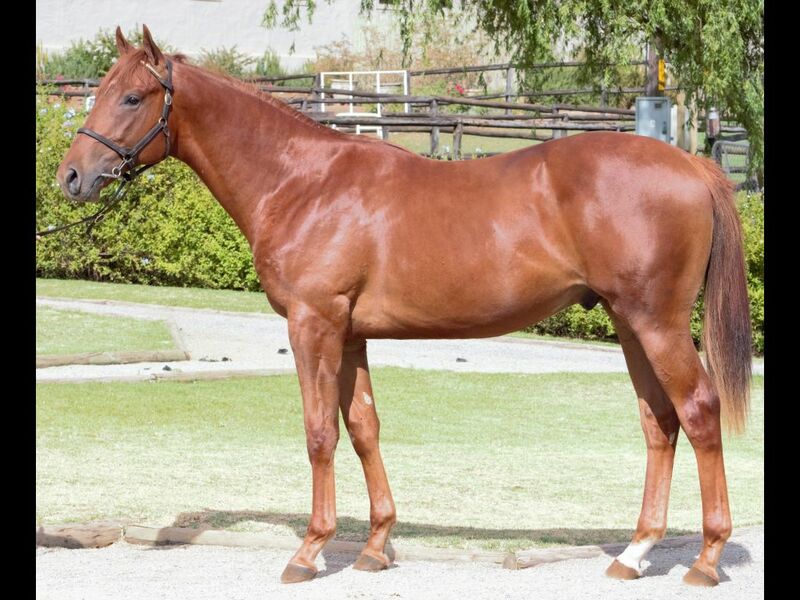 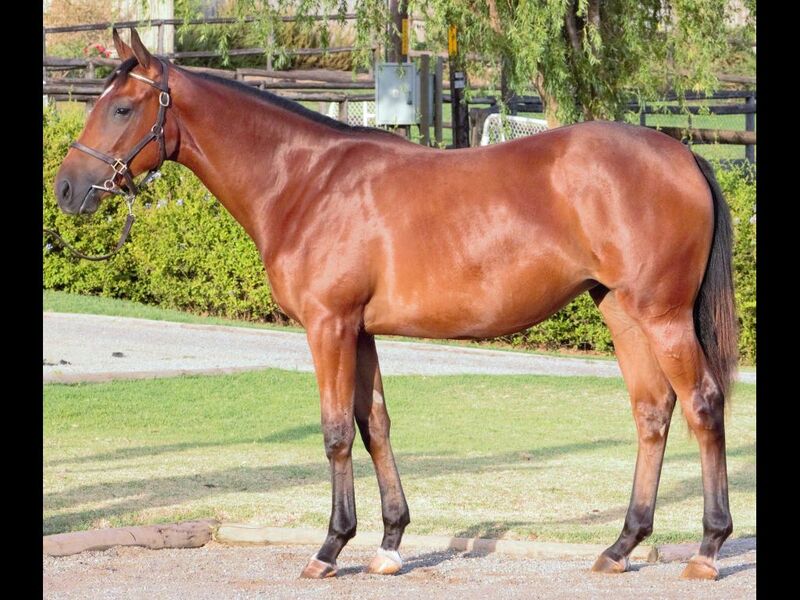 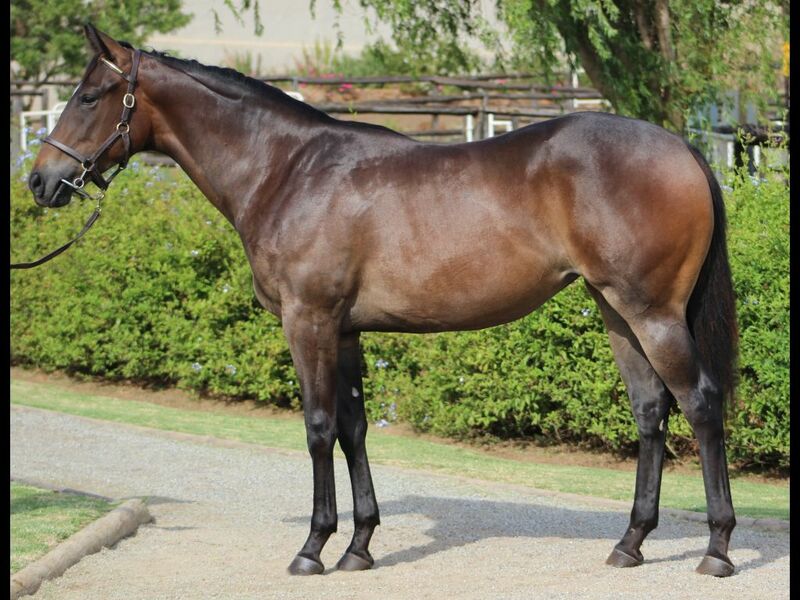 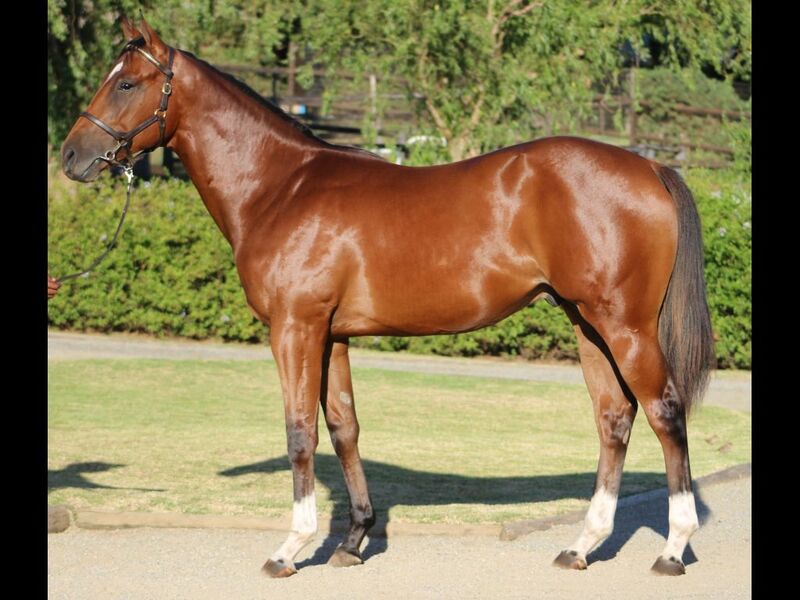 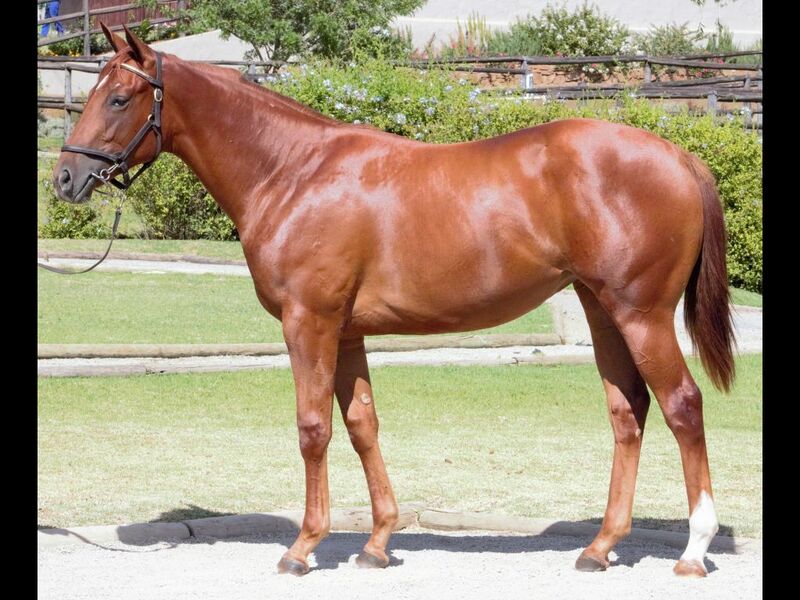 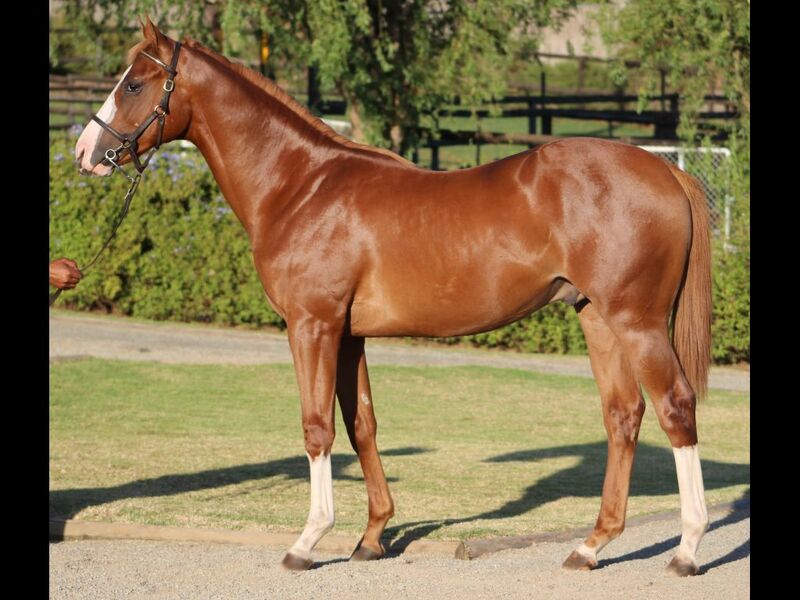 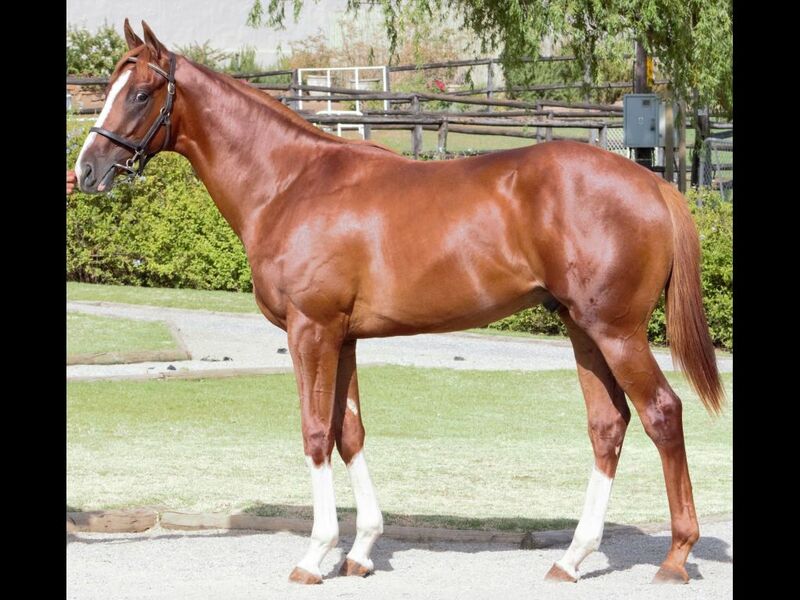 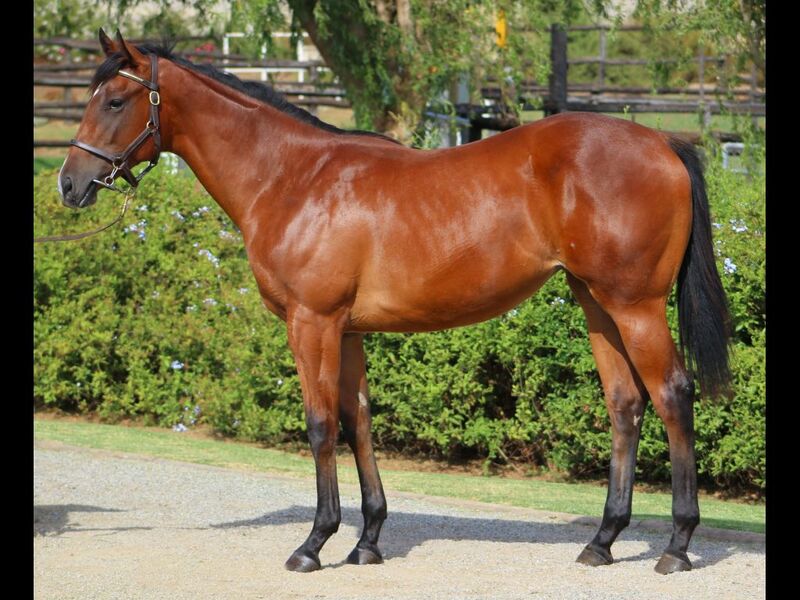 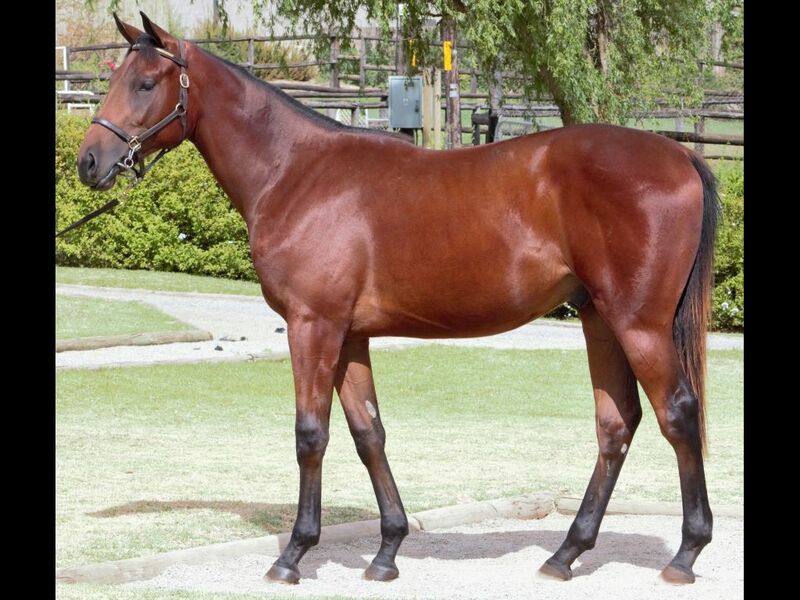 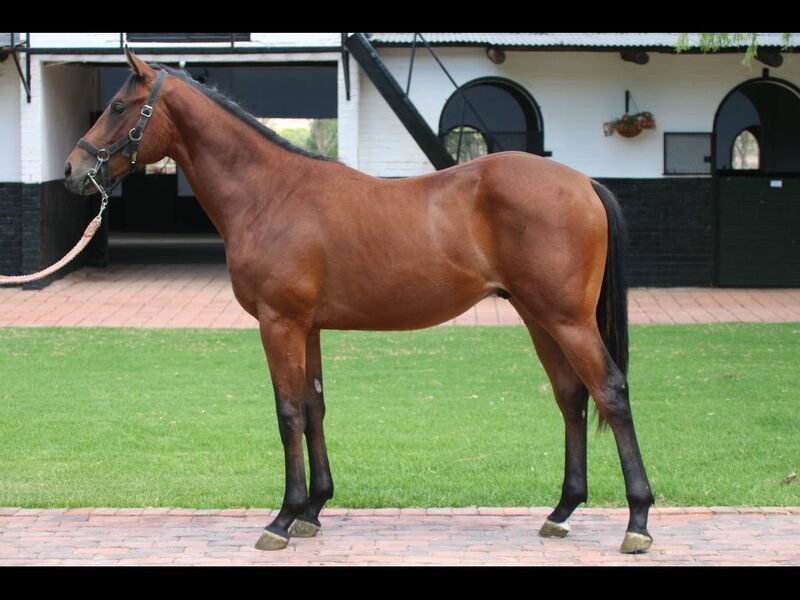 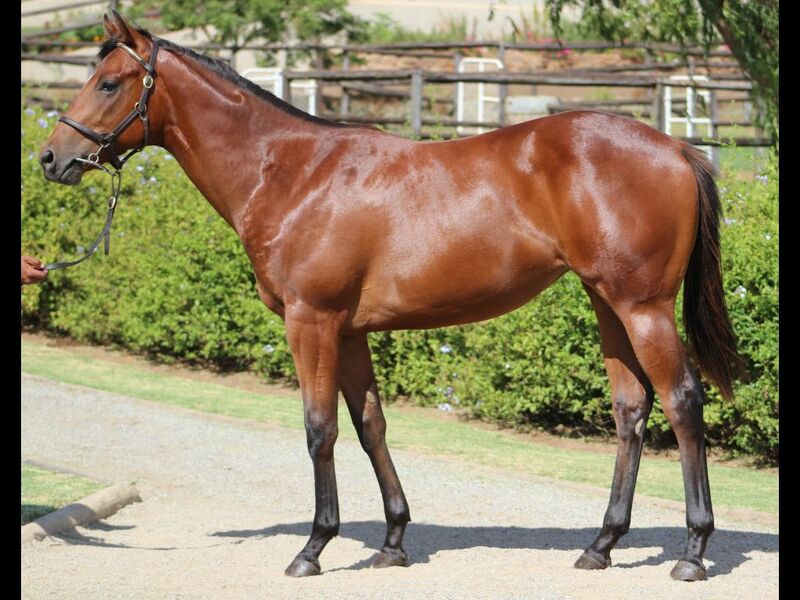 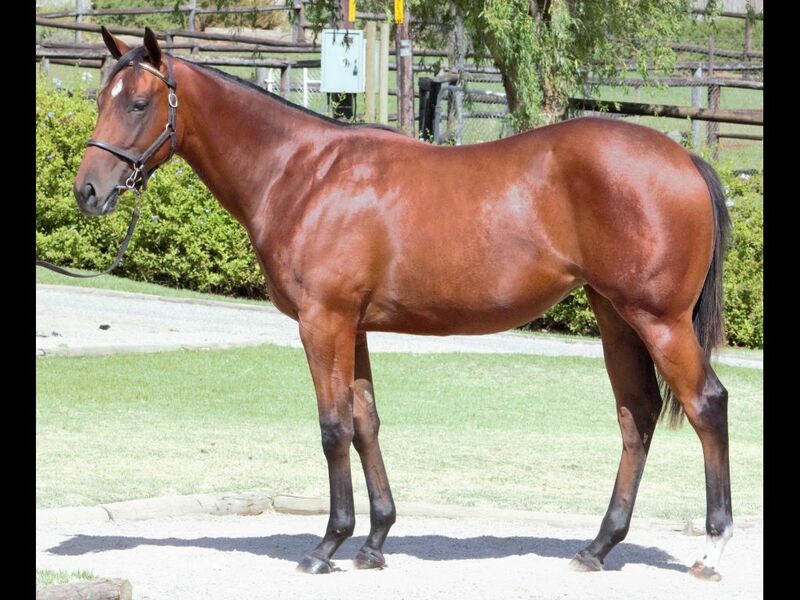 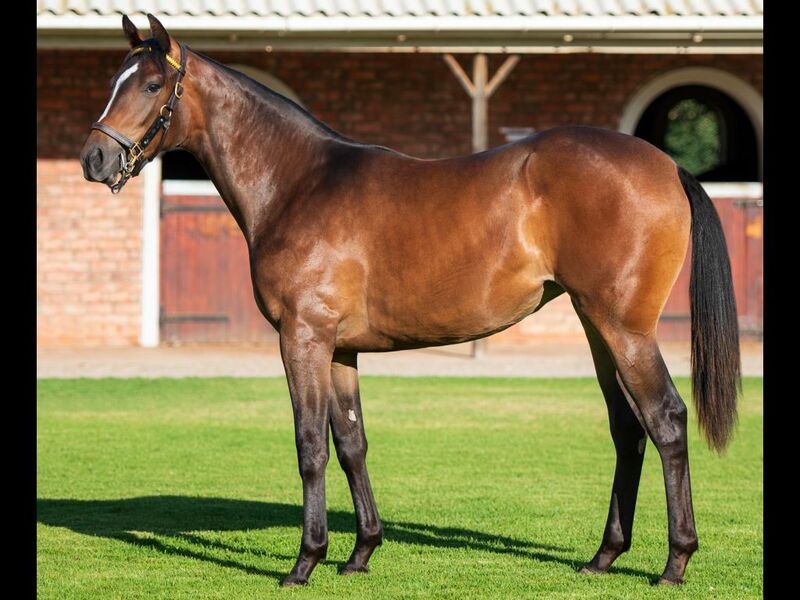 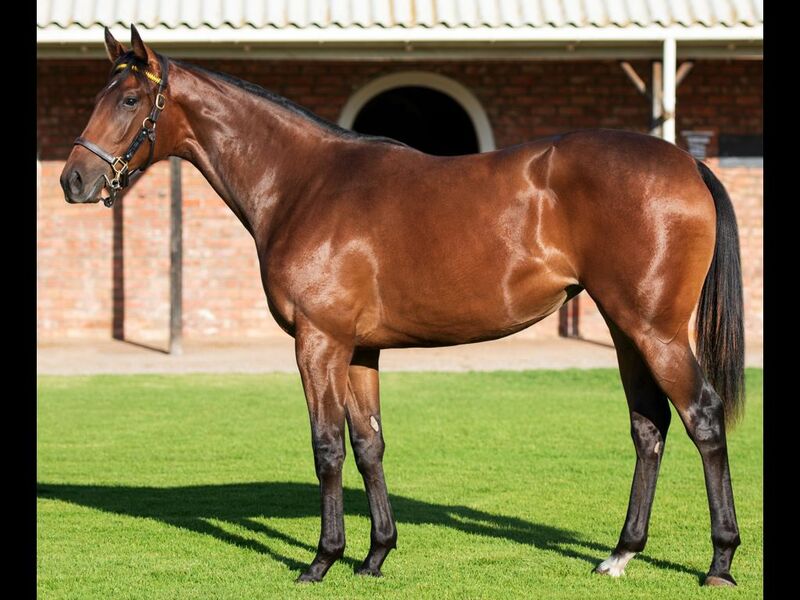 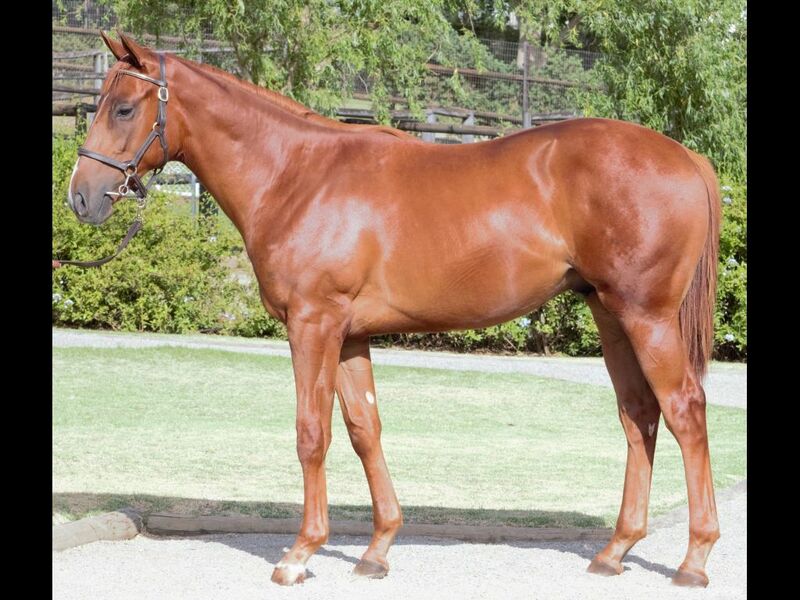 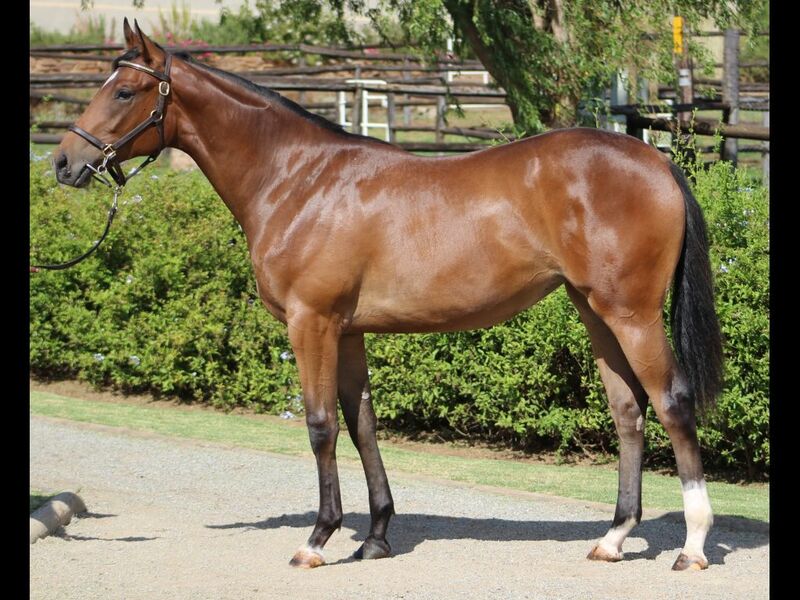 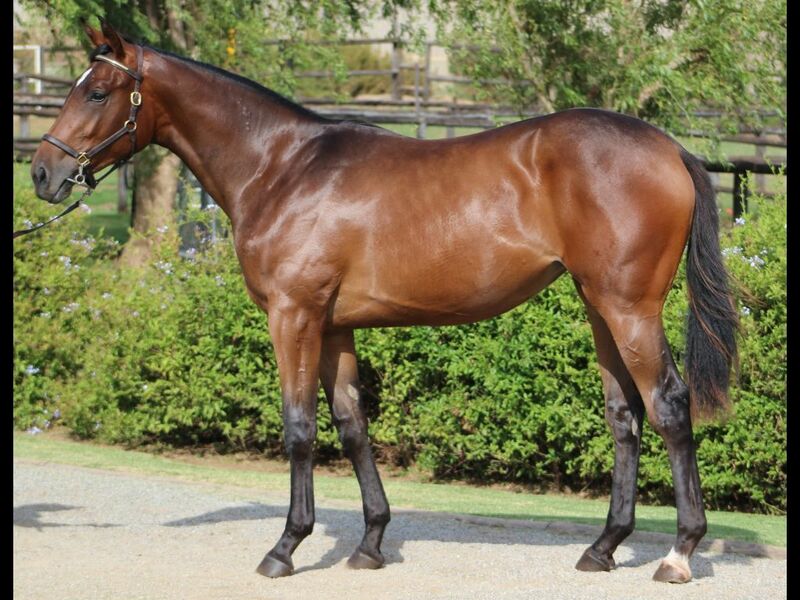 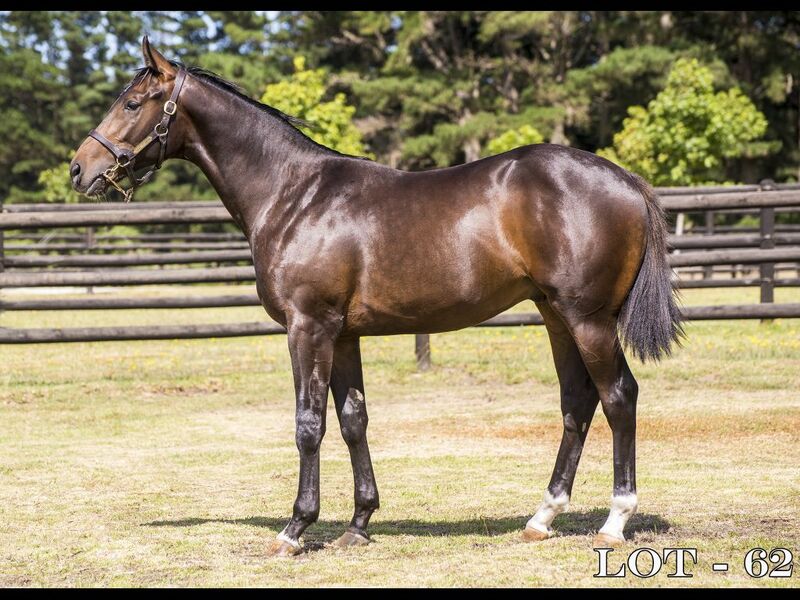 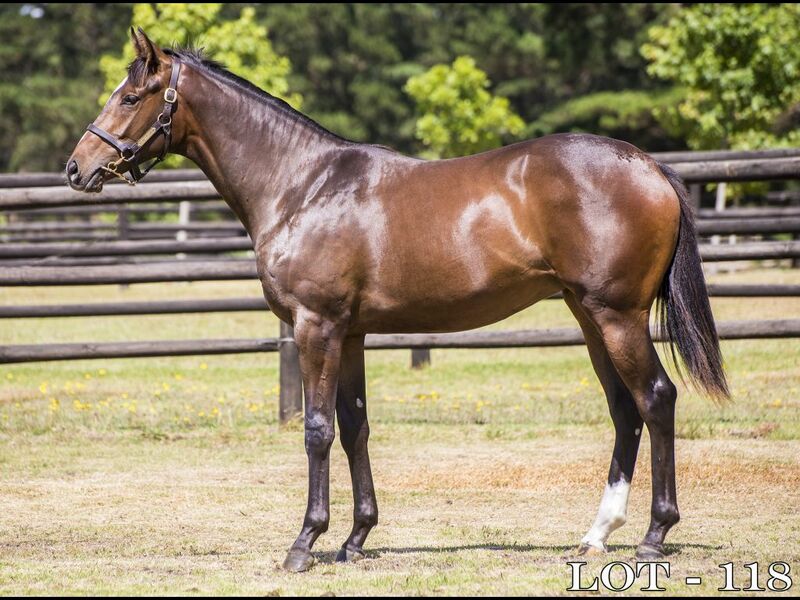 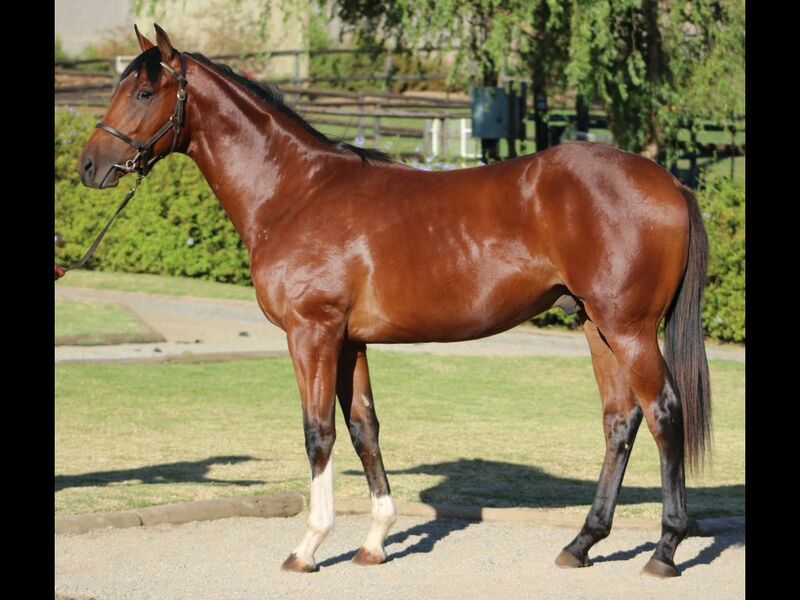 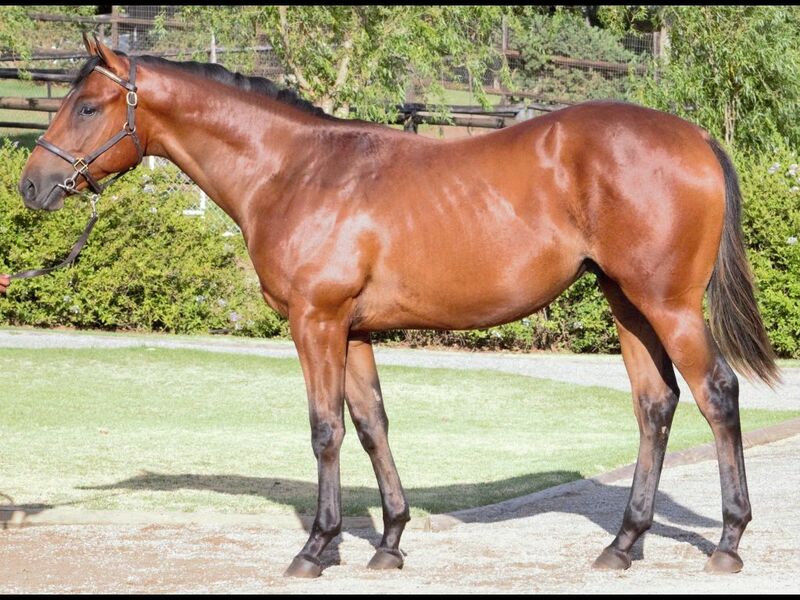 by Duke of Marmalade-Shina, by Lomitas-Spirit of Eagles) - 1st Kenilworth Tab Telebet H.
Half-Sister to Jika (2013.c. 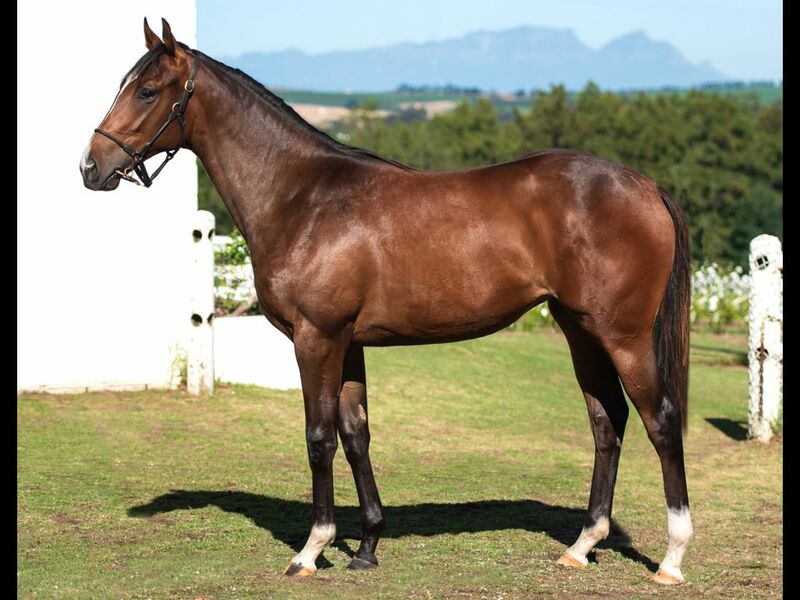 by Jay Peg-Muamba, by Pure Prize-Murmuration) - 2nd Fairview Www.Tabonline.Co.Za H., 3rd Fairview Betting World P.
Closely related to Zarnitsa (2014.f. 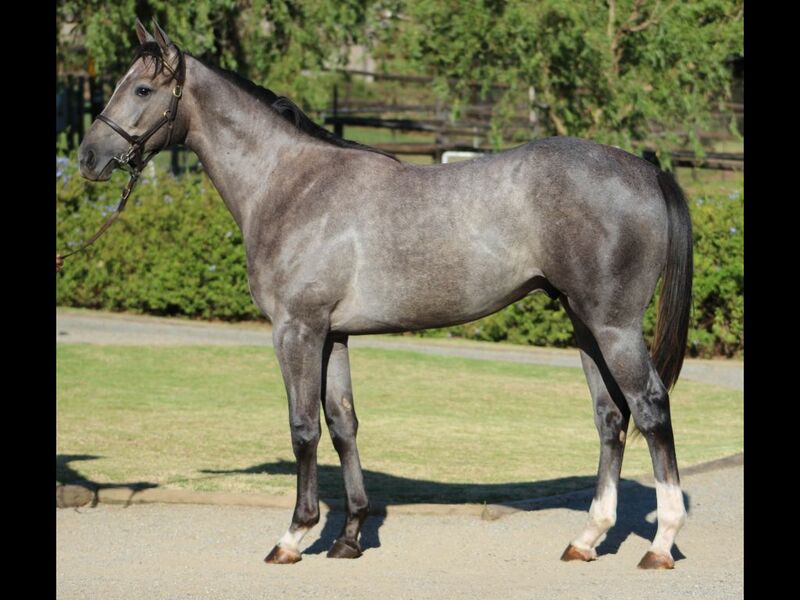 by Querari-Verbatim, by Var-Murmuration) - 1st Greyville Independent Minds S.
Closely related to Titus (2010.c. 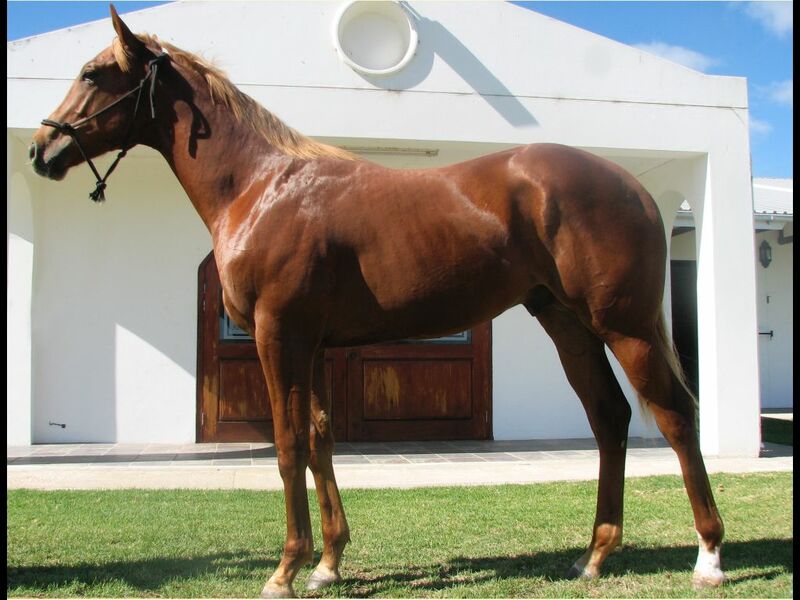 by Muhtafal-Toffee Nose, by Kahal-Snooty Lady) - 1st Fairview Interbet.co.za H.
Closely related to Goede Hoop (2014.f. 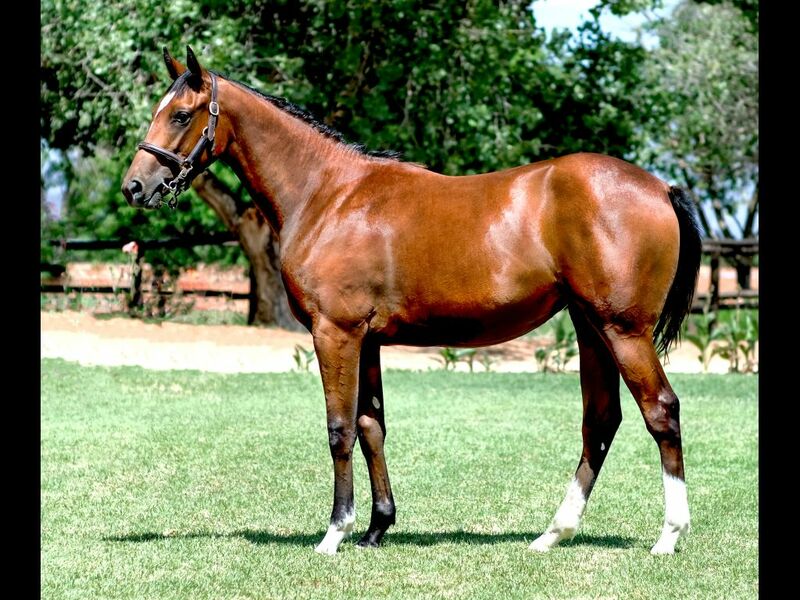 by Byword-Nautical, by Fort Wood-Naughty But Noble) - 1st Vaal TC Supabets H.
Closely related to Star Fighter (2015.f. 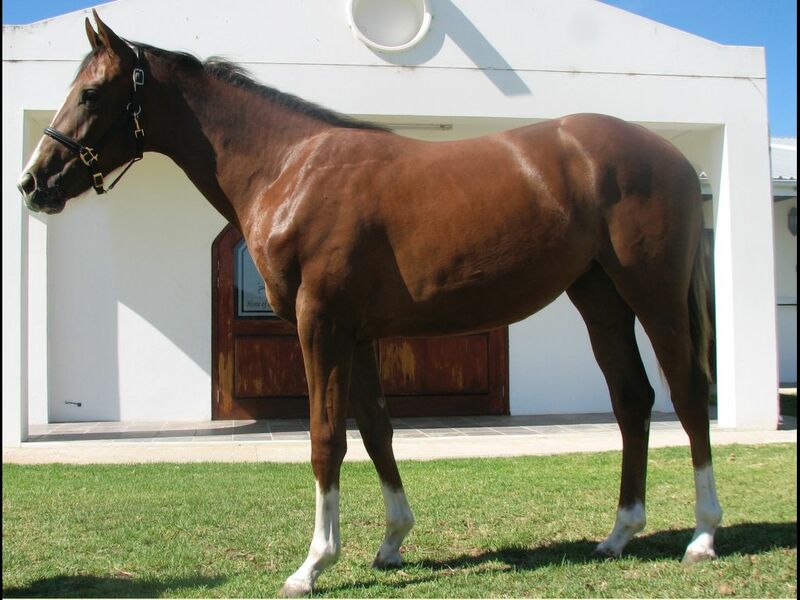 by Argonaut-Toffee Nose, by Kahal-Snooty Lady) - 1st Kenilworth Tabonline.co.za H., 1st Kenilworth Betting World Maiden P.
Closely related to YER-MAAN (2008.g. 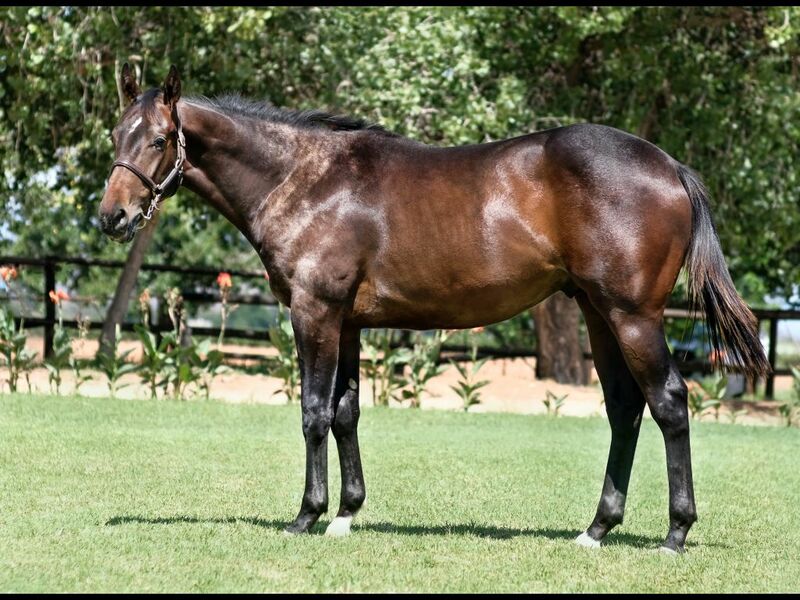 by Jam Alley-Cheers, by Jallad-Nordic Vine) - 1st Vaal TC Betting World H.
Closely related to Nordic Rebel (2013.c. 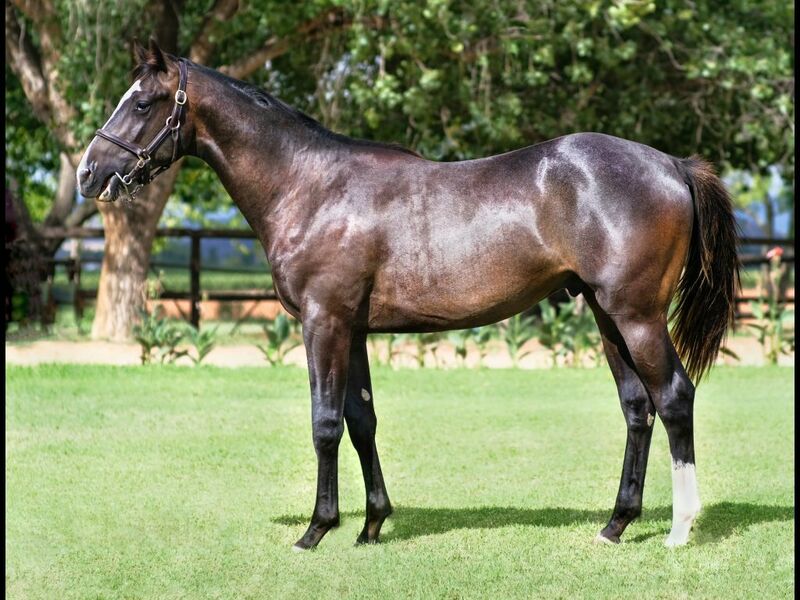 by Rebel King-Vinordic, by Western Winter-Nordic Vine) - 1st Vaal TC Betting World H.
Half-Sister to Over Sharing (2015.c. 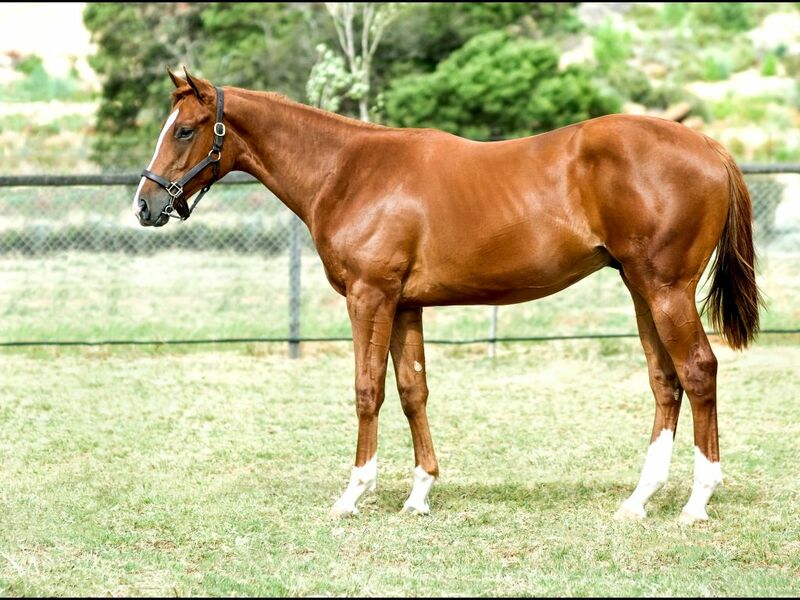 by Speightstown-Observation, by Pulpit-Gaze) - 2nd Turffontein Tab Telebet Maiden P.
Half-Brother to Sea Air (2015.c. 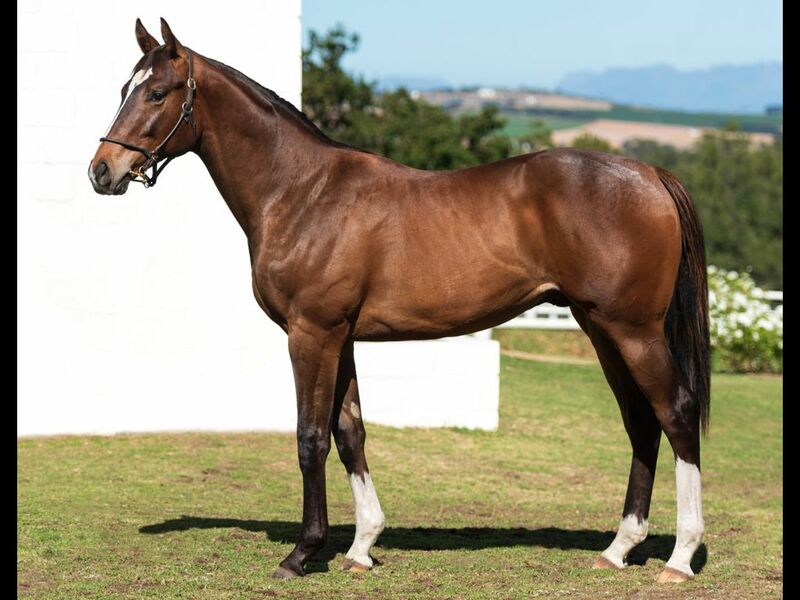 by Captain Al-Orator's Daughter, by Oratorio-Irish Edition) - 2nd Turffontein Crazy Slots Maiden P., 2nd Turffontein Itsarush.co.za Maiden P.
From the same family as SINGLE BULLET (2014.g. 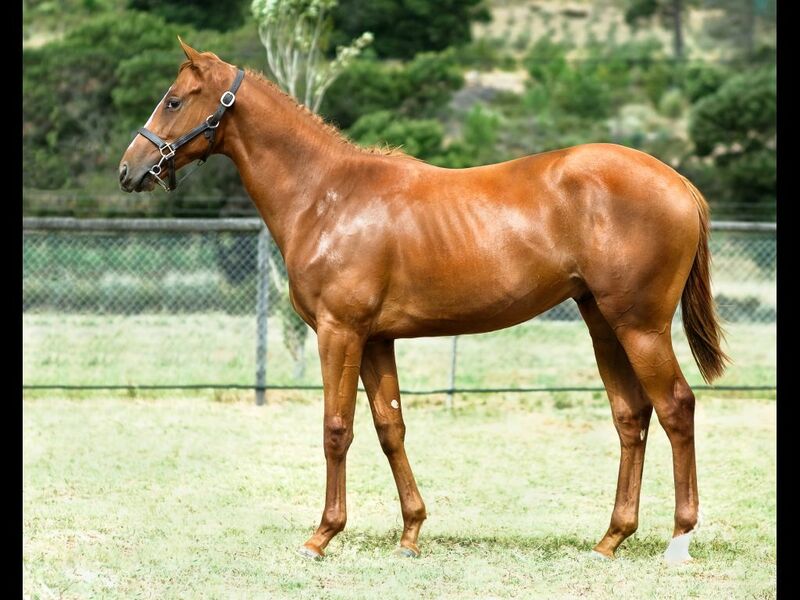 by Not a Single Doubt-Cheetara, by More Than Ready-Dashing Eagle) - 1st ATC (Randwick) Summer Sprint H.
Half-Brother to Principessa (2015.f. 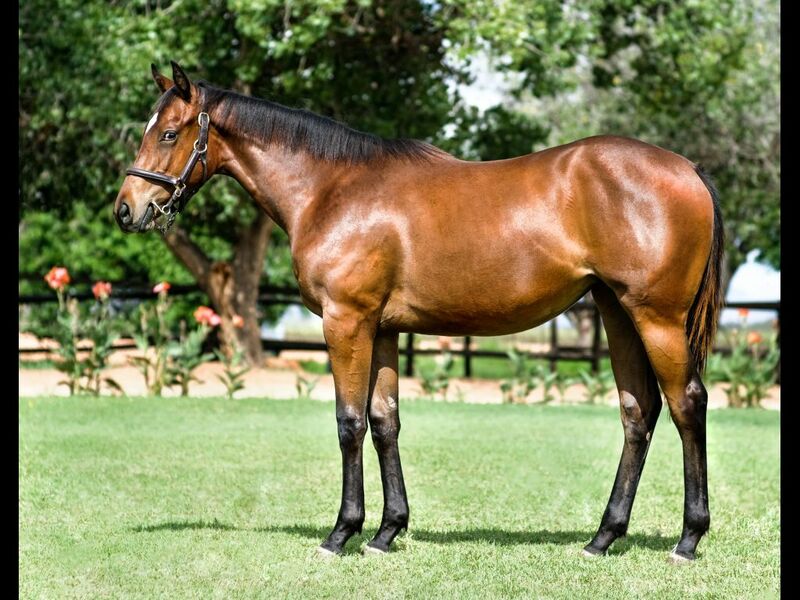 by Querari-Pailita, by Monsun-Prada) - 1st Kenilworth Betting World Maiden P., 2nd Kenilworth Tabonline.co.za Maiden P.
Closely related to Against the Grain (2015.c. 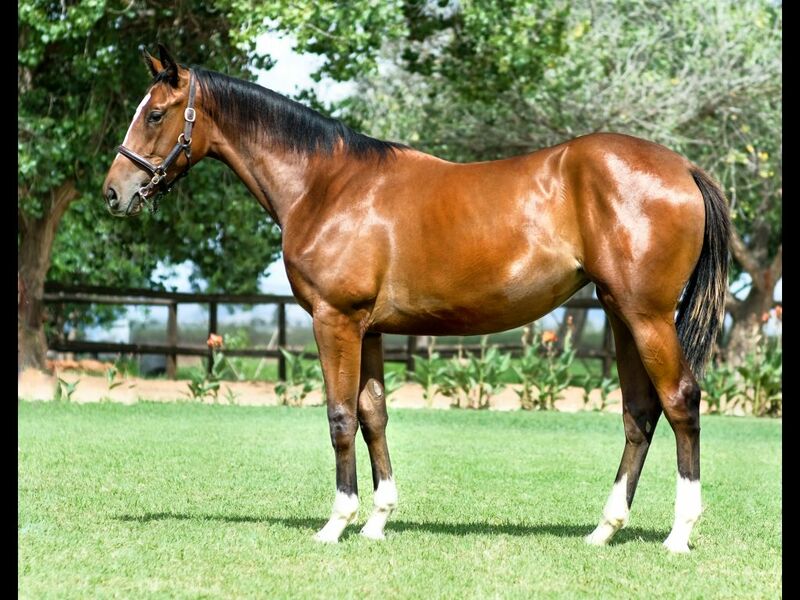 by Curved Ball-Crest of Pearls, by National Emblem-Pearl Hostess) - 1st Vaal TC Full Dividend No Limits Maiden P.
Half-Sister to Pearl Glow (2014.f. 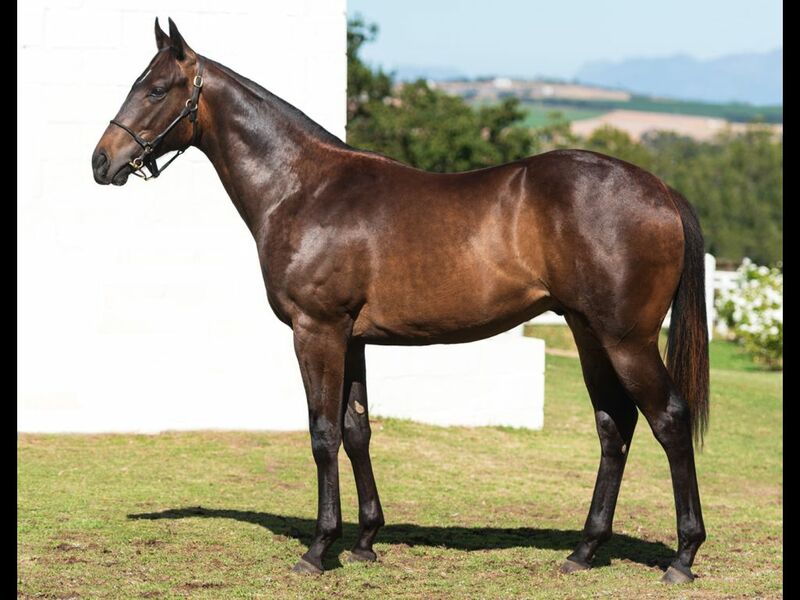 by Querari-Pearly Princess, by Fort Wood-Prussian Princess) - 2nd Greyville Racing It's a Rush H.
Out of a sibling to Friend of Time (2014.c. 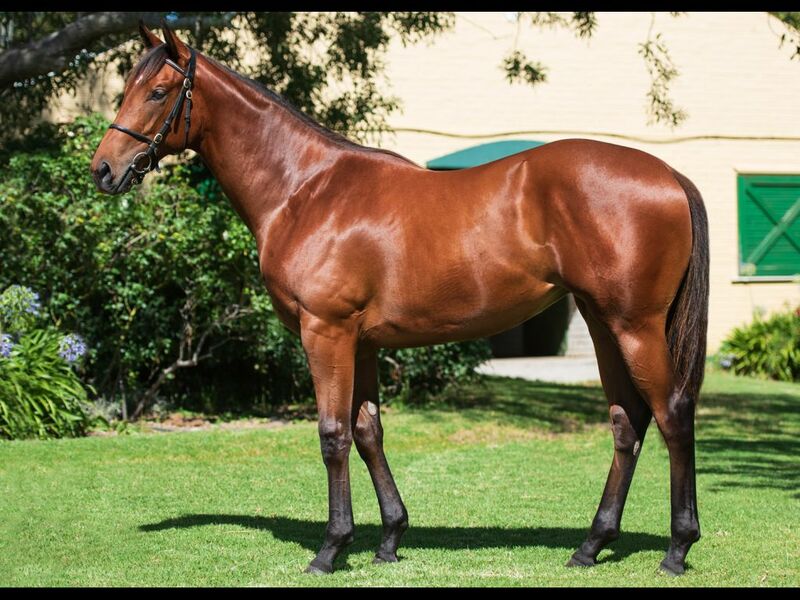 by Trippi-Proud Peyton, by National Assembly-Proud to Be) - 1st Turffontein Next Racemeeting Monday Maiden P.
Out of a sibling to Almost Captured (2015.f. 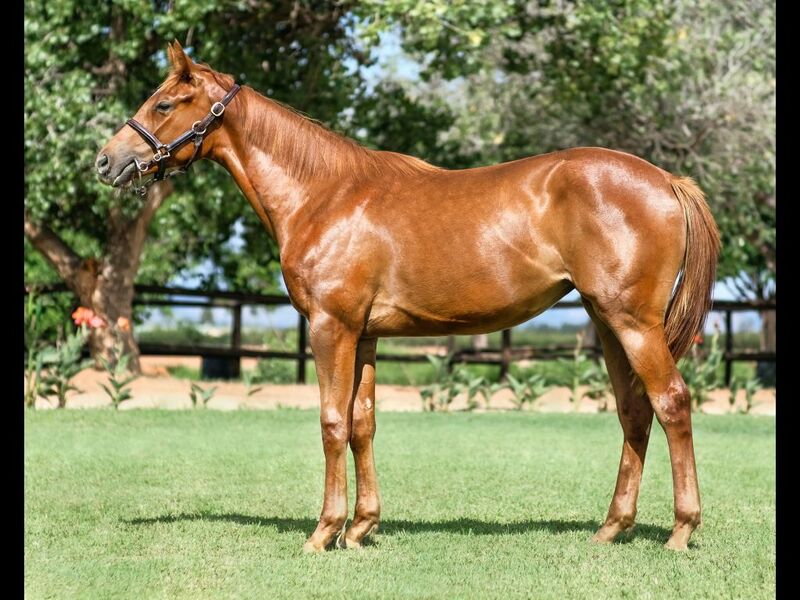 by Captain Al-Encircle, by Trigger Finger-Enticement) - 1st Kenilworth Tab Telebet Maiden P.
Closely related to Princess Lomita (2015.f. 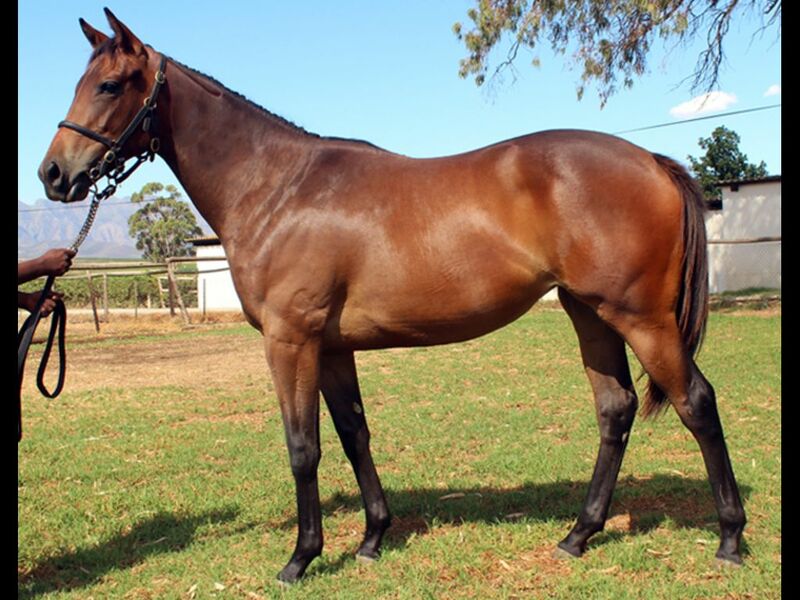 by Silvano-Asian Affair, by The Sheik-Platinum Princess) - 1st Turffontein Next Racemeeting Saturday Maiden P.
From the same family as Straat-Kind (2013.f. 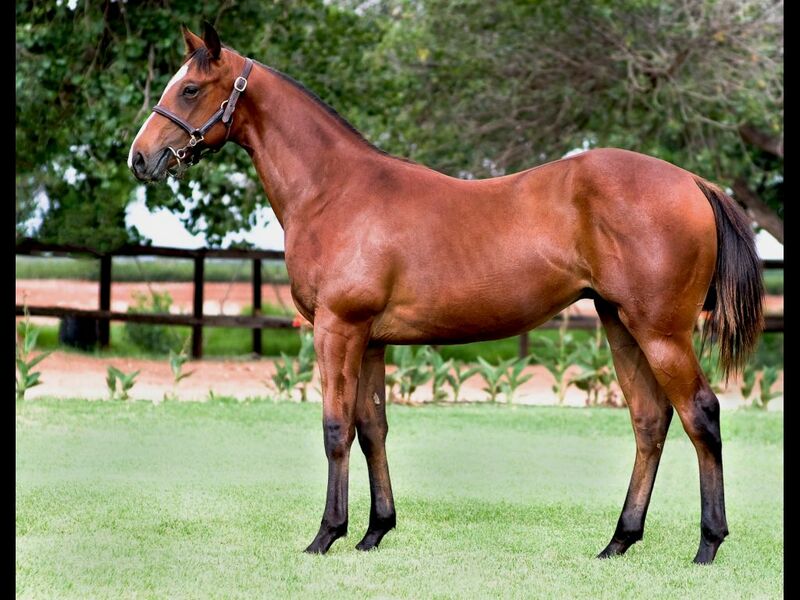 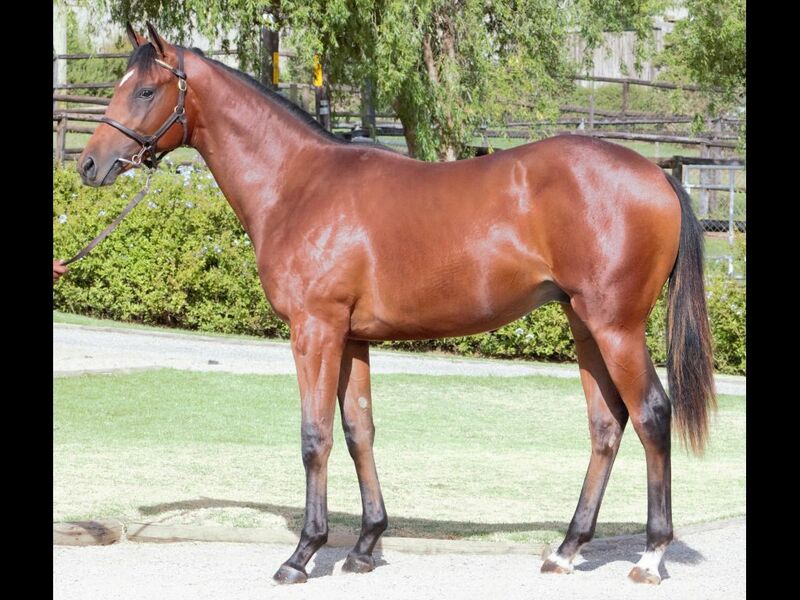 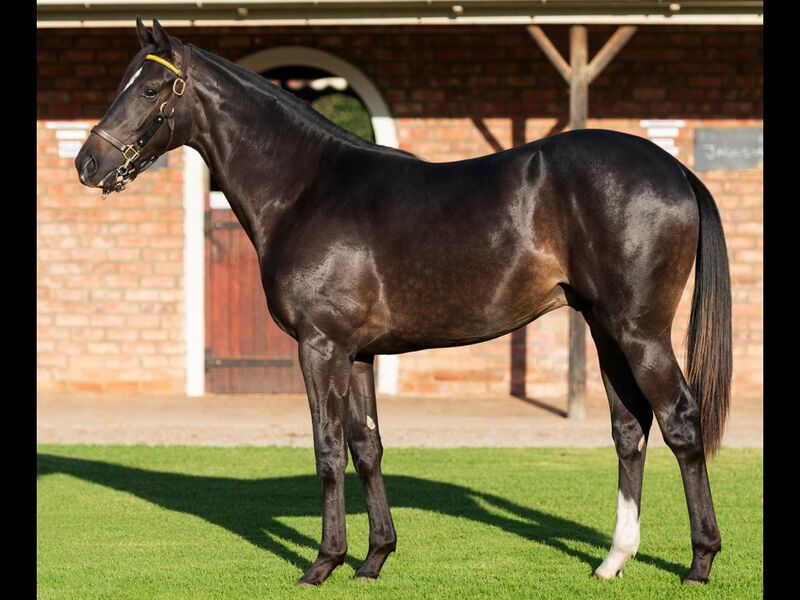 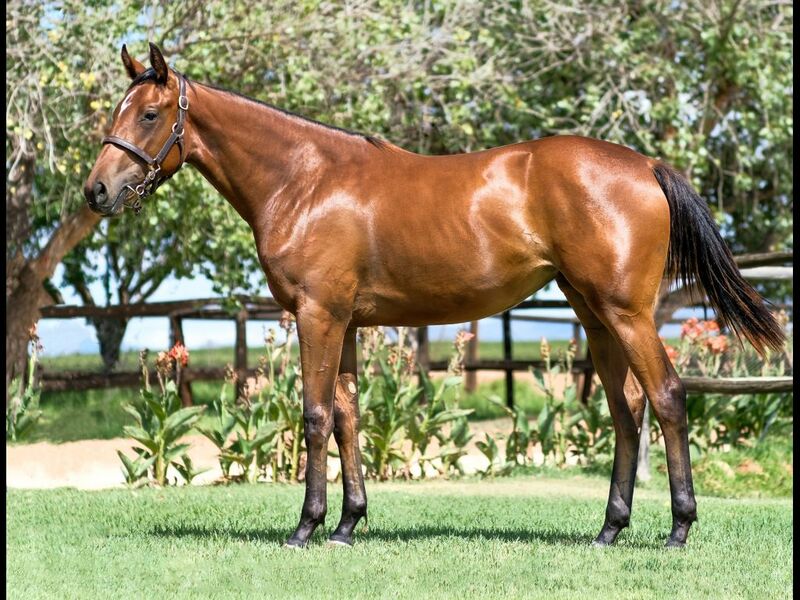 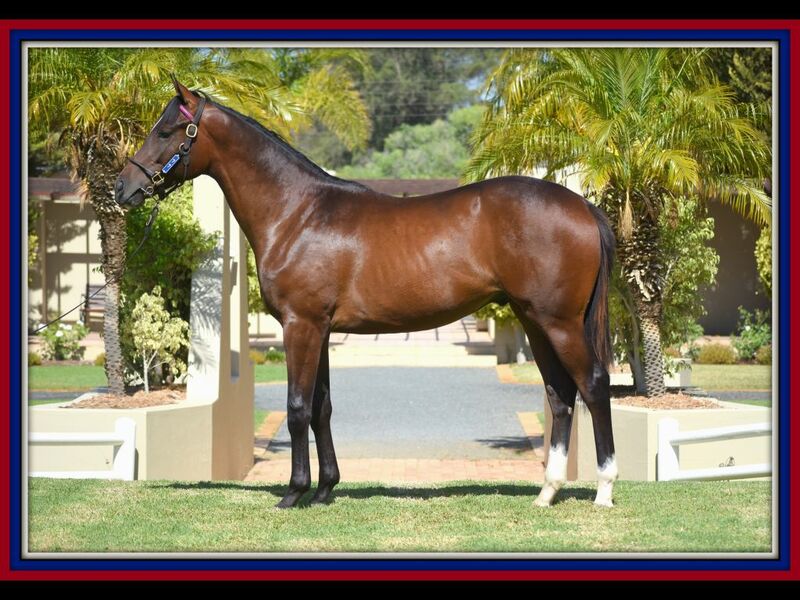 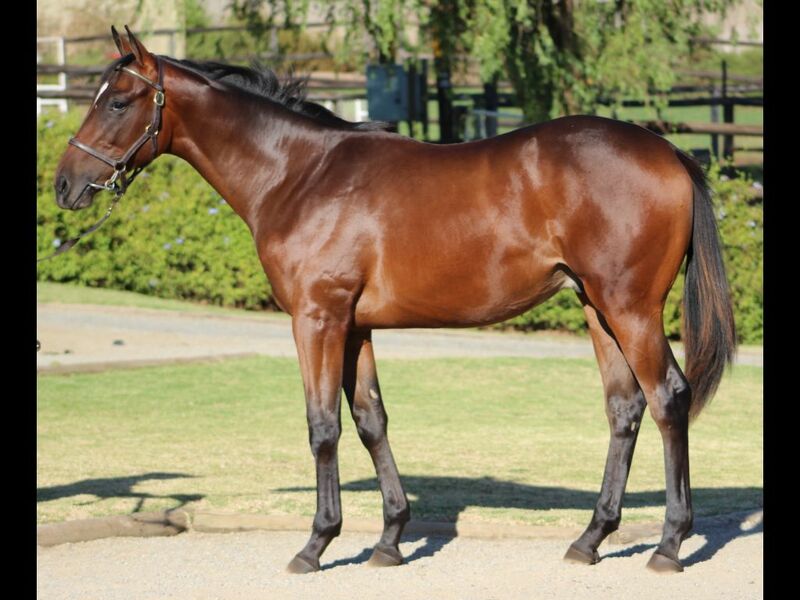 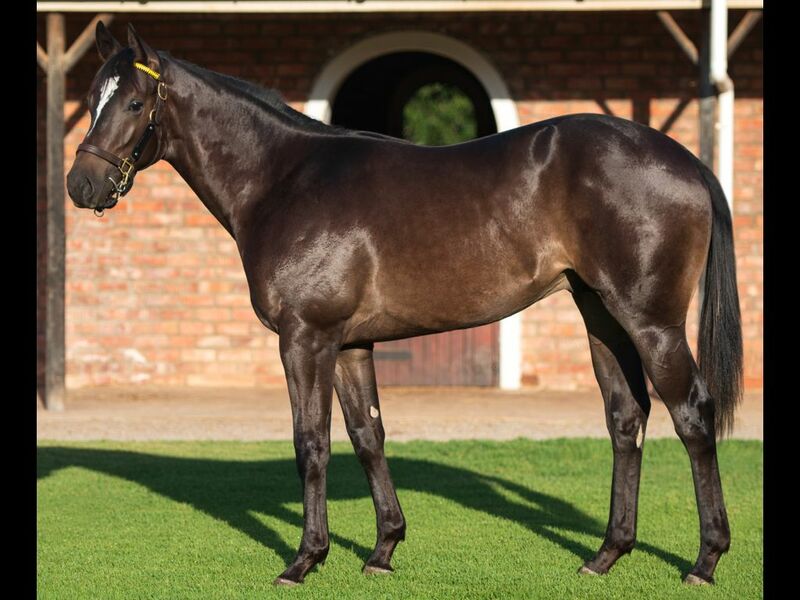 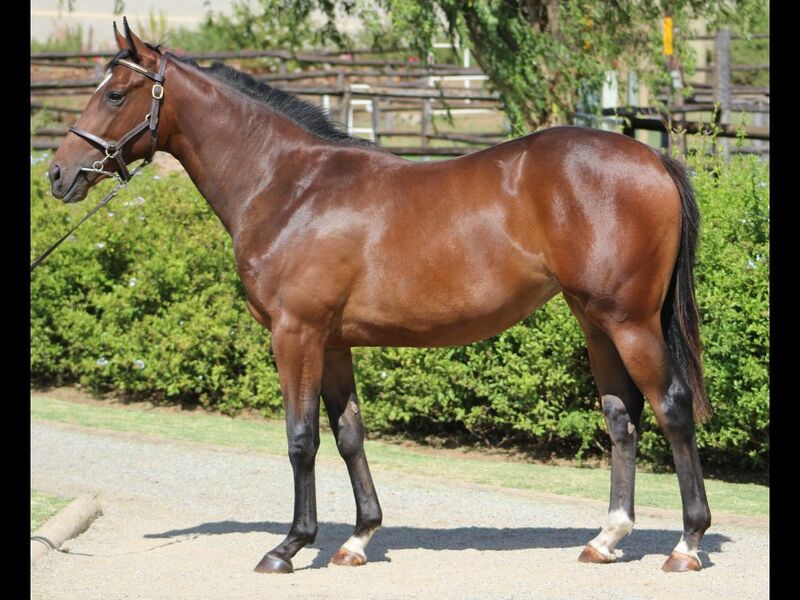 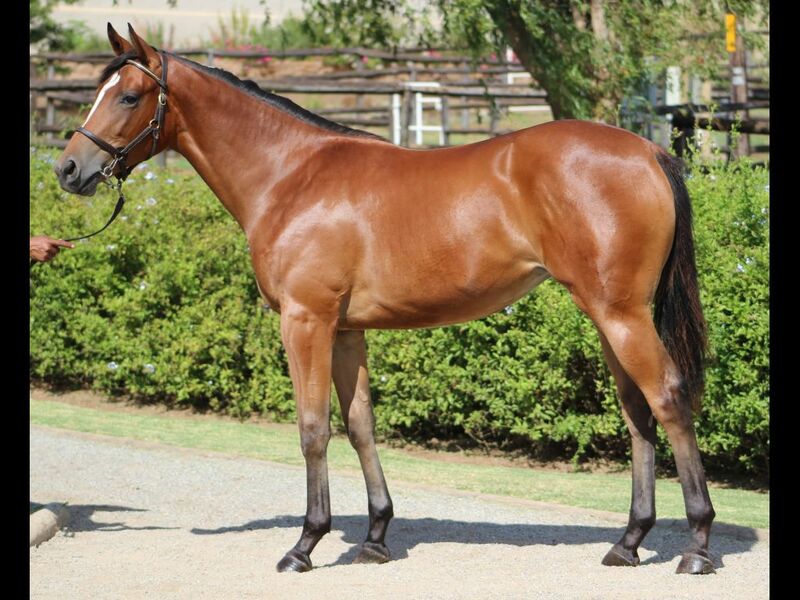 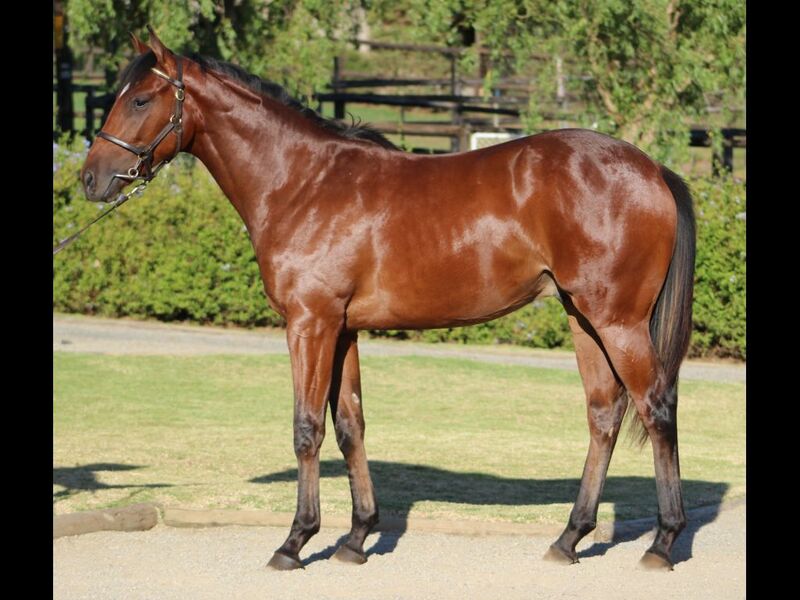 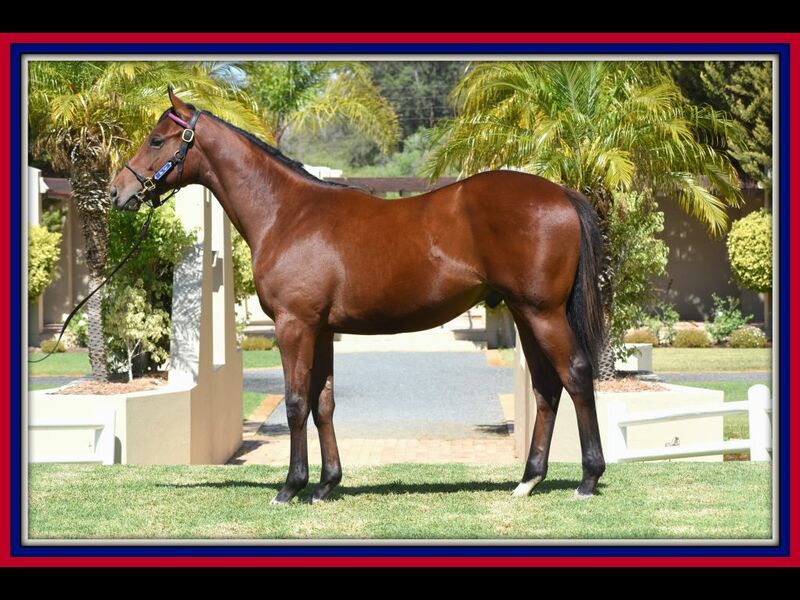 by Var-Just Like Flo, by Elliodor-Goldenflo) - 1st Kenilworth Supabets H.
Half-Sister to Skye Lane (2015.f. 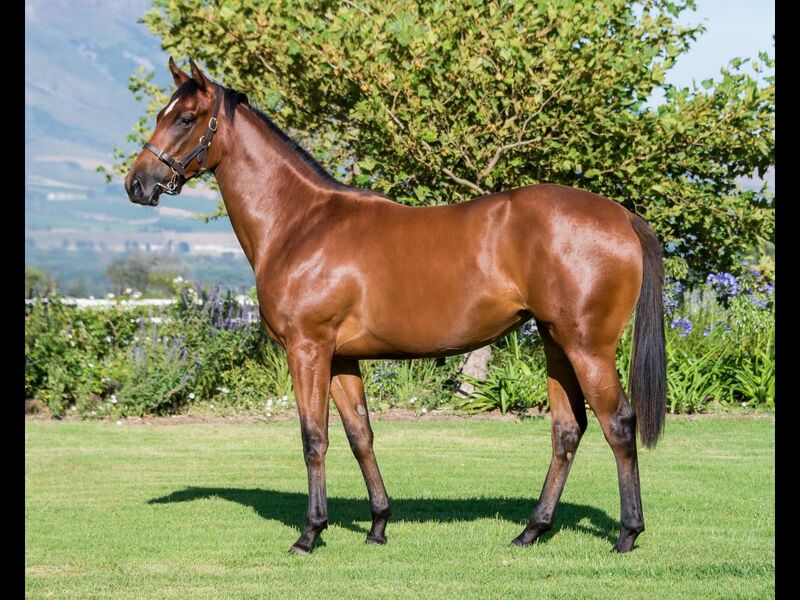 by Pathfork-Queen's Command, by Commands-Judicial Queen) - 1st Kenilworth Summer Cup P6 Pool H.
Out of a sibling to Roy's Command (2014.g. 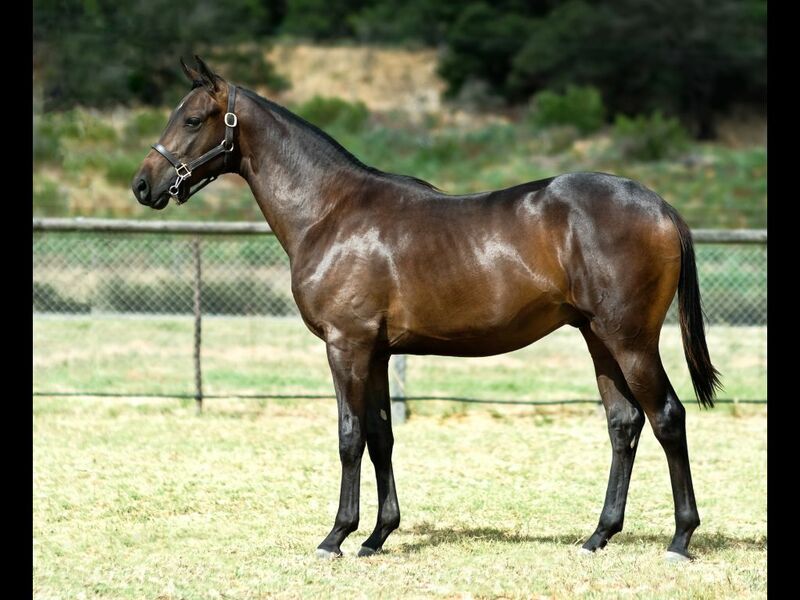 by Commands-Judicial Queen, by Unbridled's Song-Princess Yeats) - 1st Taree RC Summer Beach Party 2 Jan H.
Half-Brother to Gimmetherain (2015.c. 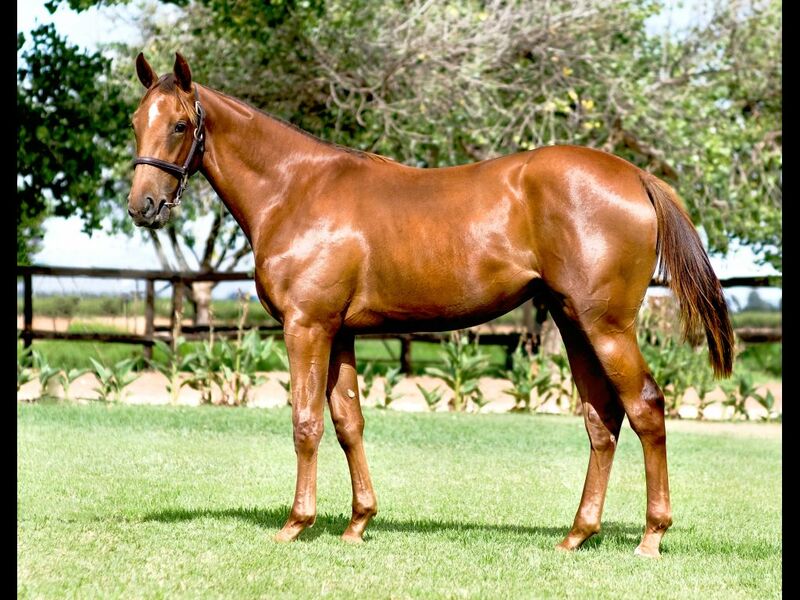 by Gimmethegreenlight-Rain Gal, by Galileo-Raining) - 2nd Kenilworth What a Winter Maiden P., 3rd Kenilworth Tab Telebet Maiden P.
From the same family as Catkin (2011.c. 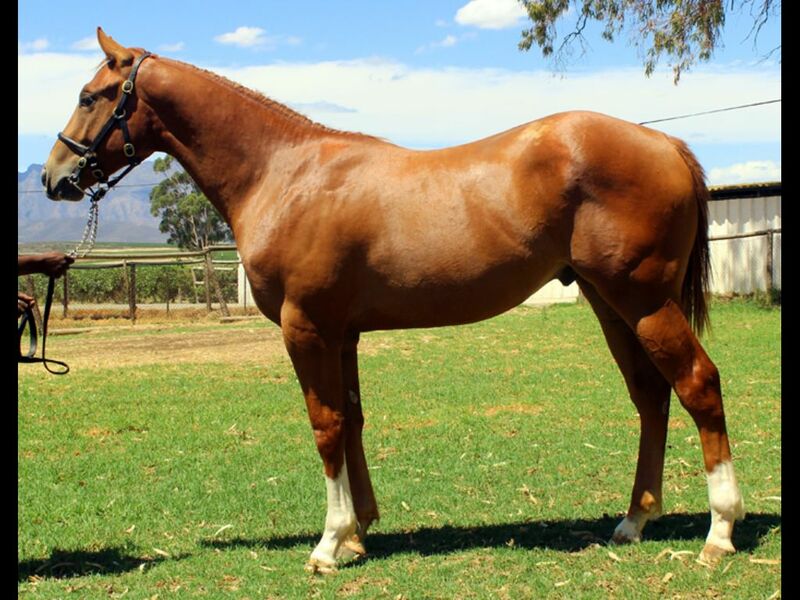 by Horse Chestnut-Catalina, by Badger Land-Karee Karee) - 1st Vaal TC Lonaci Jackpot Special H.
Half-Brother to Kissmeinmydreams (2013.f. 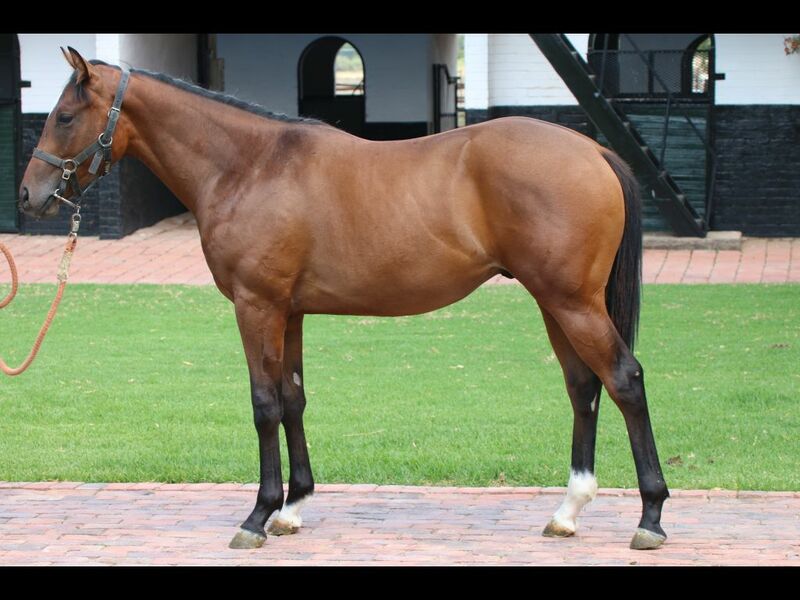 by Captain Al-Roman Eagle, by Caesour-Colombe d'Or) - 1st Turffontein Next Turffontein Racemeeting Saturday 29 December H.
From the same family as HEIR LINE (2013.c. 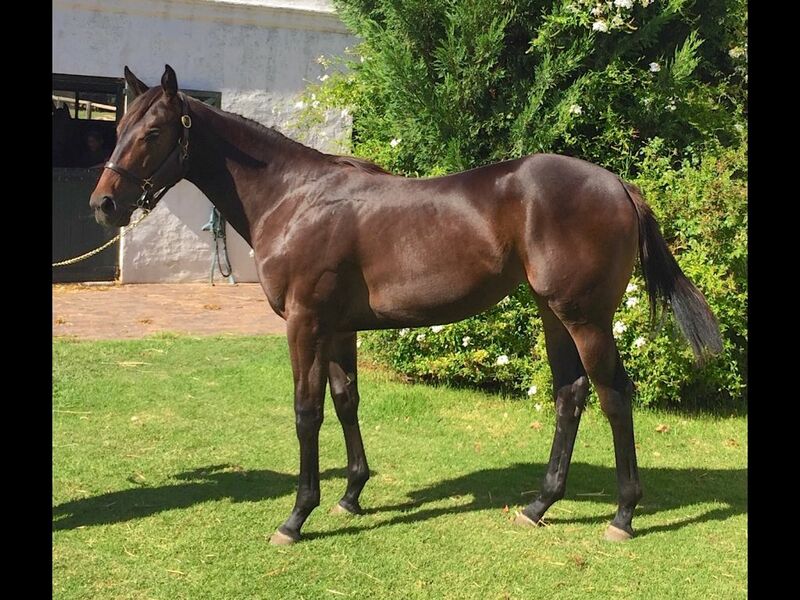 by Dynasty-Kiss and Fly, by Jet Master-Kiss of Peace) - 1st Borrowdale Merit Rated H.
Sister to Duchess of Bourbon (2015.f. 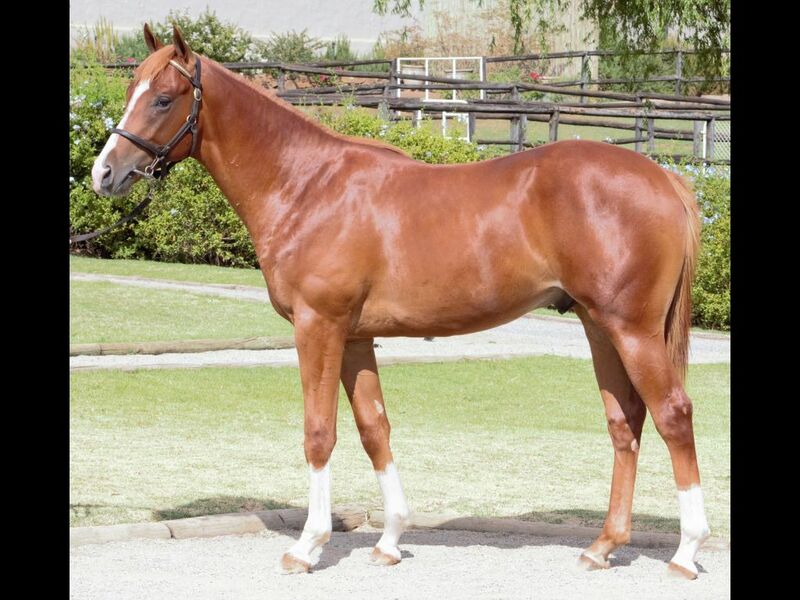 by Duke of Marmalade-Rose Garden, by Spectrum-Gardener's Delight) - 2nd Kenilworth Interbet.co.za H., 3rd Kenilworth Supabets H.
Out of a sibling to Spirit of Song (2015.c. 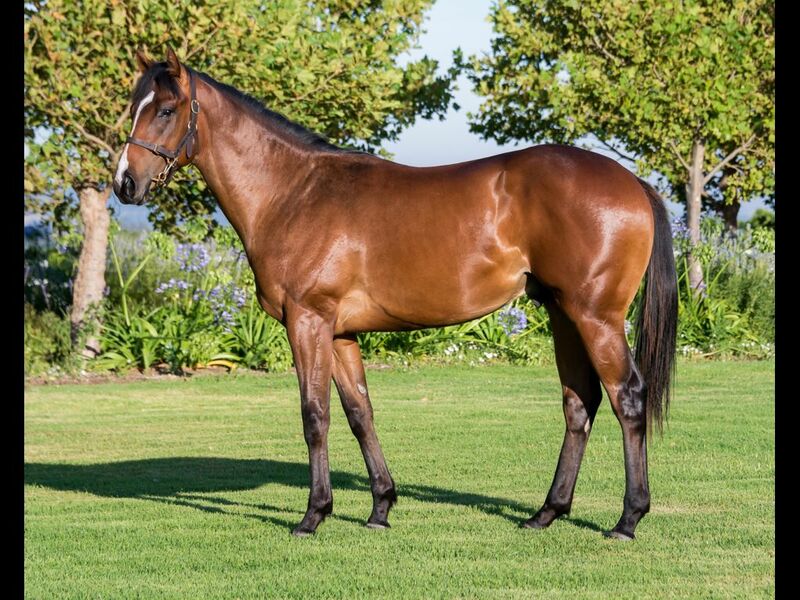 by Jackson-Gardener's Delight, by Giant's Causeway-Highbury) - 1st Kenilworth Itsarush.co.za Maiden P.
Half-Sister to Outlandos d'Amour (2015.f. 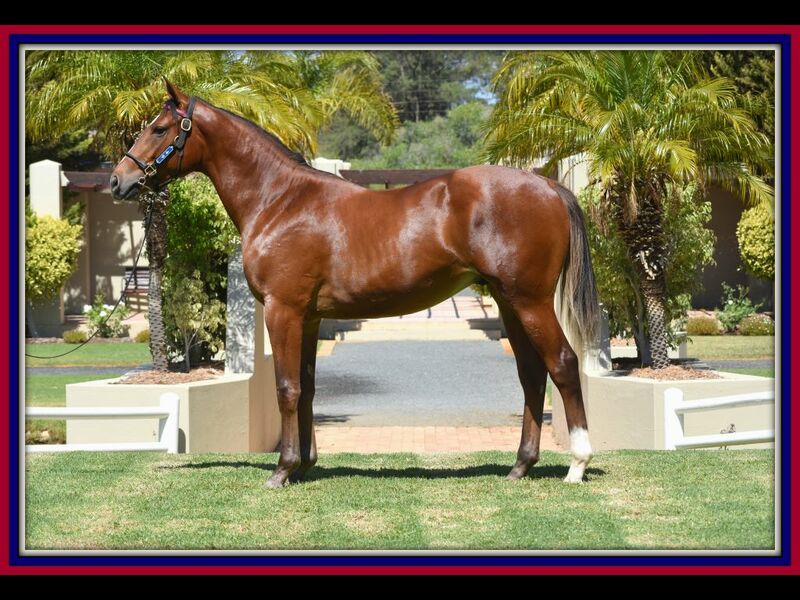 by Captain Al-Roxanne, by Western Winter-Roxy Cafe) - 2nd Kenilworth Interbet.co.za H.
Closely related to Silver Maple (2014.c. 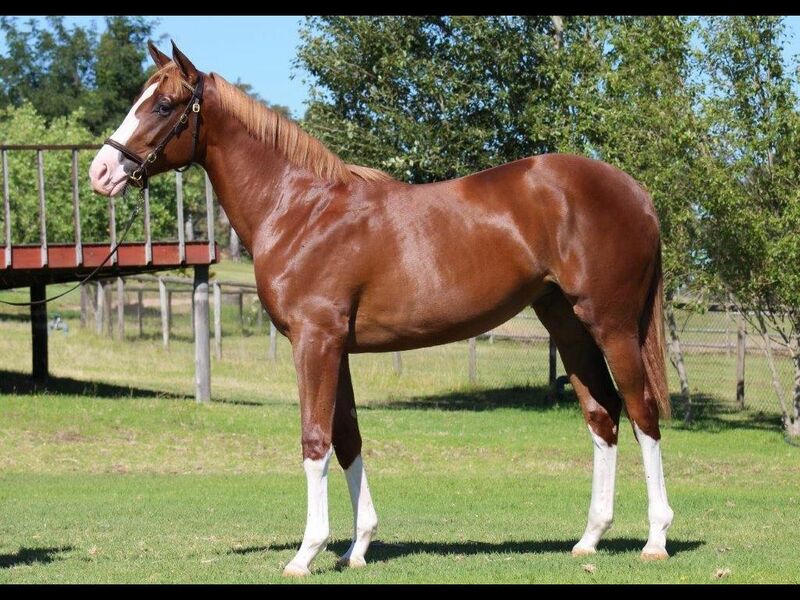 by Silvano-Shasta Daisy, by Rakeen-Scented Royal) - 1st Kenilworth Family Funday in December H.
Half-Sister to Oli Miranda (2012.f. 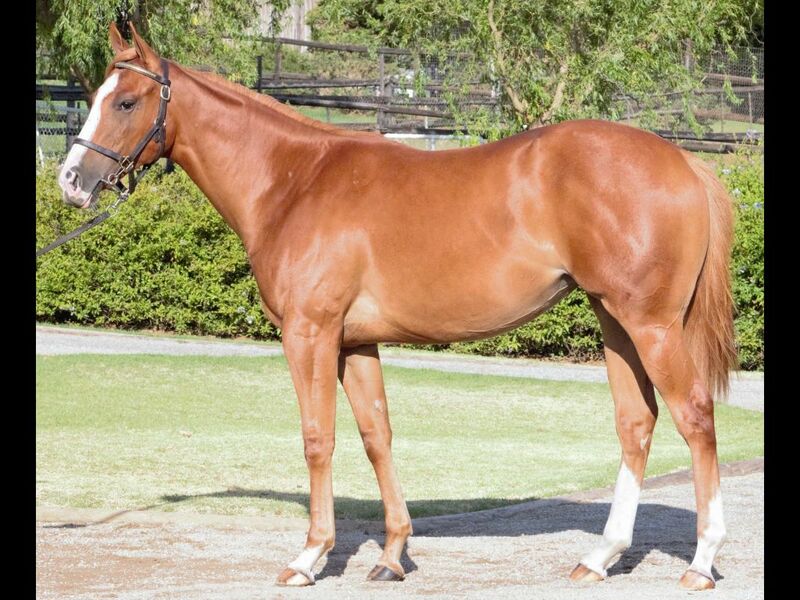 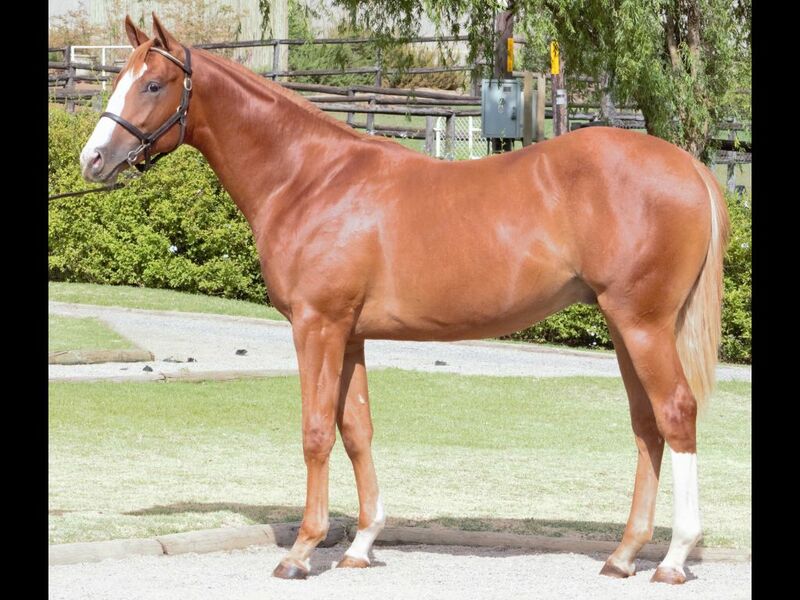 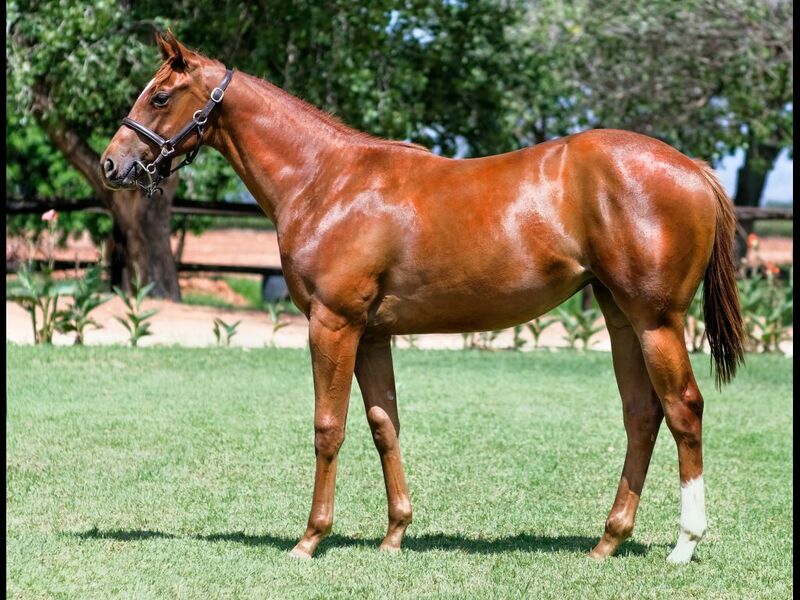 by Trippi-Sangria Girl, by Wolfhound-Concetta) - 2nd Turffontein Supabets H., 2nd Vaal TC Corporate Neon Services H.
Half-Brother to Little Bristol (2015.f. 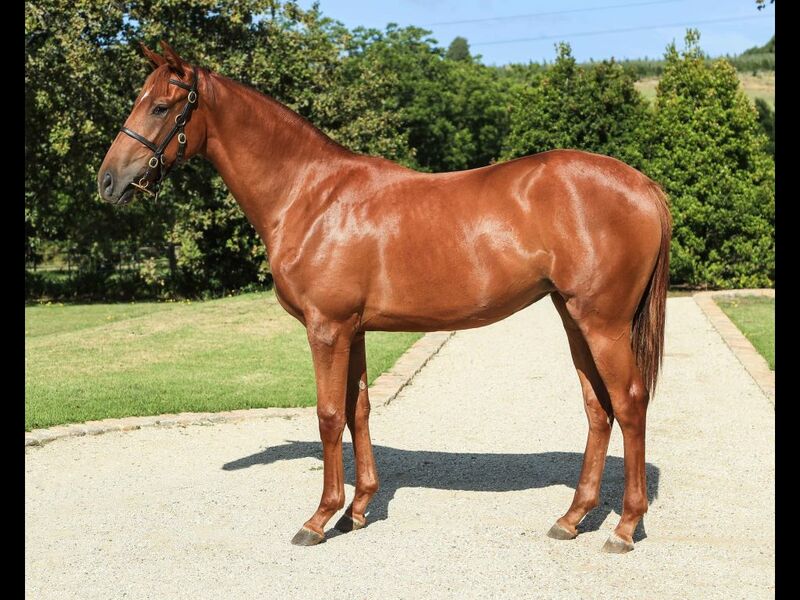 by Speightstown-Sea Glitter, by Holy Bull-Sea Jewel) - 1st Greyville Gold Circle Podcast Maiden P.
Half-Brother to Procrastination (2015.f. 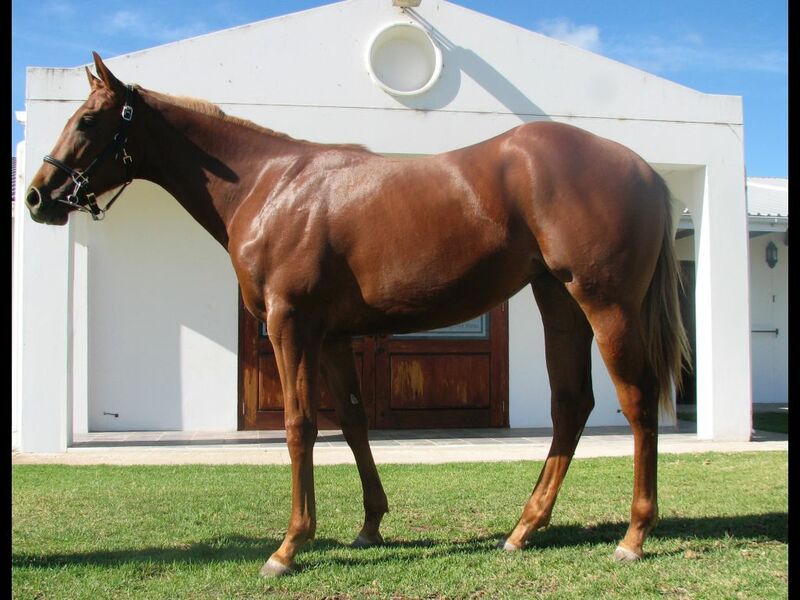 by Oratorio-Seal of Approval, by Silvano-Heat Seal) - 2nd Kenilworth Itsarush.co.za Maiden P.
Half-Brother to Chantyman (2014.c. 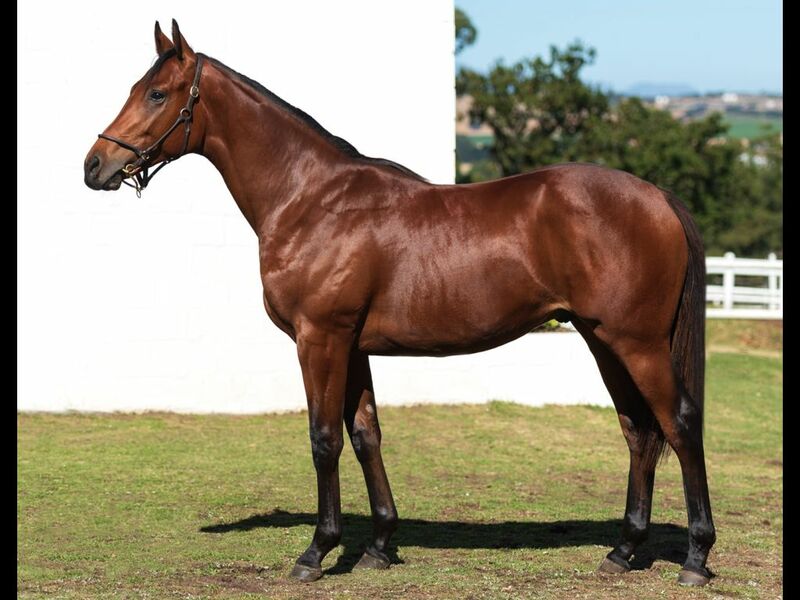 by Oratorio-Sea of Calm, by Quiet American-Ocean Ridge) - 1st Greyville Racing It's a Rush H., 2nd Scottsville Follow Gold Circle on Facebook H.
Closely related to Vietti (2015.f. 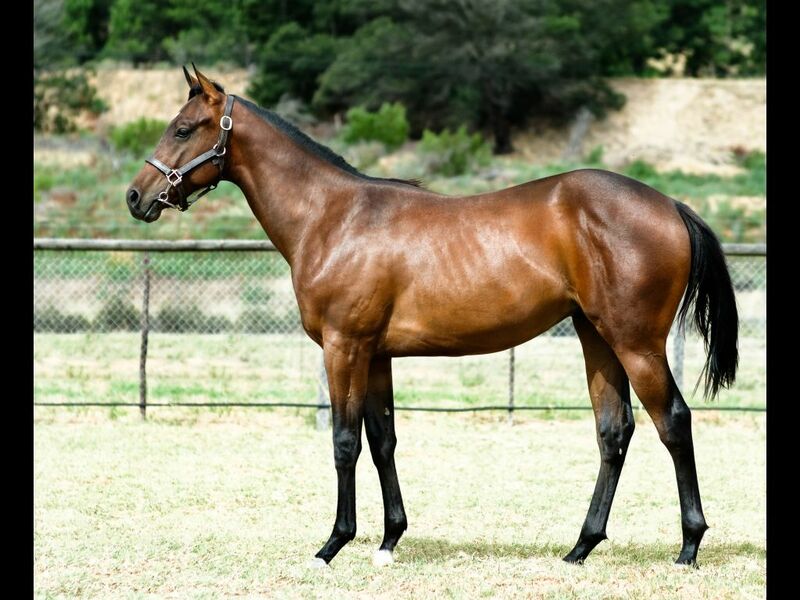 by I Am Invincible-Vintage Triumph, by Cape Cross-Luxury Launch) - 1st Gawler & Barossa JC Terrace Function Centre Maiden P., 1st SAJC (Morphetteville) Adelaide Cup Raceday H.
Closely related to Secret Dynasty (2015.c. 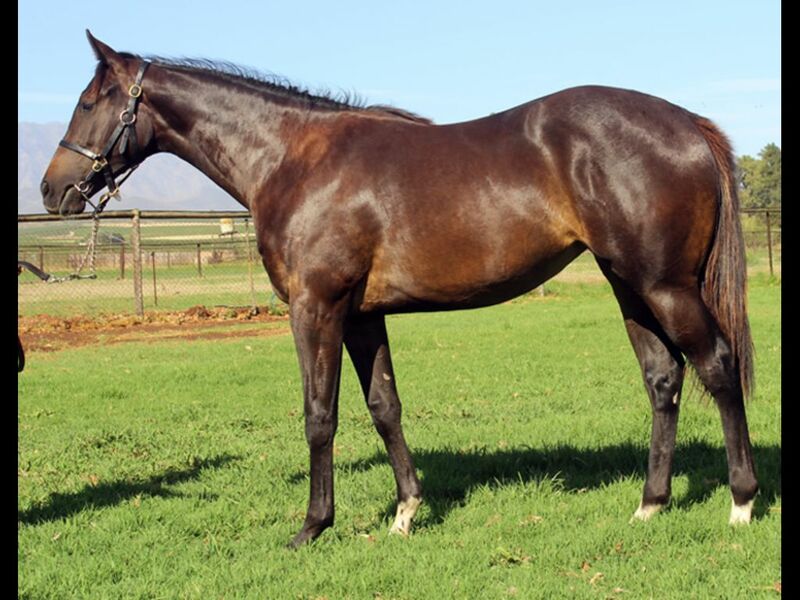 by Dynasty-All is Secret, by Captain Al-Secret of Victoria) - 1st Greyville Gold Circle Podcast Maiden P.
Closely related to SNOWDANCE (2014.f. 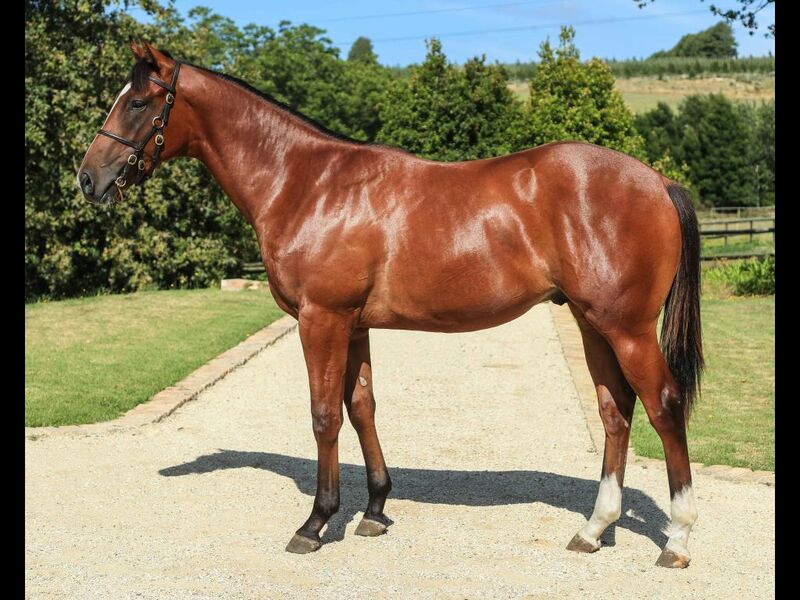 by Captain Al-Spring Lilac, by Joshua Dancer-Mystic Spring) - 1st Kenilworth Tab Telebet S.
Half-Brother to Rebel Renegade (2012.c. 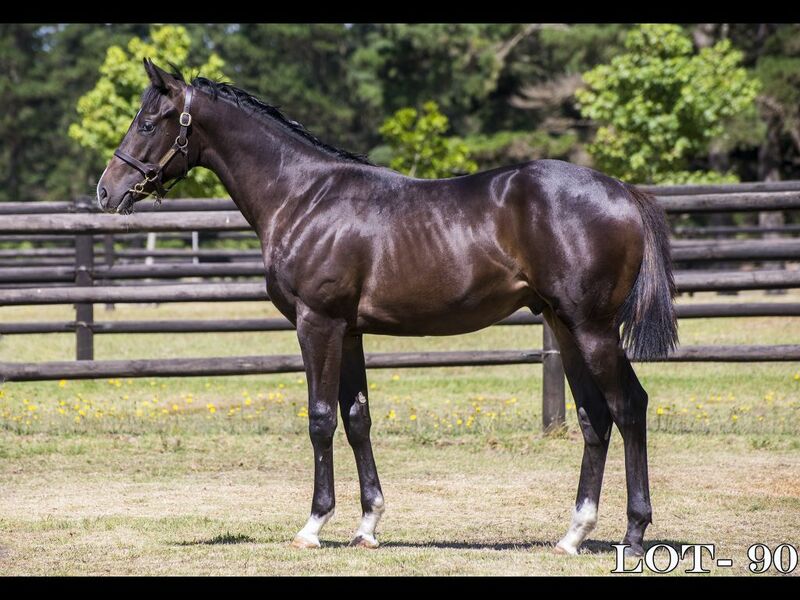 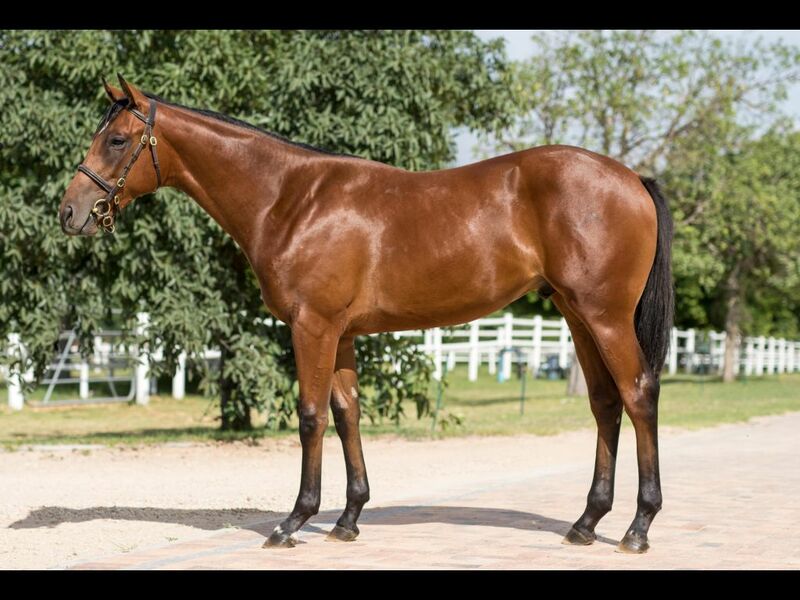 by Rebel King-Seminole, by Captain Al-Lupine Lady) - 2nd Vaal TC Interbet.co.za H.
Half-Brother to Innocently Naughty (2014.f. 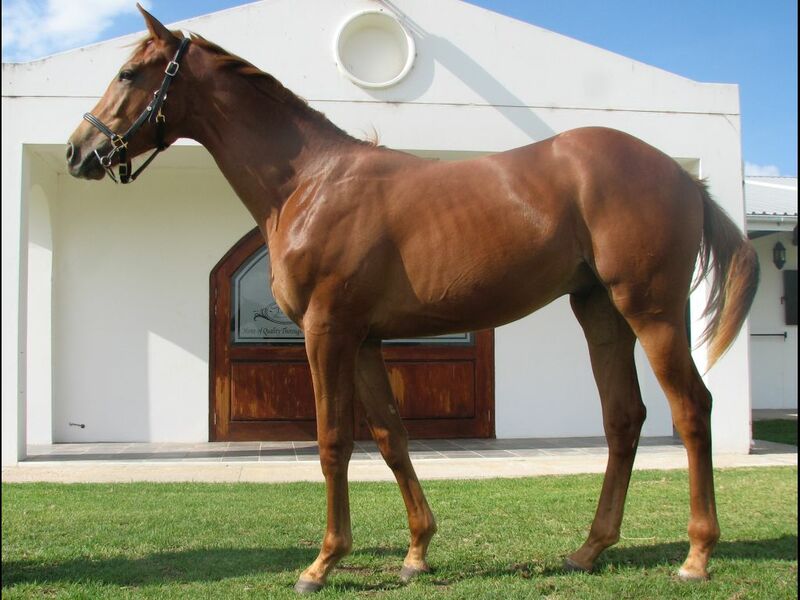 by Noordhoek Flyer-Seminole, by Captain Al-Lupine Lady) - 1st Scottsville Mobile Betting Visit Trackandball.co.za Maiden P.
Half-Brother to Seville Orange (2015.f. 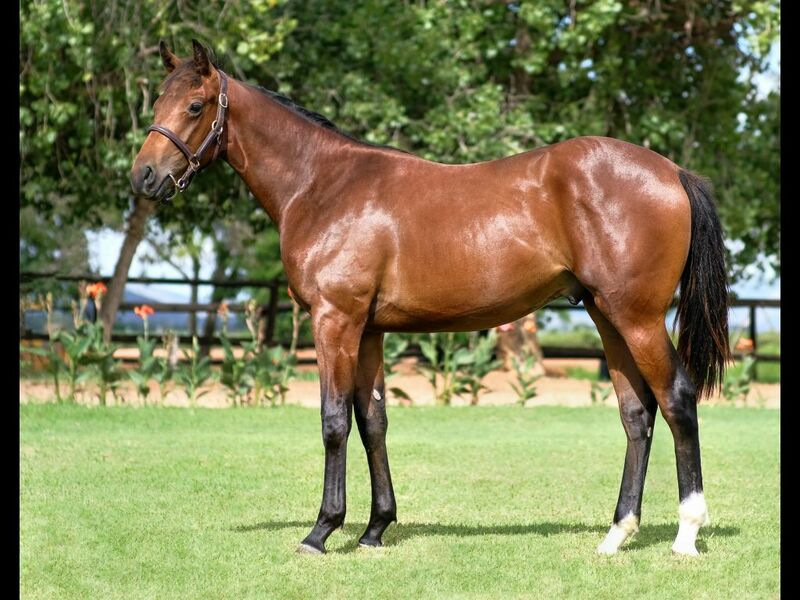 by Duke of Marmalade-Serruria, by Galileo-Pink Stone) - 1st Vaal TC Next Racemeeting Thursday H., 3rd Vaal TC Kiddies Carnival in December Assessment P.
Closely related to Astrix (2016.c. 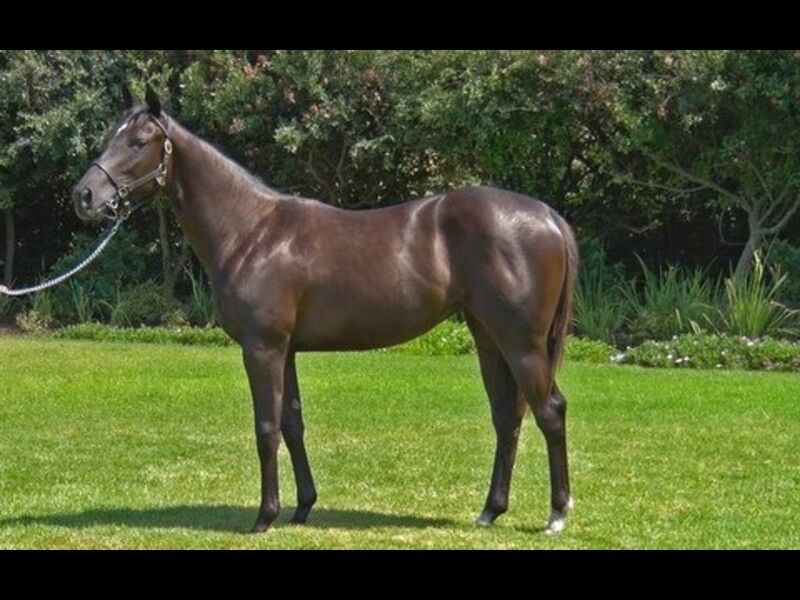 by Vercingetorix-Victory Dance, by Victory Moon-Shadow Dancing) - 1st Greyville Download the Tabgold Information App Maiden Juvenile P.
Closely related to Triple Fate Line (2015.c. 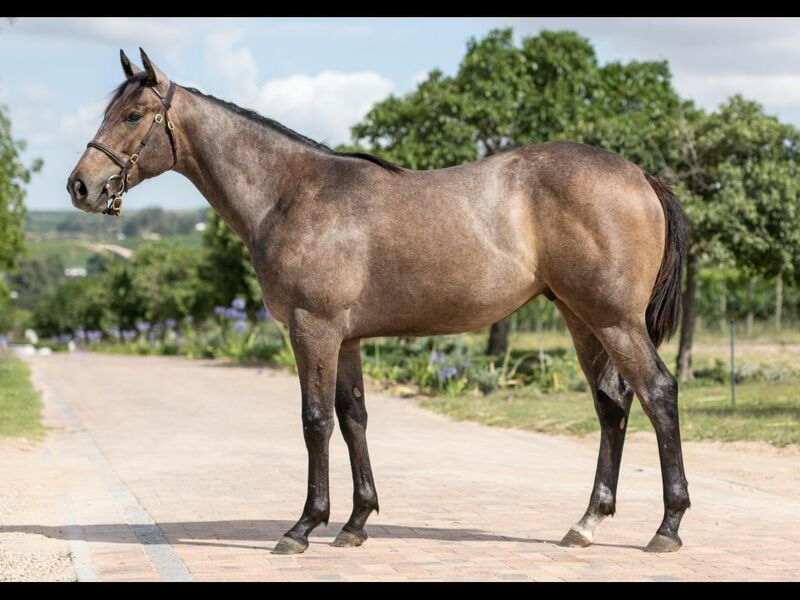 by Master of My Fate-Tina's Trip, by Trippi-Shadow Dancing) - 1st Greyville Follow Gold Circle on Facebook Maiden P.
Half-Brother to Ohsobright (2014.f. 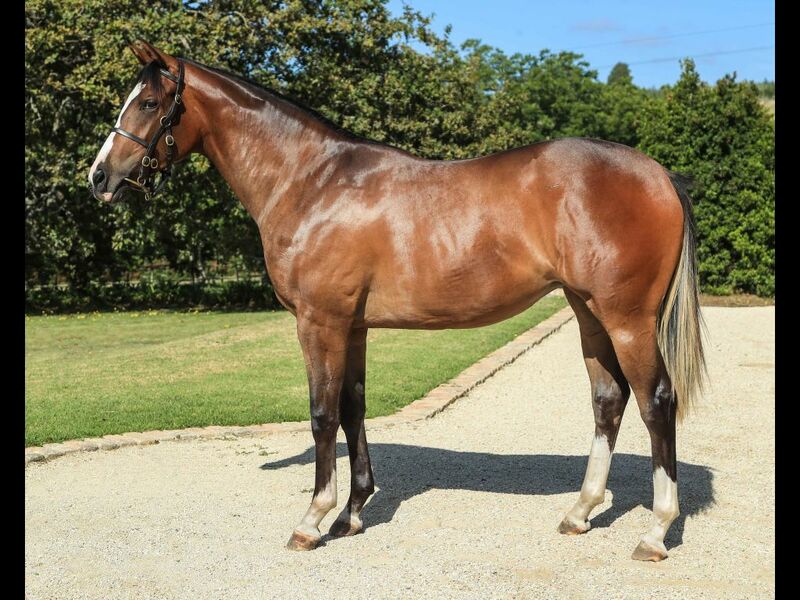 by Twice Over-Sidera, by Galileo-Freja) - 2nd Fairview Shackleton Commemoration Maiden P.
Half-Sister to Studio Blues (2014.f. 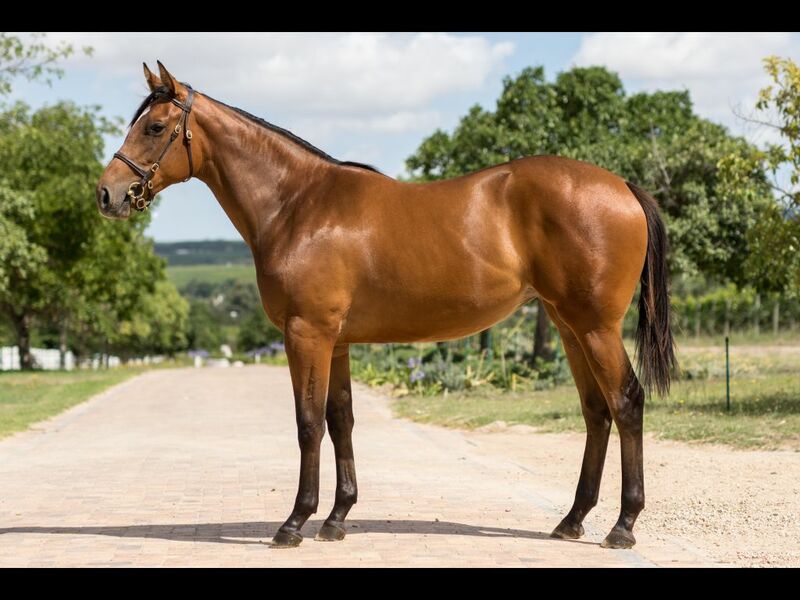 by Twice Over-Six Blue Notes, by Qui Danzig-Letsador) - 2nd Fairview Supabets - 0861 76 22 37 H.
Half-Sister to Sygone (2015.c. 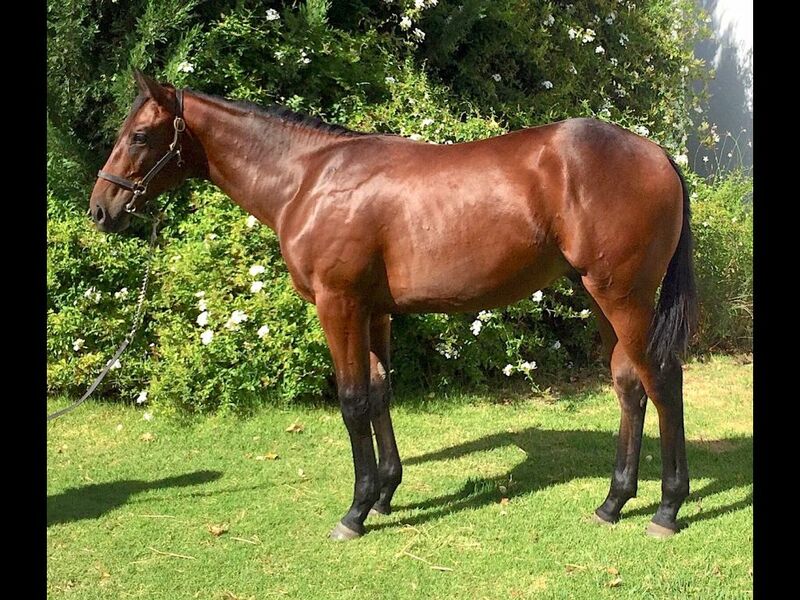 by Ato-Sky Pirate, by Victory Moon-Sky Bells) - 3rd Borrowdale Tote Free H.
Out of a sibling to Awayinthewoods (2015.f. 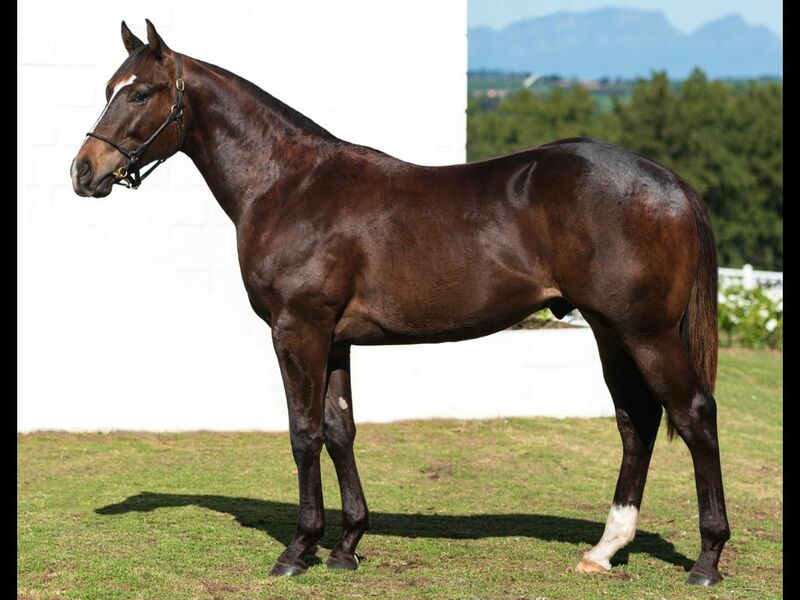 by Fort Wood-She's All That, by Western Winter-She's a Treat) - 1st Greyville Racing It's a Rush Maiden P.
Half-Brother to Sommersonne (2014.f. 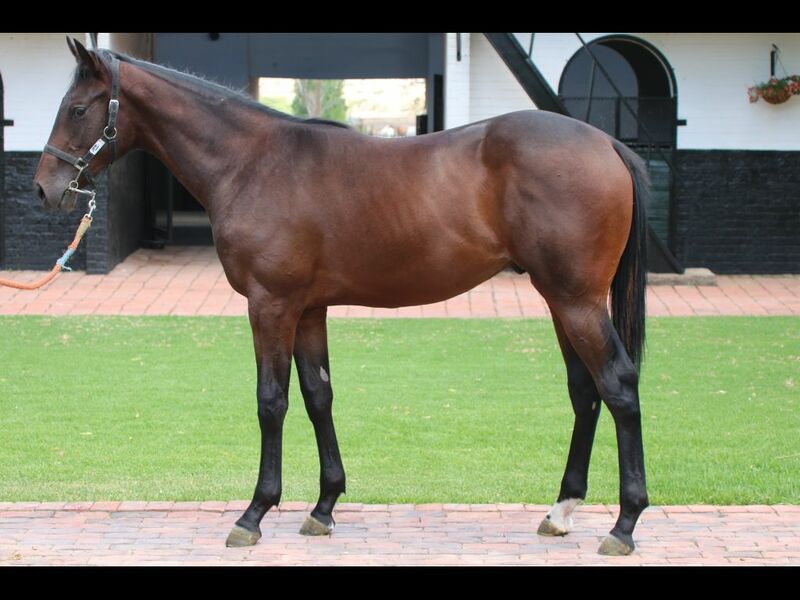 by Silvano-Sommermarchen, by Pentire-Simply Red) - 2nd Kenilworth Betting World Maiden P.
Out of a sibling to Varsity Lover (2015.f. 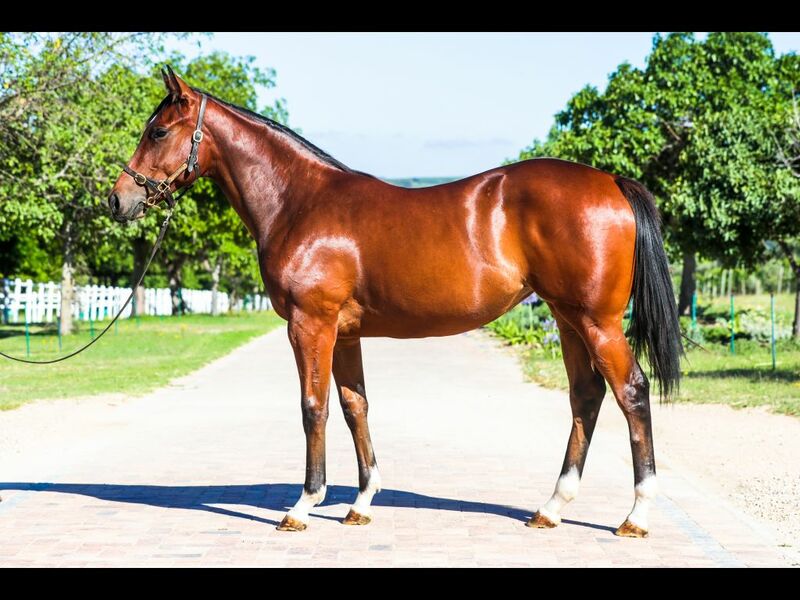 by Var-Captain's Lover, by Captain Al-Sunshine Lover) - 1st Kenilworth Interbet.co.za H.
From the same family as Oriental Tiger (2012.g. 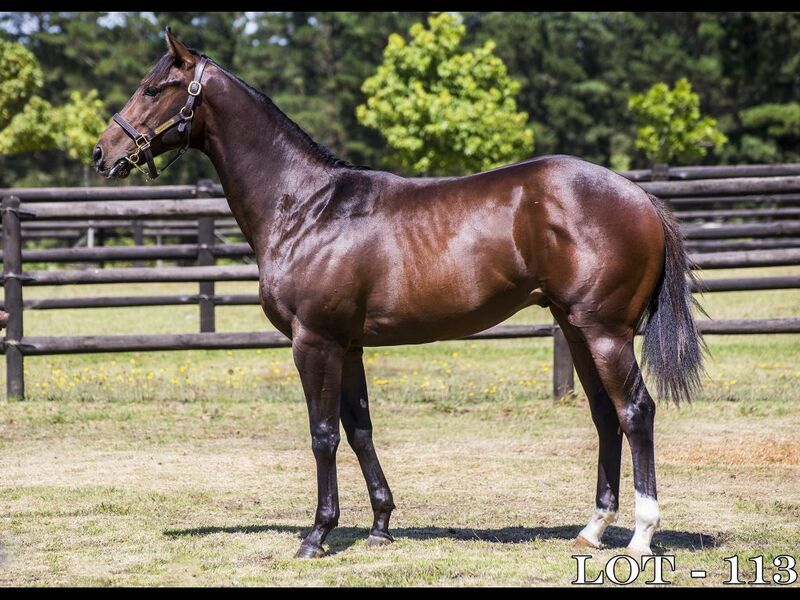 by Lecture-Colonial Tiger, by Tiger Ridge-Lightning Sands) - 1st Fairview Next Race Meeting is Tuesday H.
Half-Brother to Jay's Hawk (2015.c. 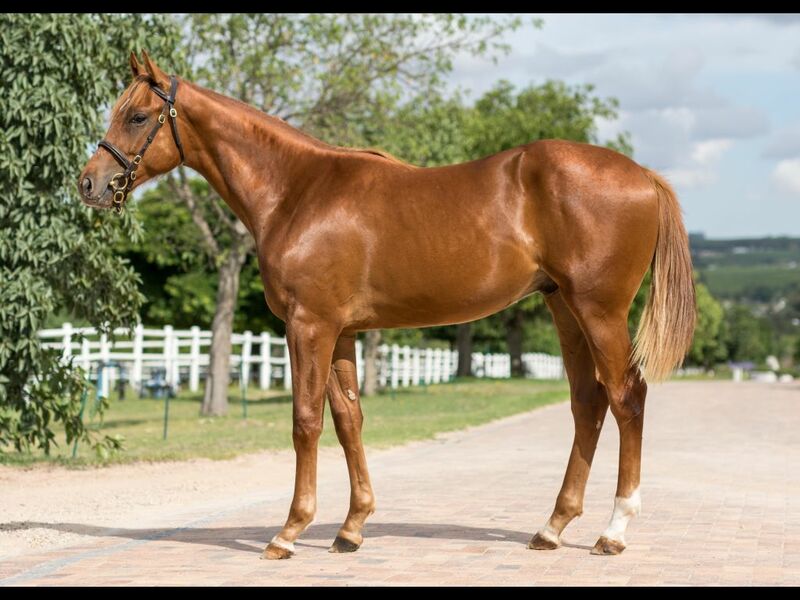 by Jay Peg-Strawberyshortcake, by Dynasty-Sweet Blackberry) - 1st Fairview Play Soccer Maiden P.
Closely related to Red Shift (2014.c. 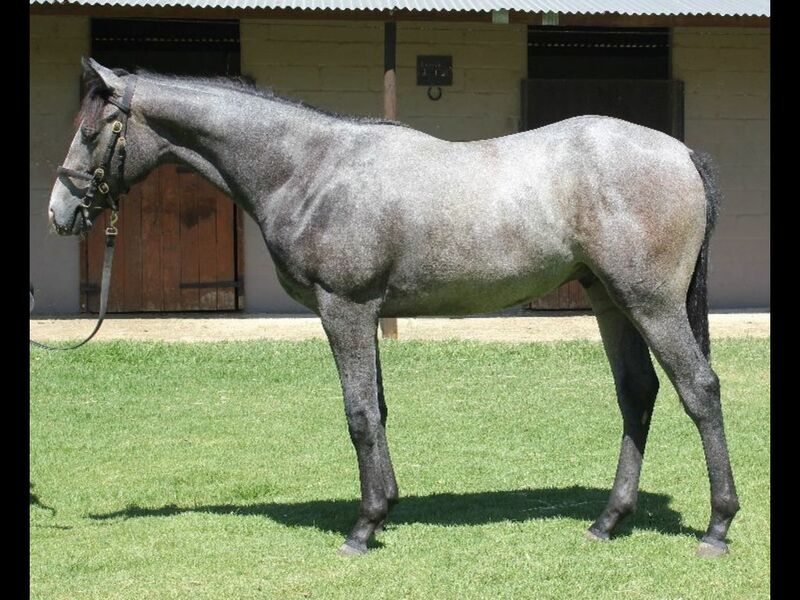 by Silvano-Barcelona Winter, by Western Winter-Barcelona Baby) - 1st Greyville Rotary Club of Durban Morningside H.
Half-Brother to Captain Marooned (2012.c. 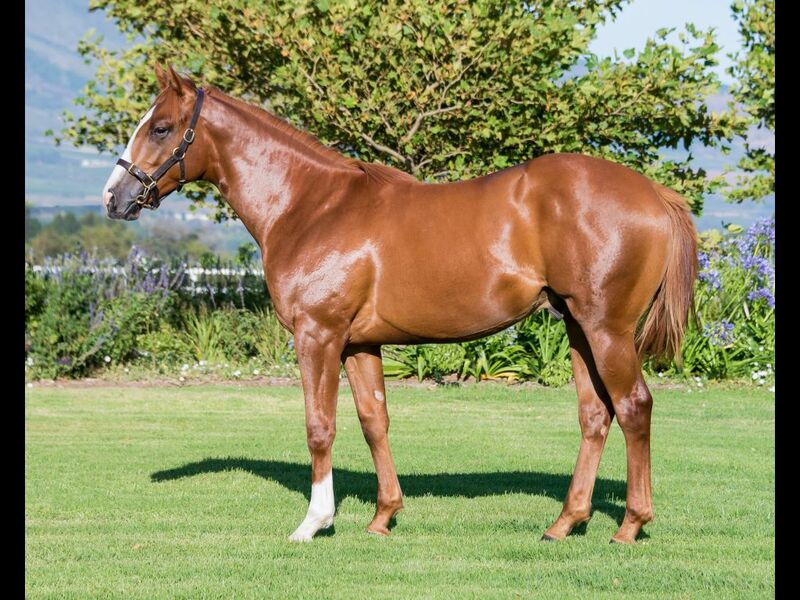 by Captain Al-Thin Red Line, by Redoute's Choice-Isadora) - 2nd Fairview Supabets H., 2nd Fairview Tabonline.co.za H., 2nd Fairview Full Dividend No Limits H.
Half-Brother to All in Line (2015.c. 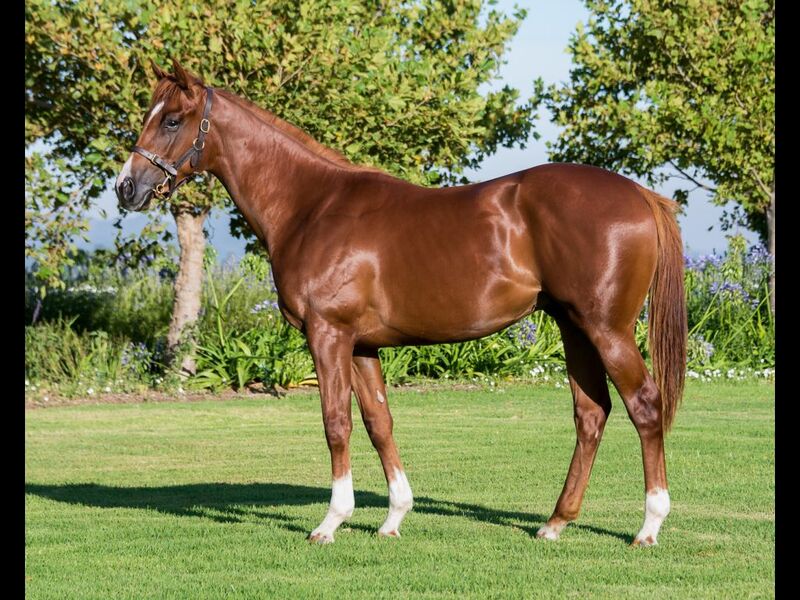 by Captain Al-Thin Red Line, by Redoute's Choice-Isadora) - 1st Kenilworth Hospitality Now Open for Lqp2019 Maiden P.
Half-Brother to Path of Choice (2016.c. 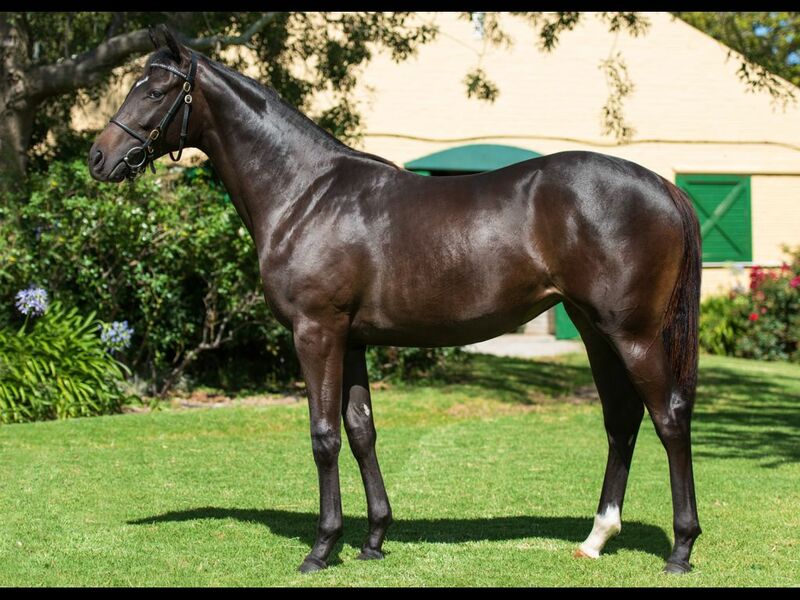 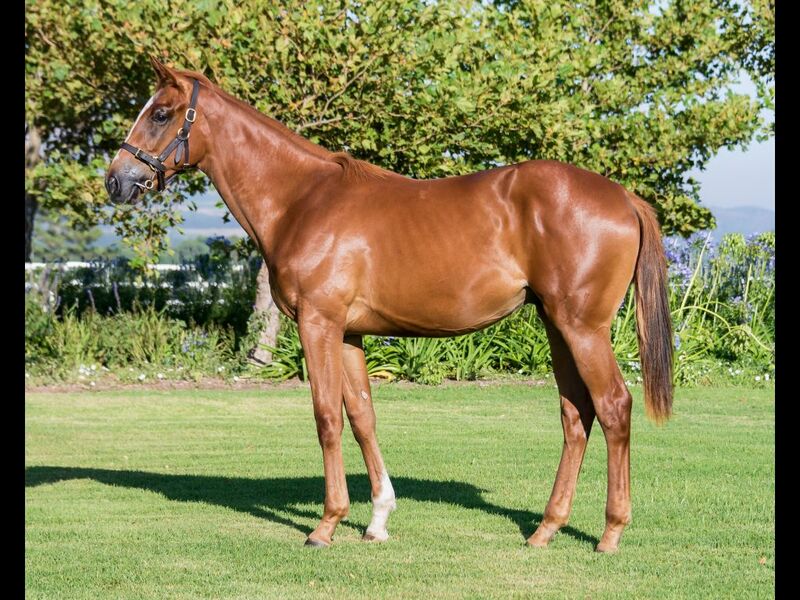 by Pathfork-Thin Red Line, by Redoute's Choice-Isadora) - 2nd Kenilworth Tattersalls Maiden Juvenile P.
Out of a sibling to Samadoubt (2013.g. 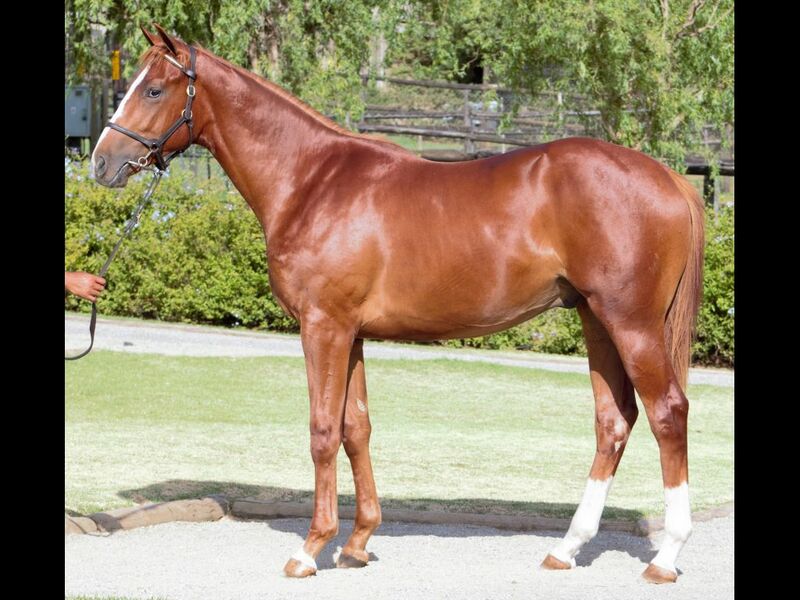 by Not a Single Doubt-Isadora, by Gold Fever-Eurythmics) - 1st ATC (Canterbury) Kia Evening Star H., 1st ATC (Kensington) Aviary at Randwick H.
Out of a sibling to Meraki Miss (2014.f. 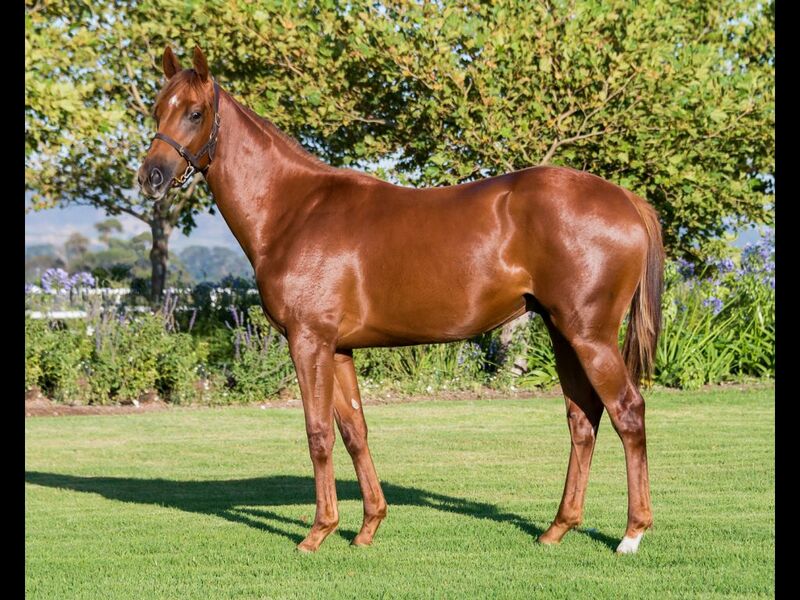 by I Am Invincible-Isadora, by Gold Fever-Eurythmics) - 1st Orange JC Allandale Stud Cup H.
Half-Brother to Thru' the Trees (2015.f. 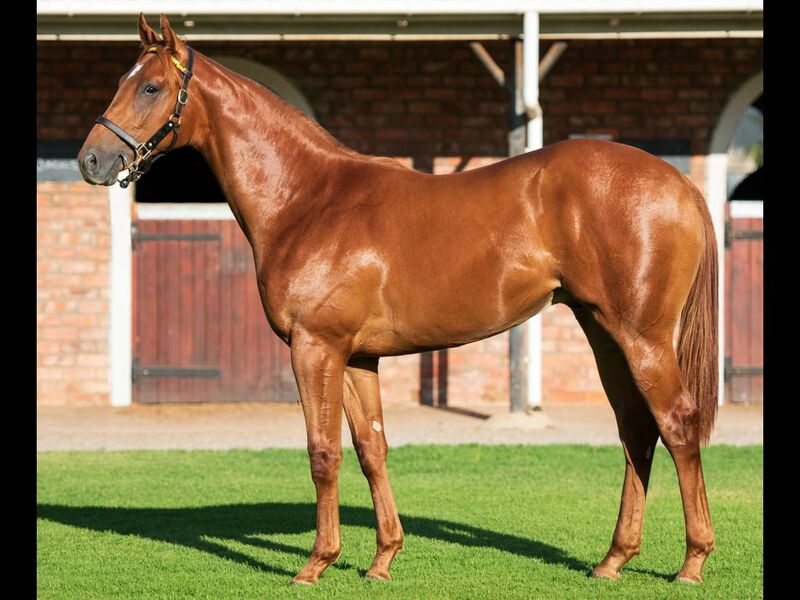 by Querari-Thru' the Tulips, by Al Mufti-Dancing Flower) - 2nd Scottsville Graham Rock Maiden P.
Out of a sibling to River Thames (2015.c. 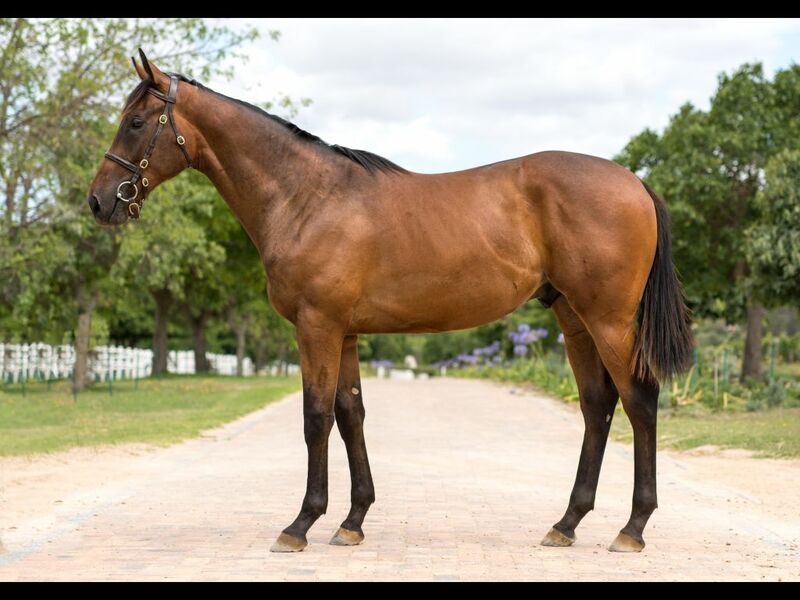 by Captain Al-Zeigler, by Elliodor-State Treasure) - 1st Kenilworth Hospitality Booking Sunmet Maiden P.
Closely related to Miss Pinkerton (2015.f. 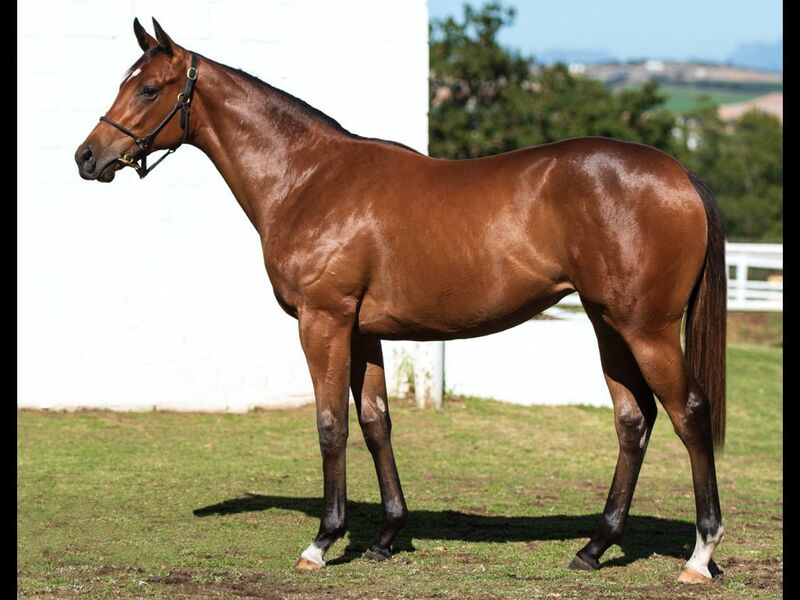 by Var-Pure Class, by Jet Master-Al Nibari) - 1st Turffontein All to Come H.
Brother to Montego Bay (2015.c. 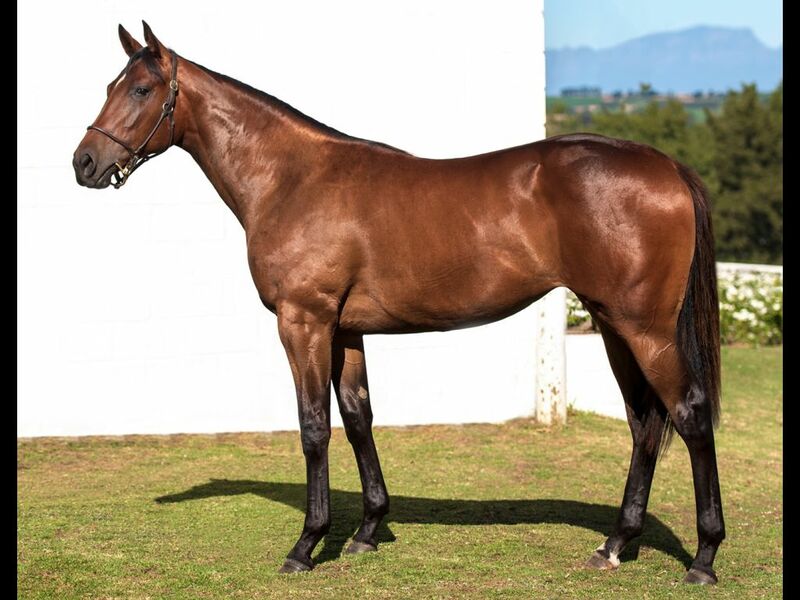 by Var-Torra Bay, by Cape Cross-Vodka Twist) - 1st Kenilworth Christmas is Coming in December H., 2nd Kenilworth Next Meeting Saturday H.
Half-Brother to Mighty Gemini (2014.g. 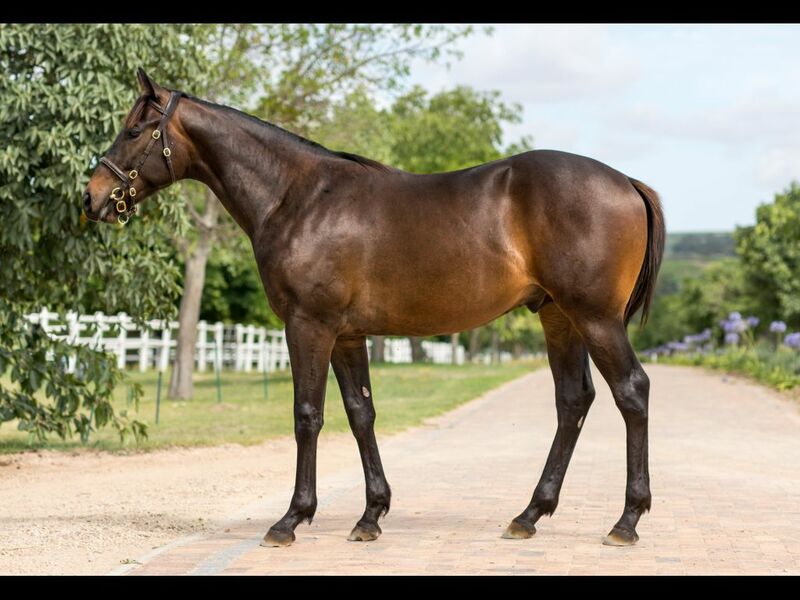 by Philanthropist-Trading Up, by Model Man-Stepping Stone) - 3rd Greyville Dataworld Maiden P.
Half-Sister to Kentucky Spur (2015.c. 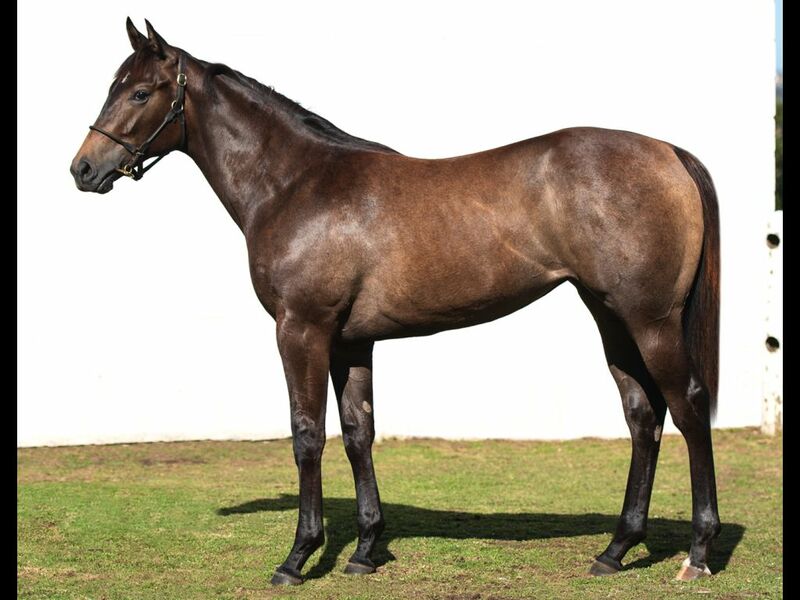 by Jay Peg-Tricia's Spur, by Flying Spur-Marcent) - 1st Greyville Racing It's a Rush Maiden P., 3rd Greyville Convention Centre Maiden P.
Half-Brother to Graduate (2014.c. 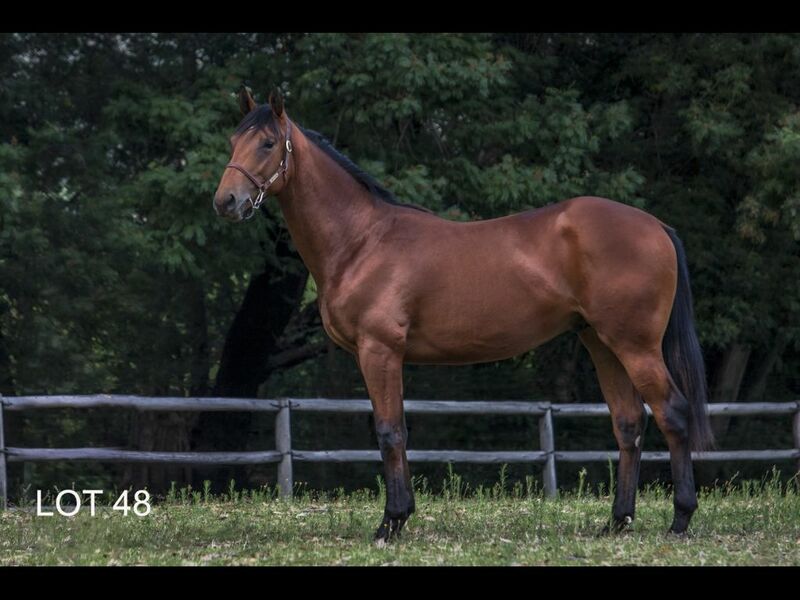 by Oratorio-Varsity Queen, by Var-Model I.Q.) 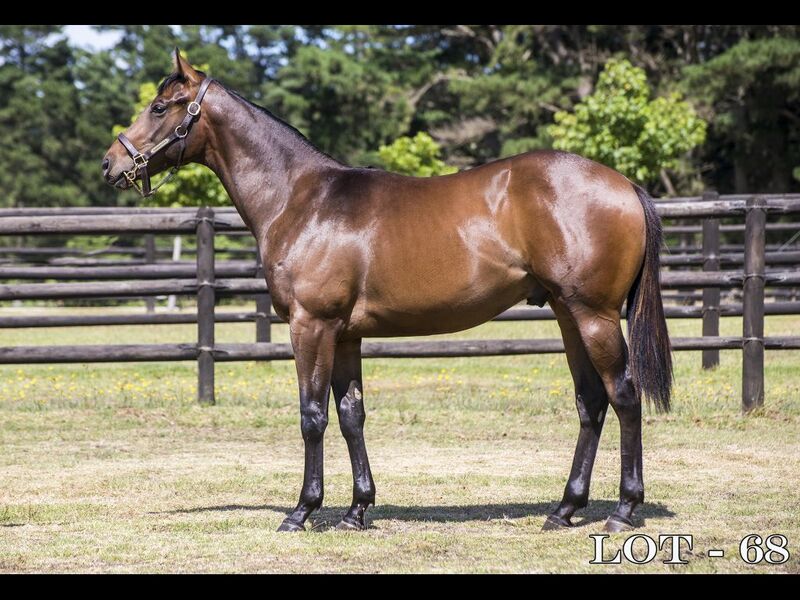 - 2nd Greyville Gold Circle Podcast Graduation P., 3rd Greyville Gold Circle Podcast Graduation P., 3rd Greyville Itsarush.co.za H.
Half-Brother to Operetta (2015.f. 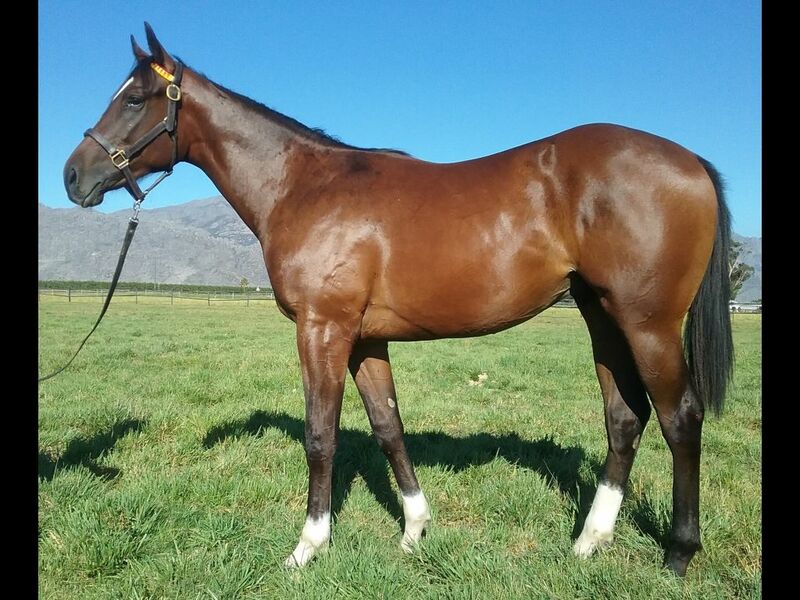 by Oratorio-Varsity Queen, by Var-Model I.Q.) 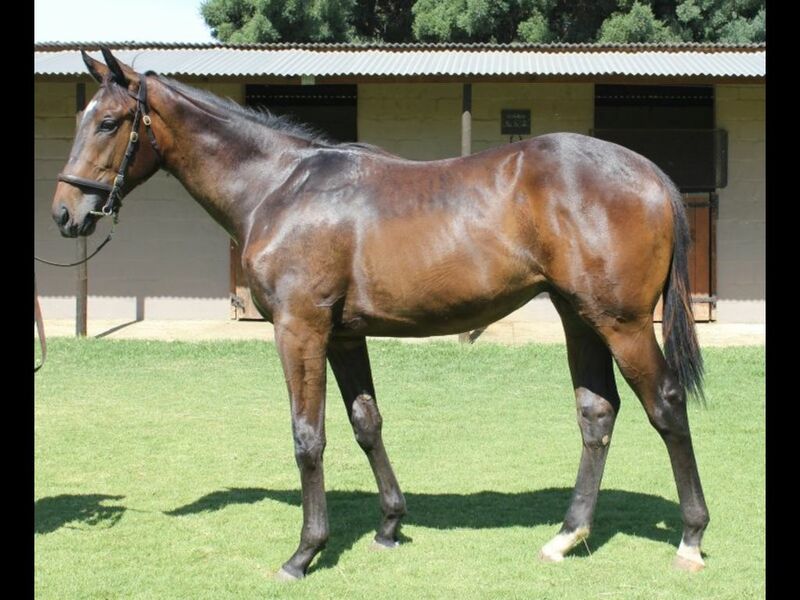 - 3rd Turffontein Gauteng Guineas Day in February Assessment P.
Half-Sister to Forafewdollarsmore (2014.c. 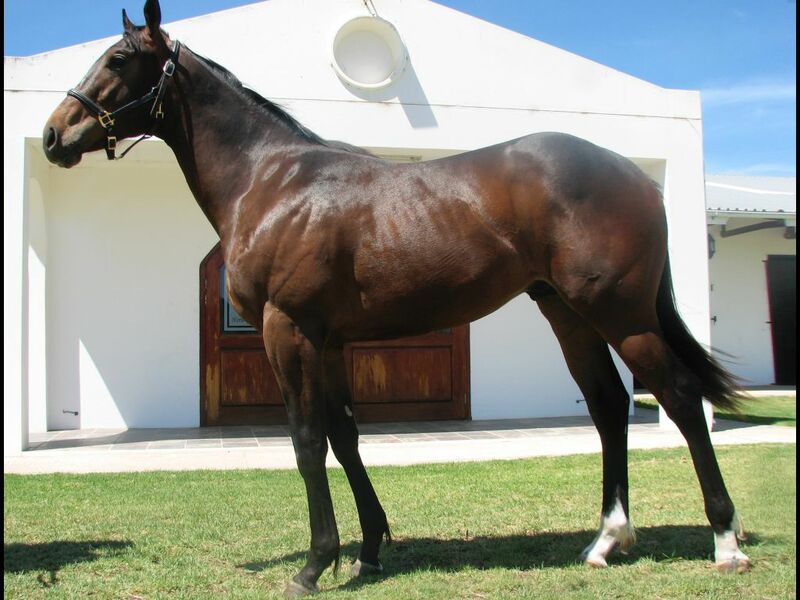 by Judpot-Westerns, by Western Winter-Chinchuna) - 2nd Turffontein Supabets Middle S.
From the same family as Wild Brier (2012.c. 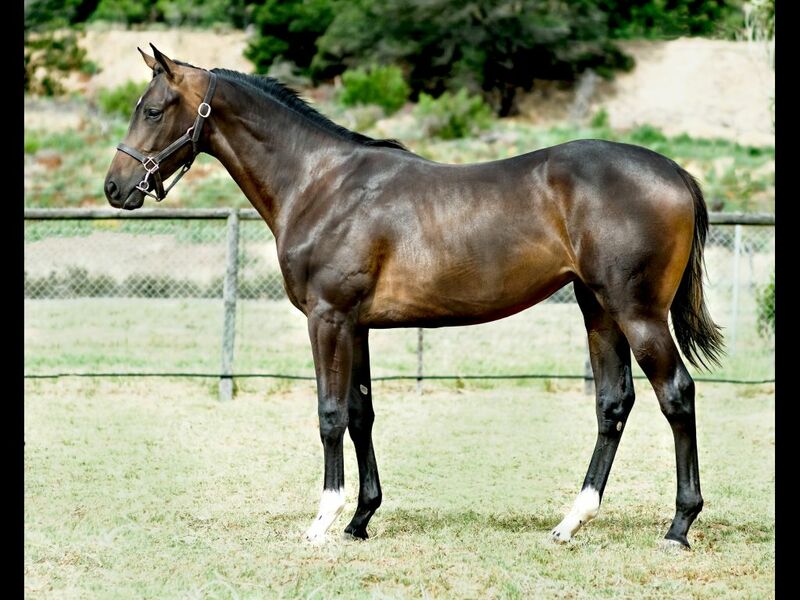 by Ideal World-Dog Rose, by Fort Wood-Lady Shirley Bird) - 1st Fairview Metalman H.
Half-Brother to African Java (2015.f. 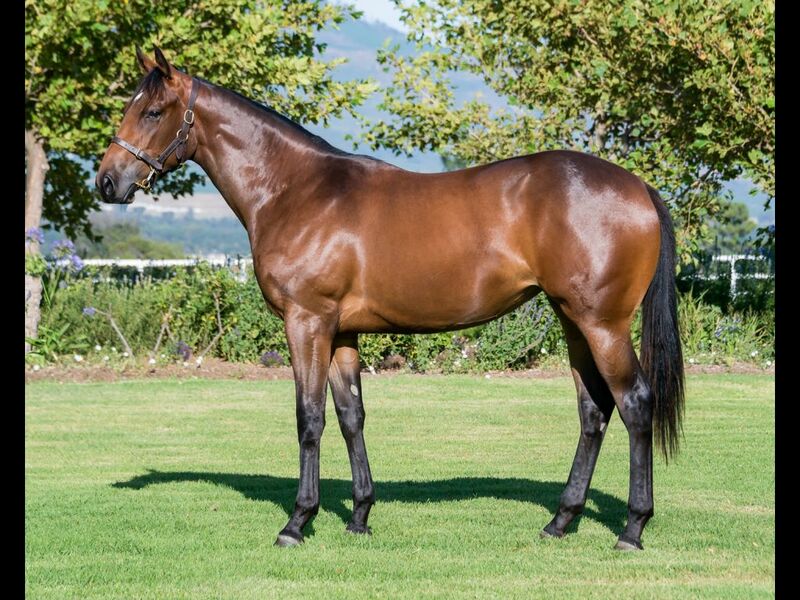 by Philanthropist-Whatsinaname, by Western Winter-Persuasive Reason) - 1st Fairview All to Come Maiden P., 3rd Fairview Tabonline.co.za Maiden P.
Closely related to Ming Tang (2015.c. 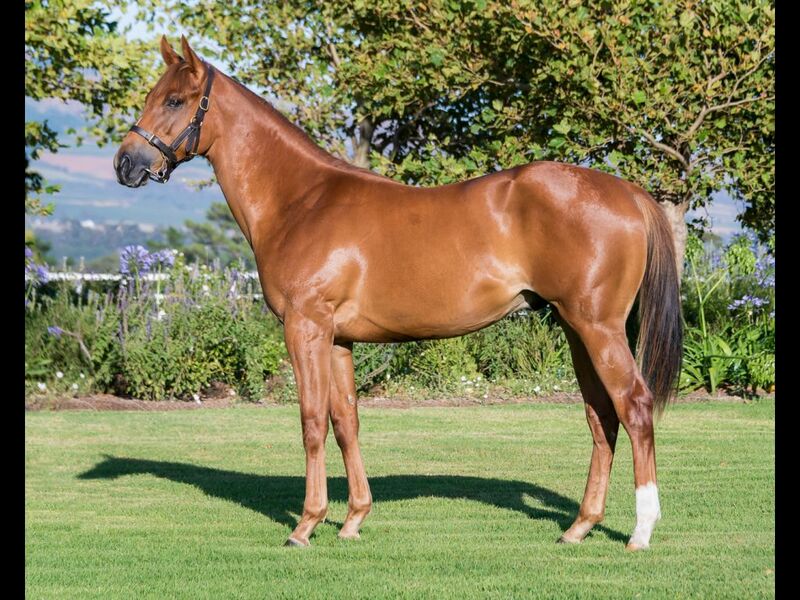 by Sail From Seattle-Dragon Vein, by Tiger Ridge-Whatsinaname) - 1st Griqualand Full Dividend No Limits Maiden P.
Half-Brother to Louisa May (2015.f. 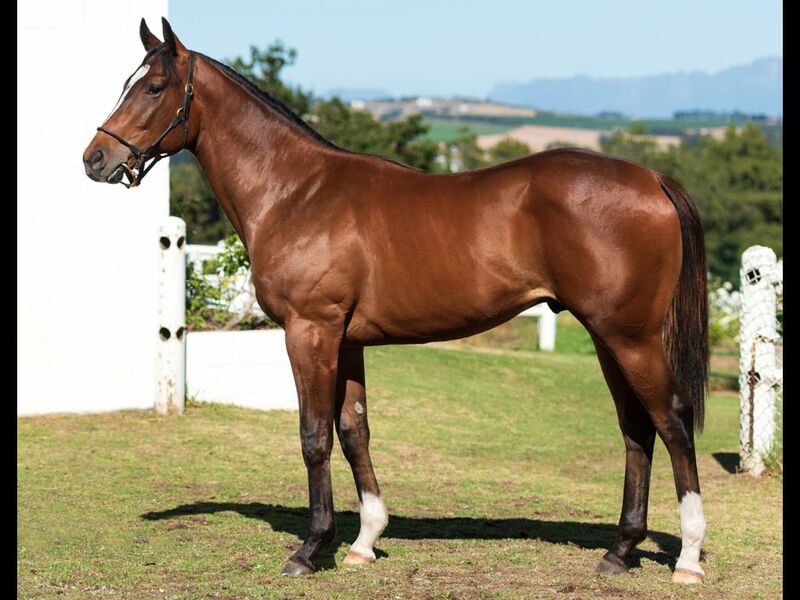 by Captain Al-Wind Jammer, by Casey Tibbs-Entice the Wind) - 2nd Kenilworth Betting World Maiden P., 3rd Kenilworth Tabonline.co.za Maiden P.